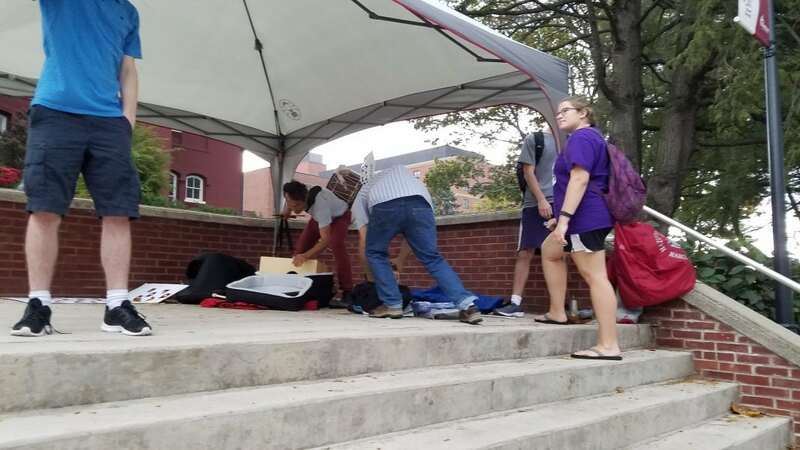 Editor’s Note: The following article and photos were done by Ryan Welkom. 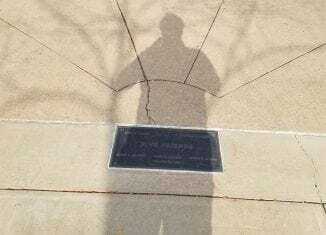 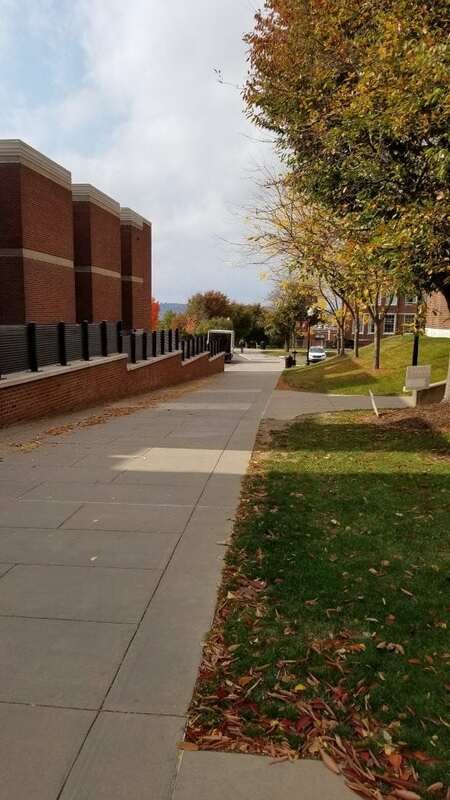 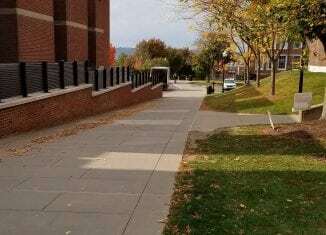 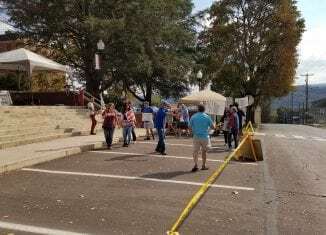 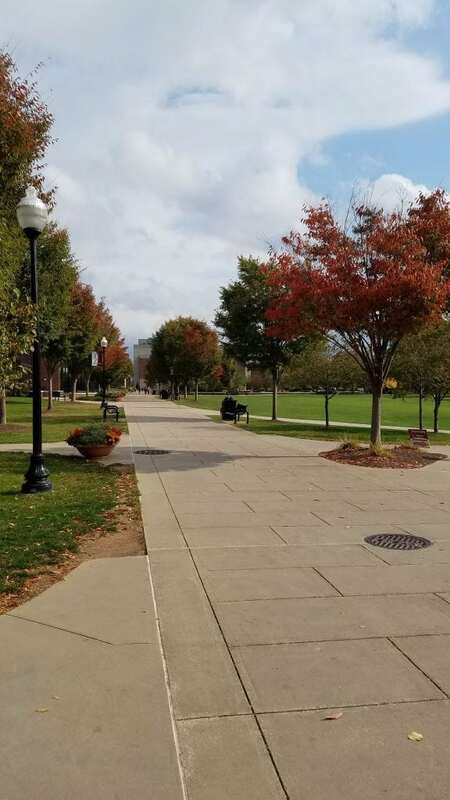 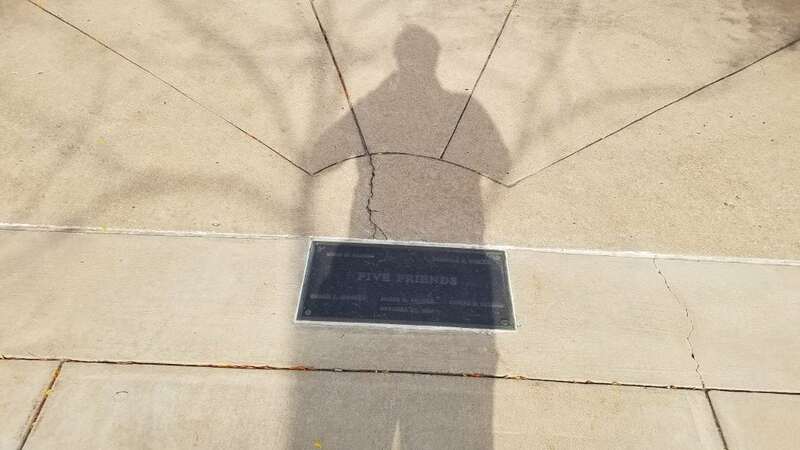 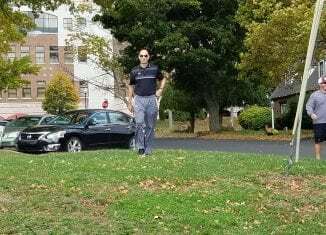 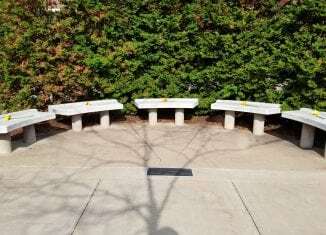 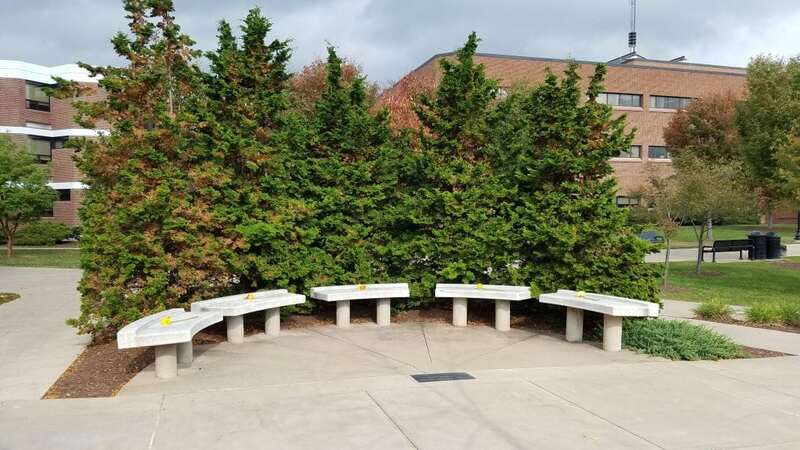 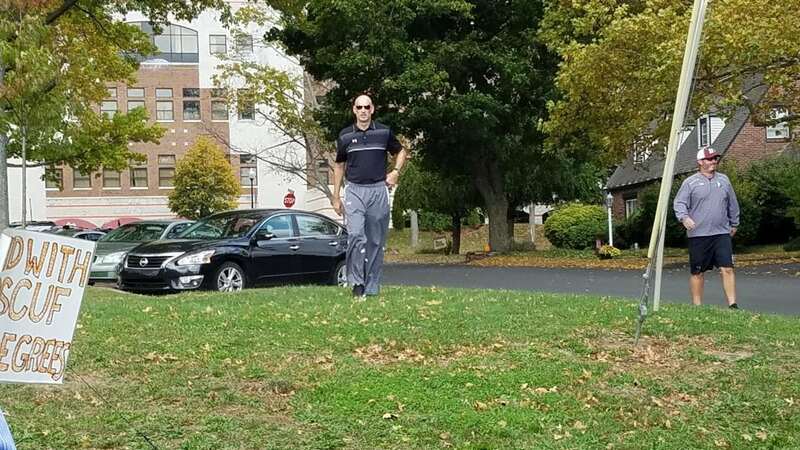 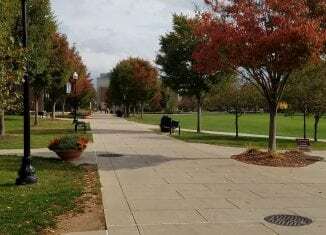 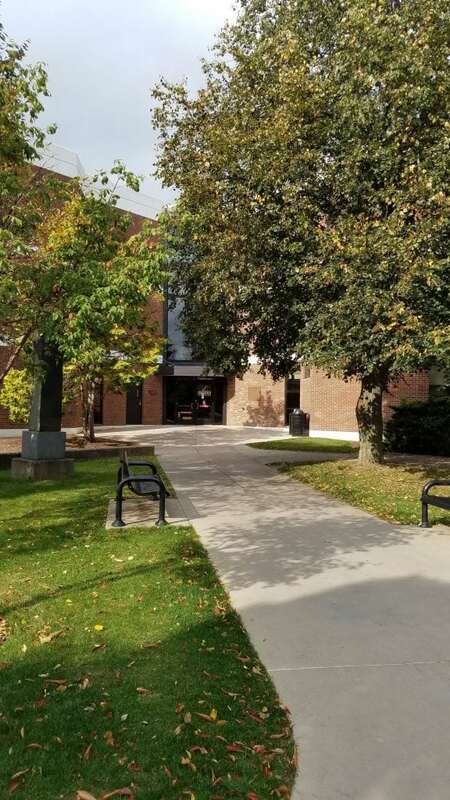 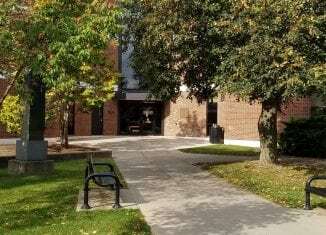 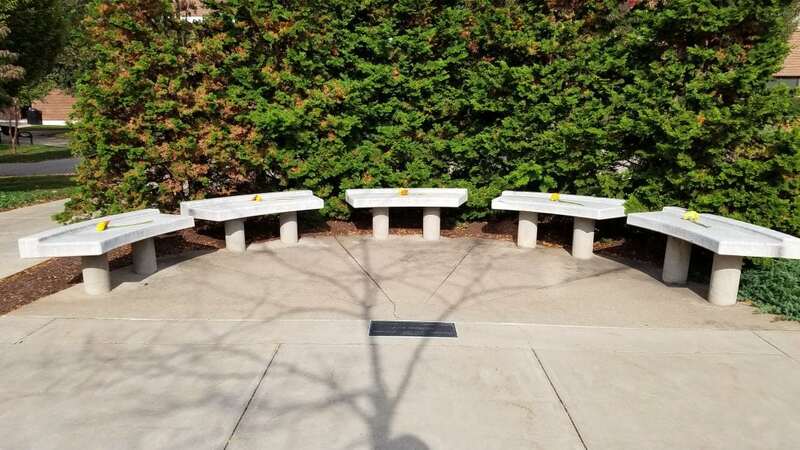 As the third day of the faculty strike began with a clear, crisp fall morning, it eventually turned into a bit of a warm day unlike the past two days where the weather was unusually humid for October. 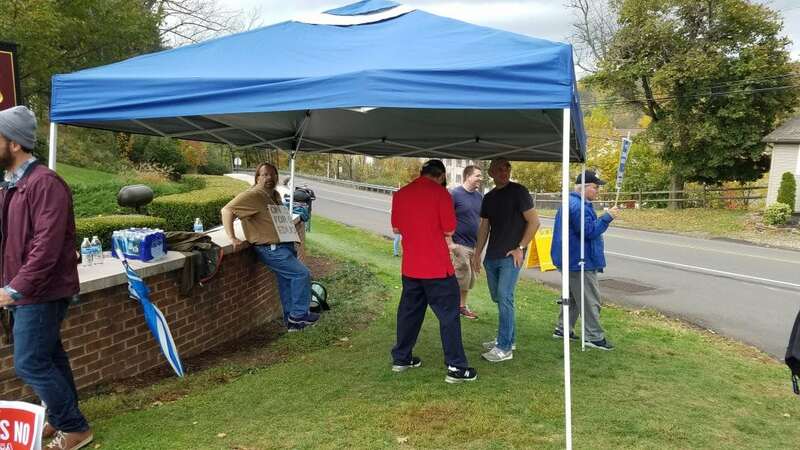 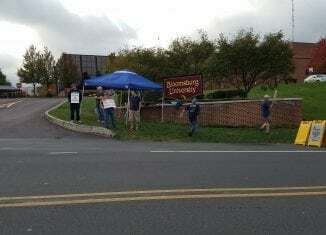 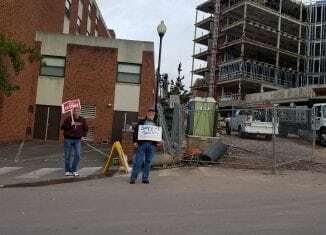 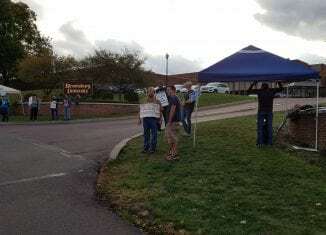 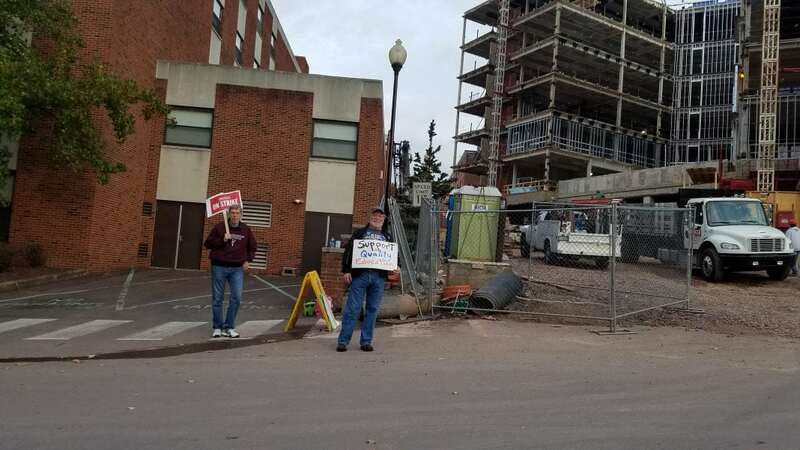 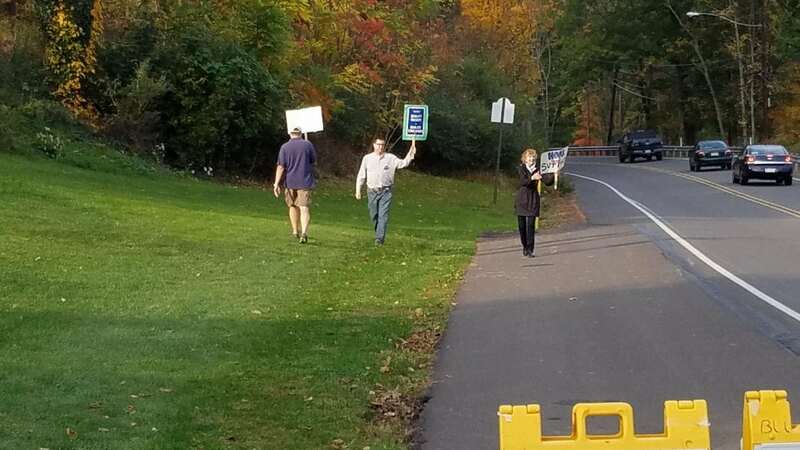 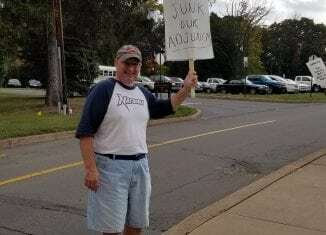 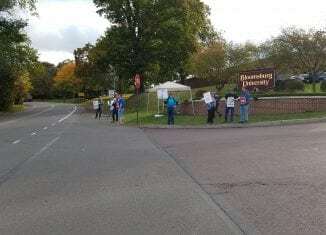 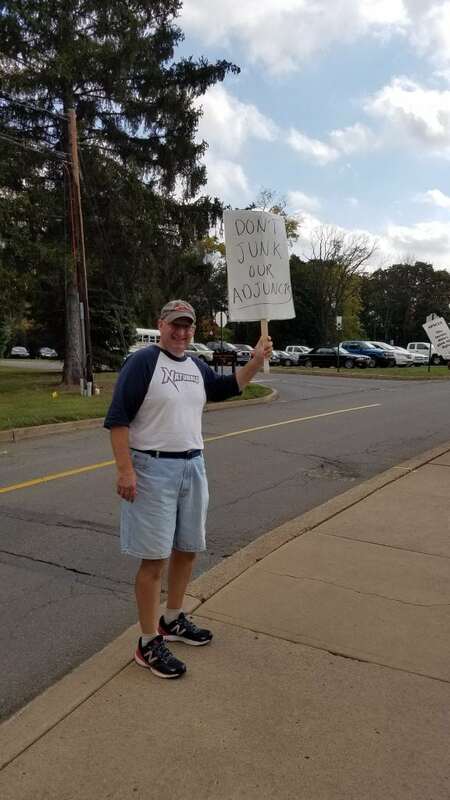 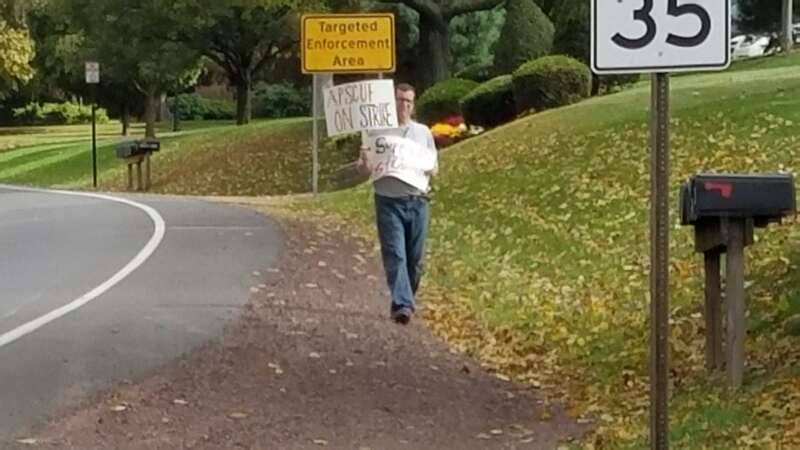 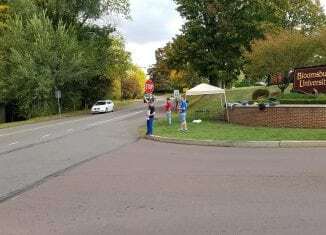 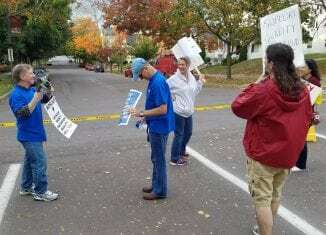 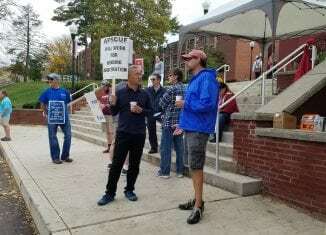 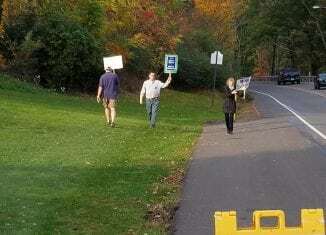 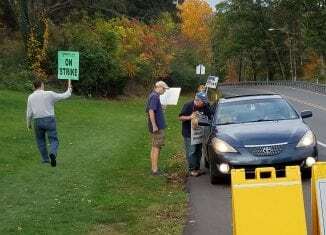 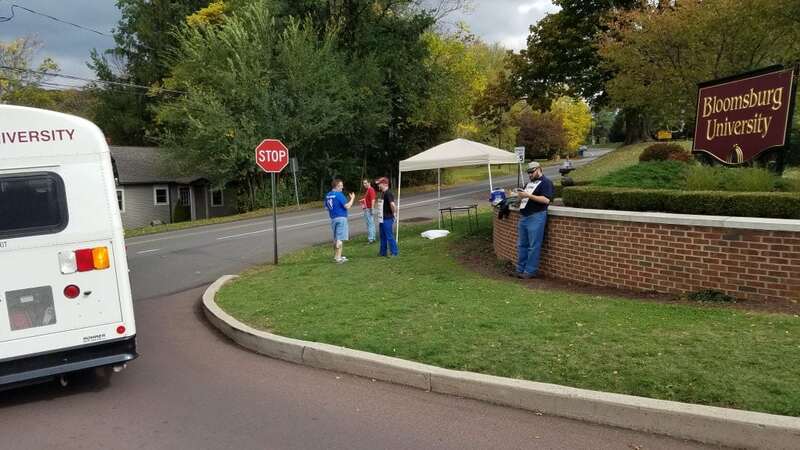 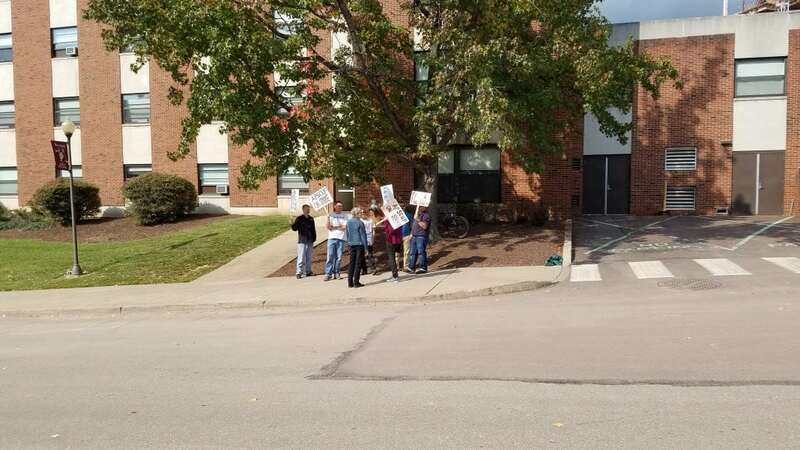 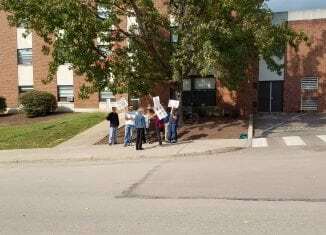 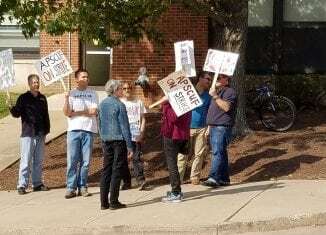 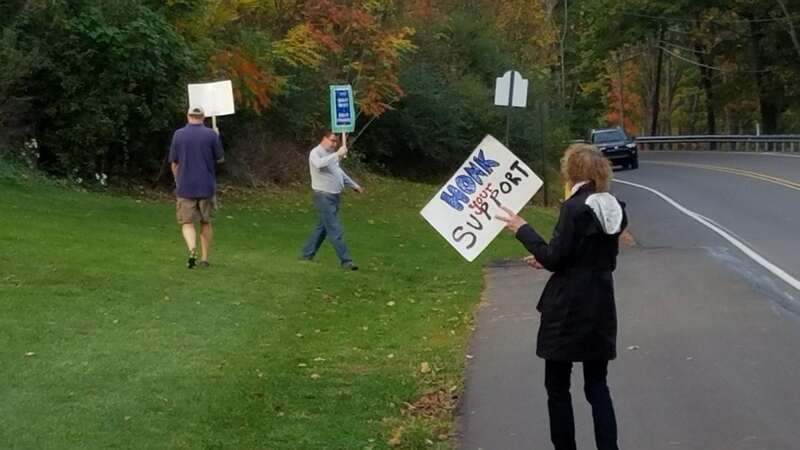 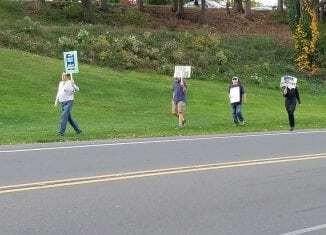 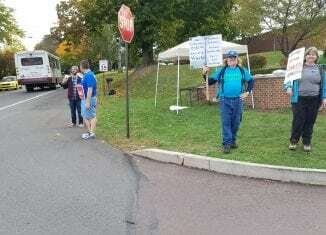 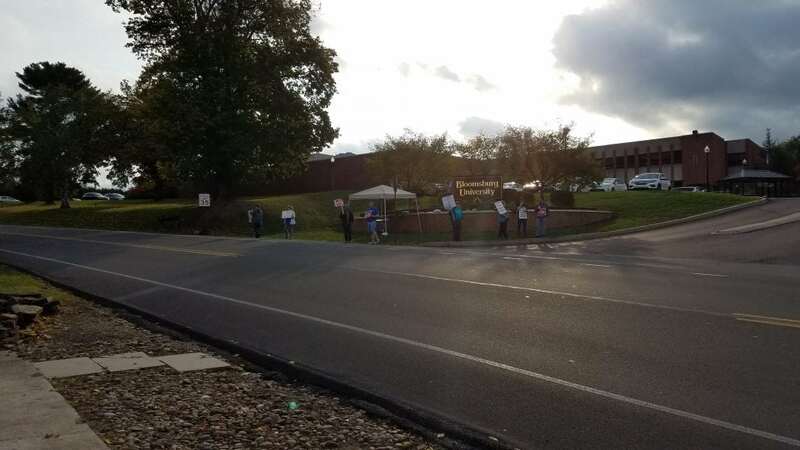 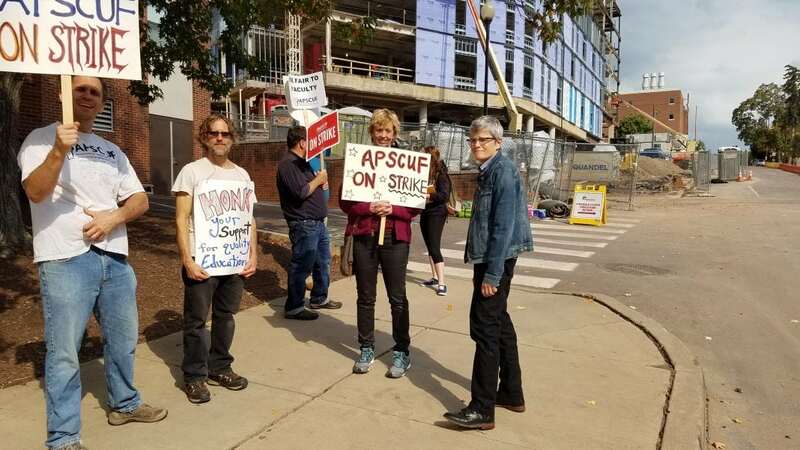 The faculty who is affiliated with the Association of Pennsylvania State College and University Faculties (APSCUF) and students who support the faculty and APSCUF were still at the picket line for a new contract at Carver Hall, the construction site of a new dorm, and at the entrances to the campus. 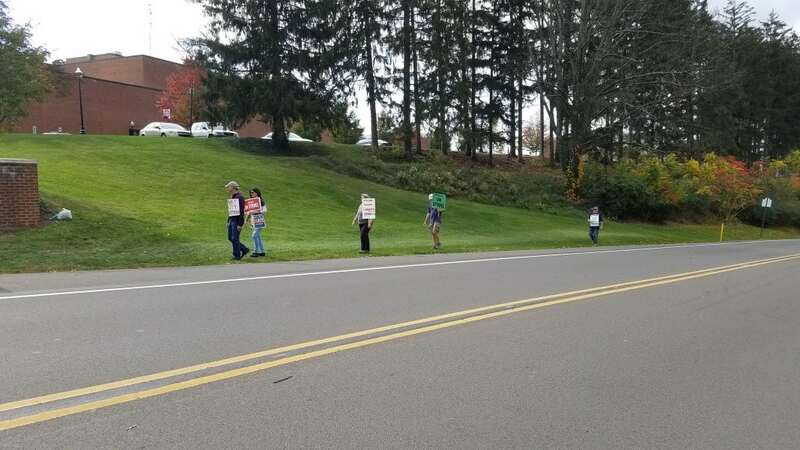 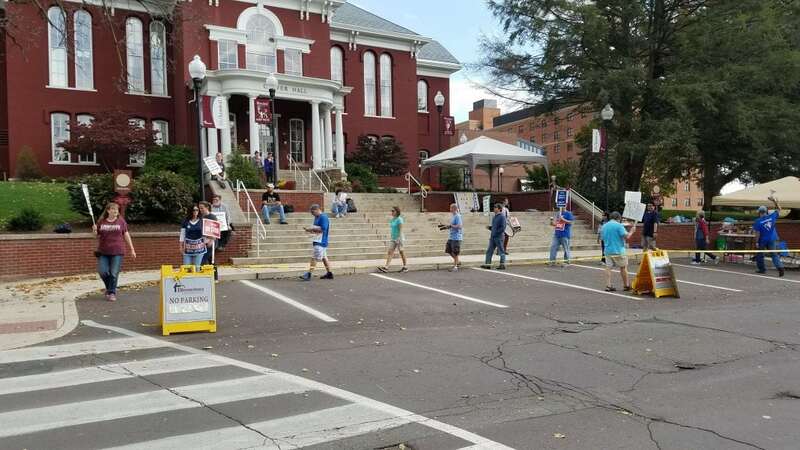 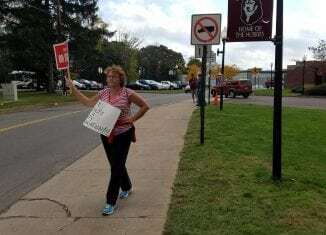 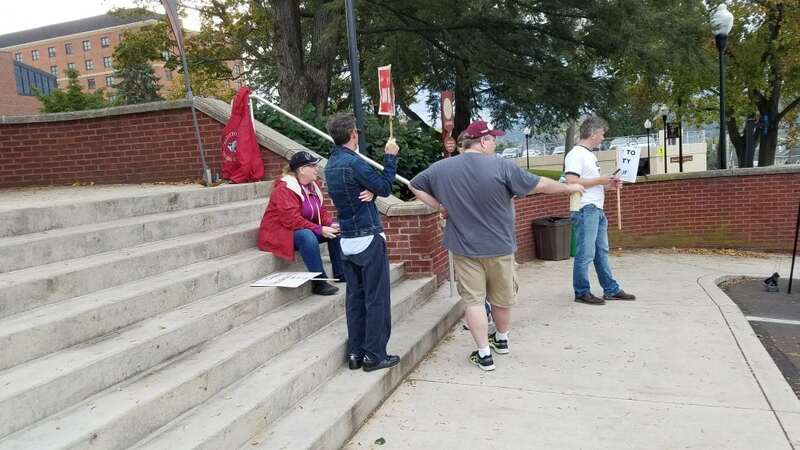 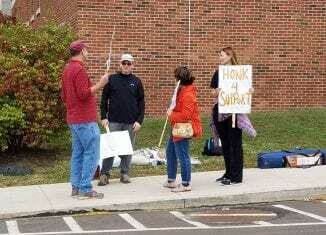 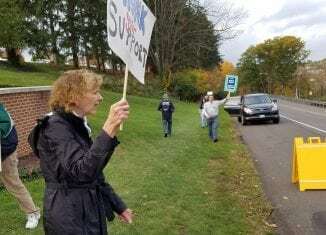 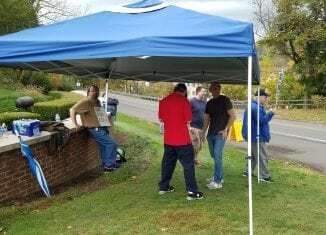 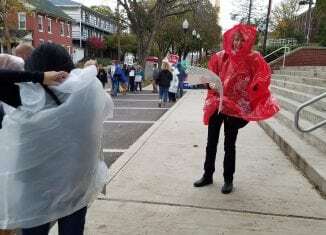 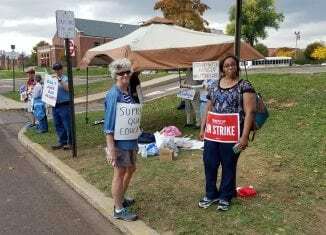 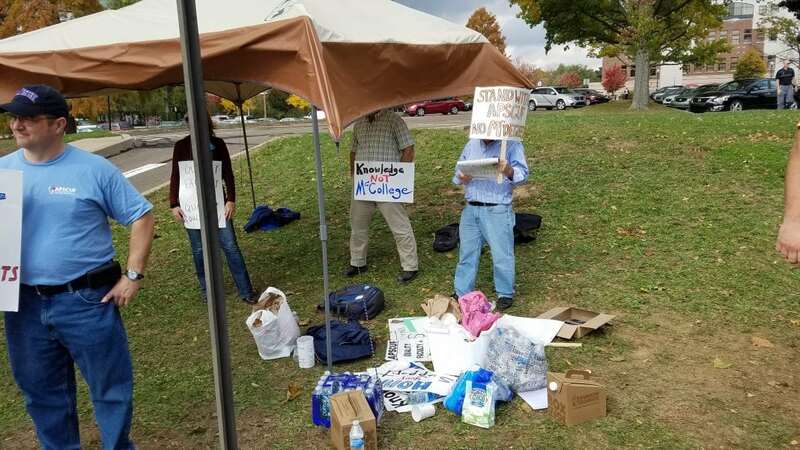 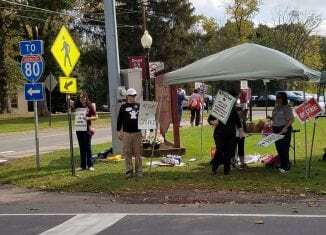 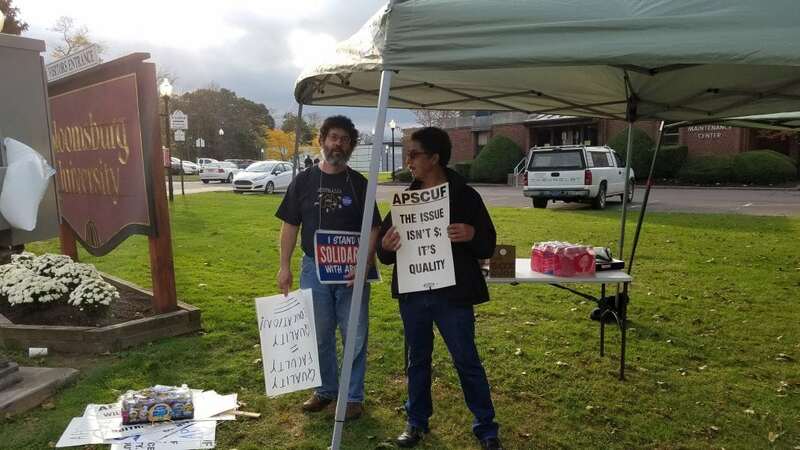 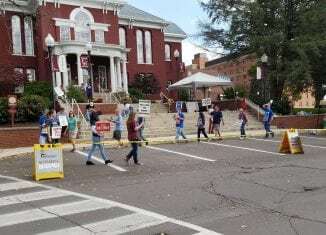 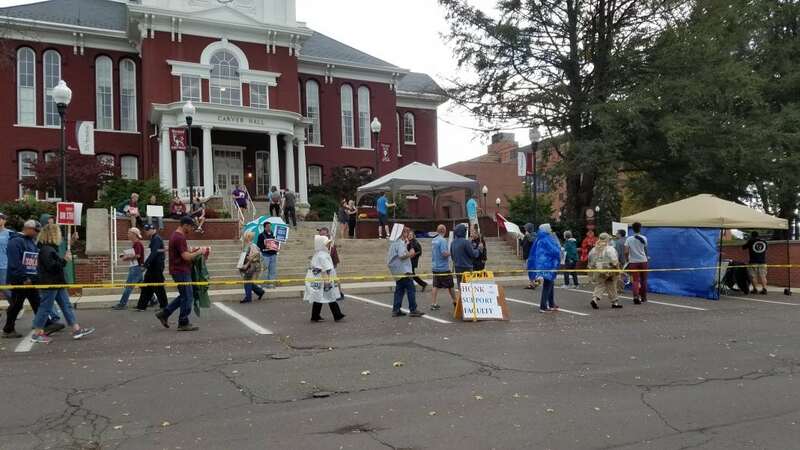 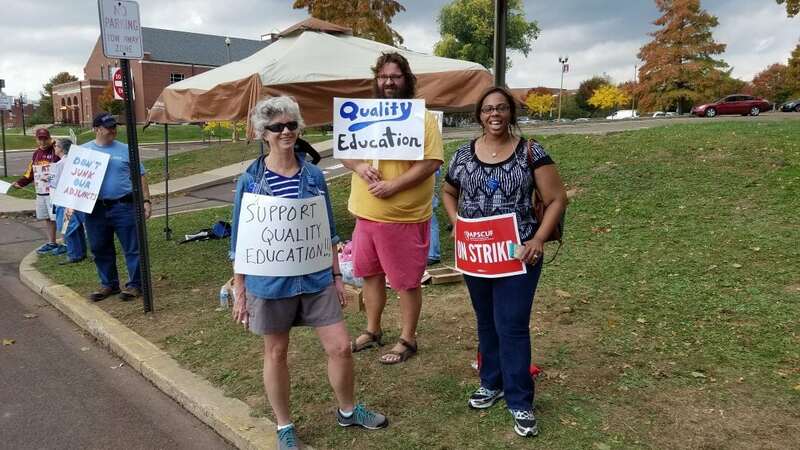 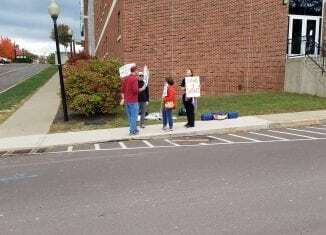 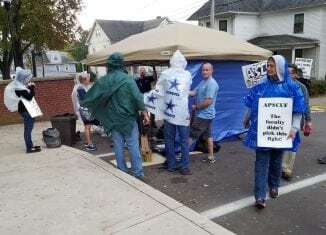 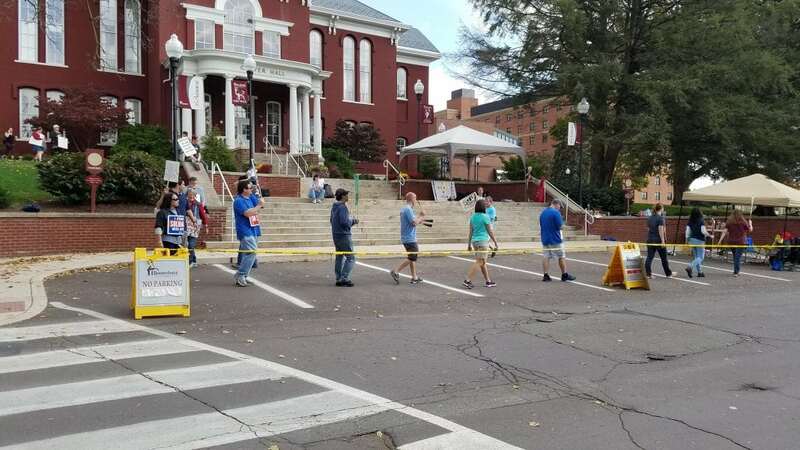 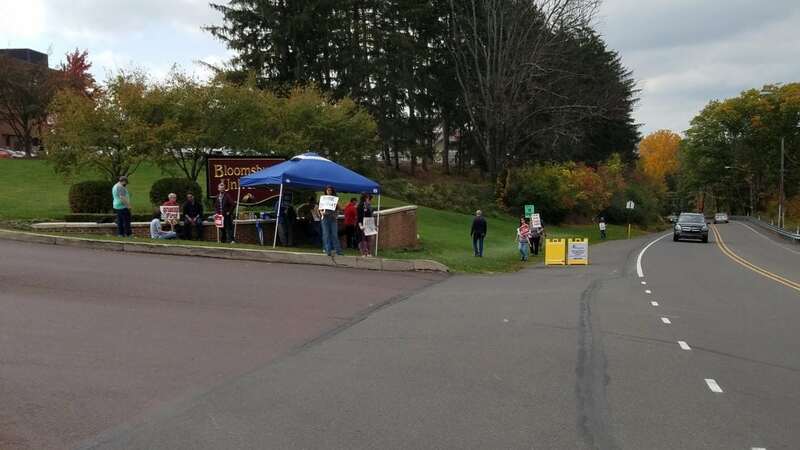 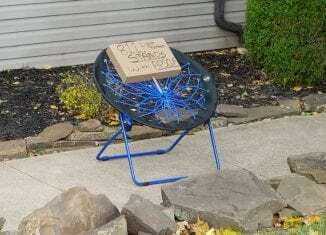 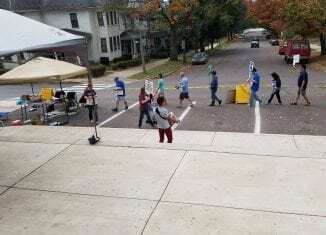 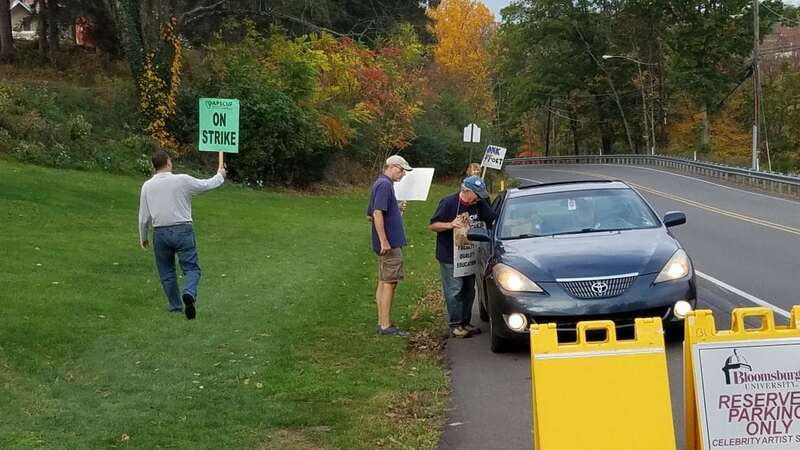 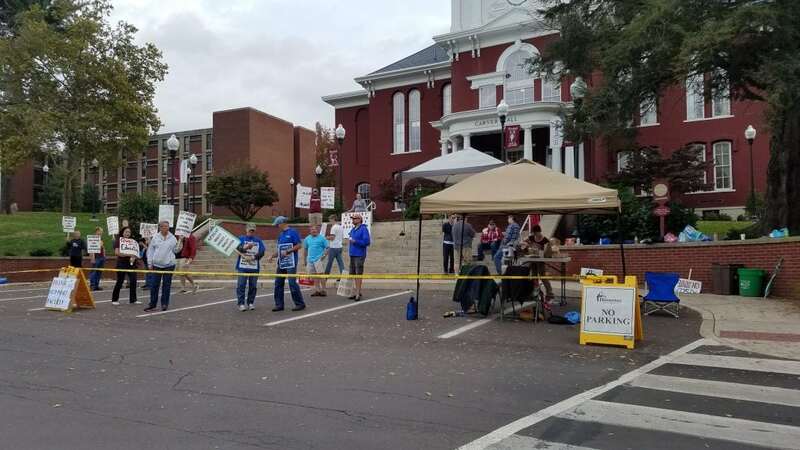 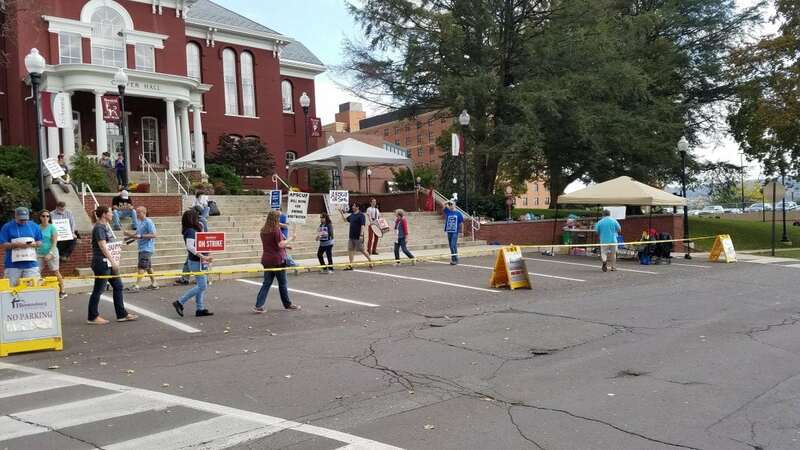 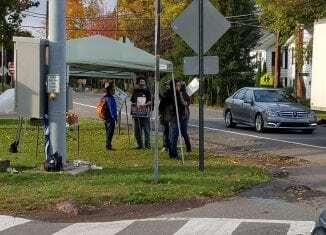 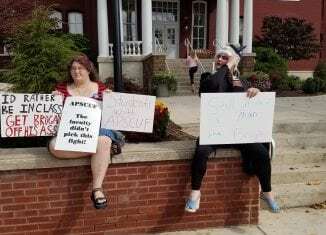 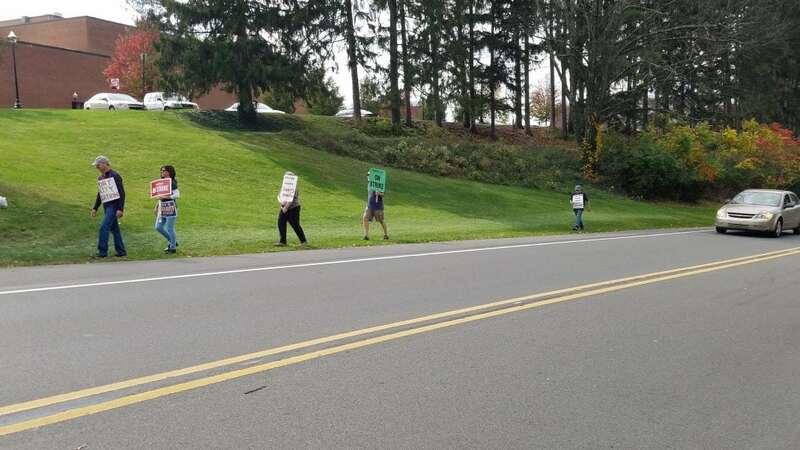 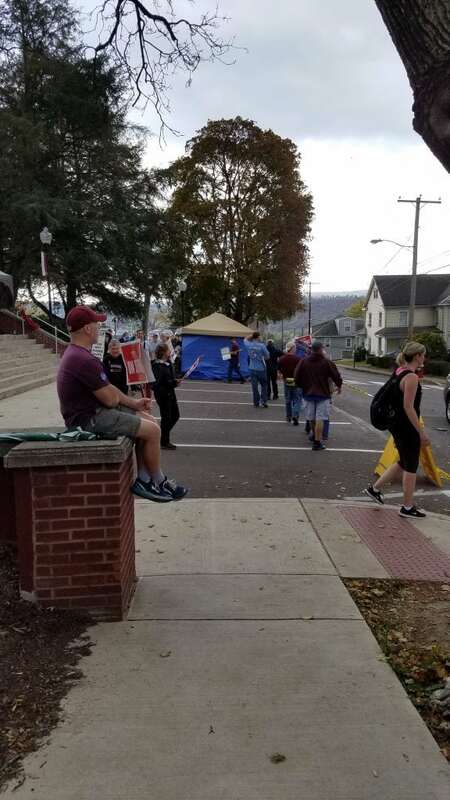 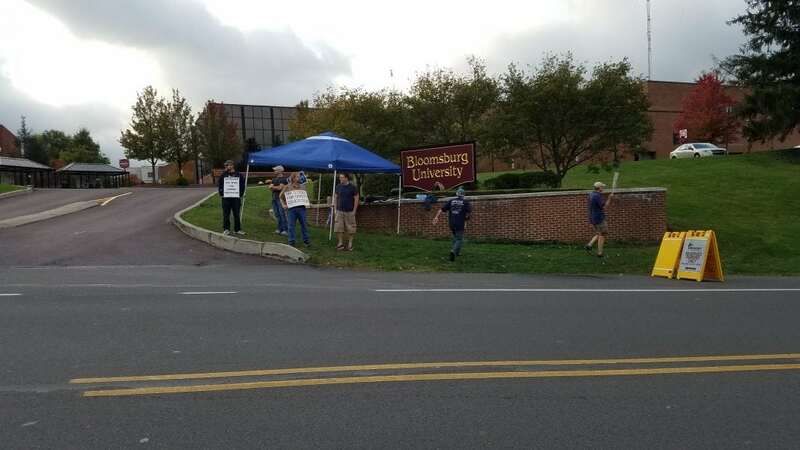 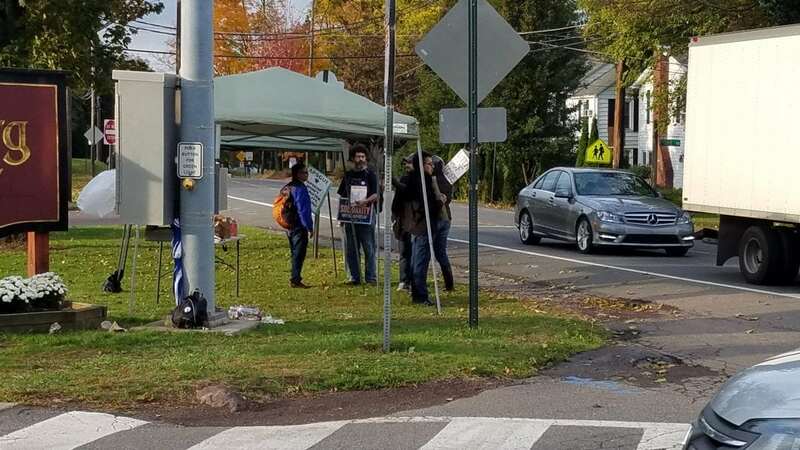 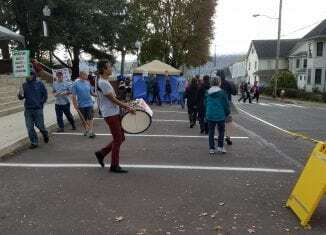 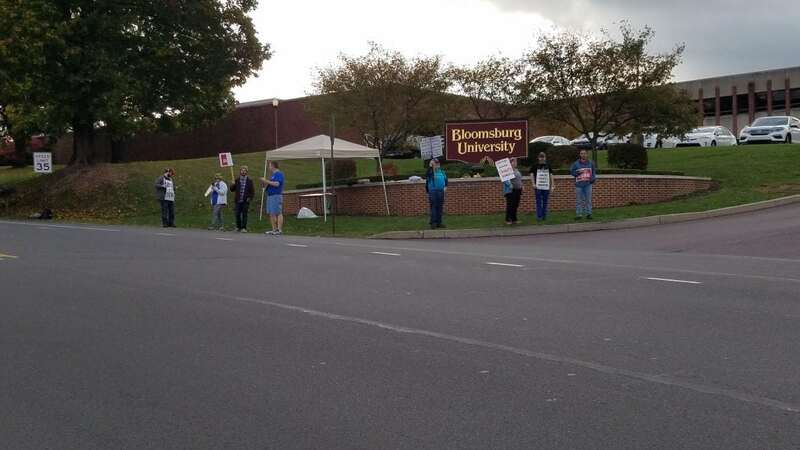 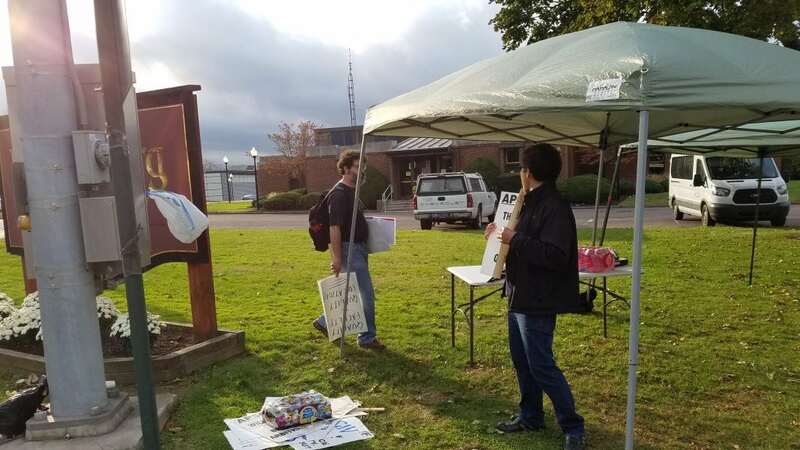 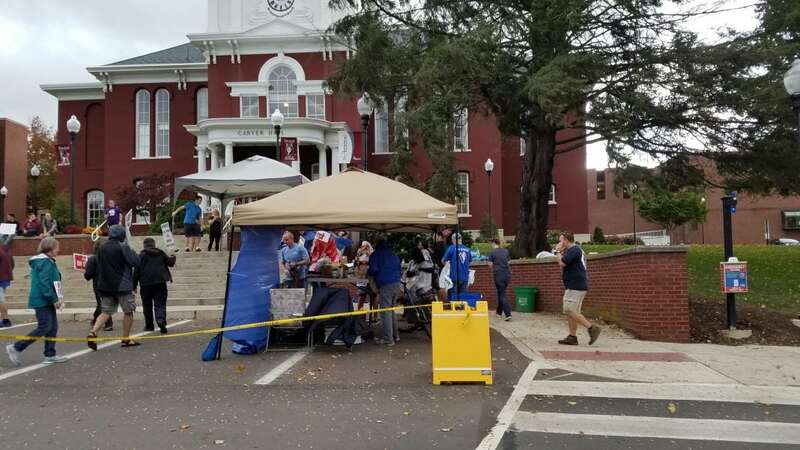 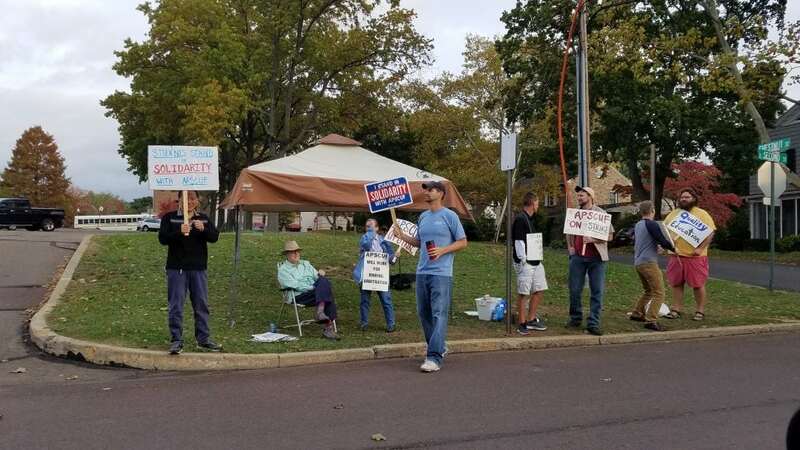 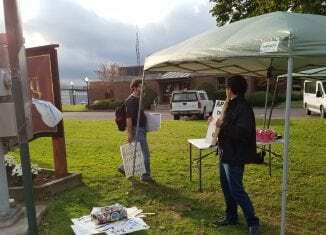 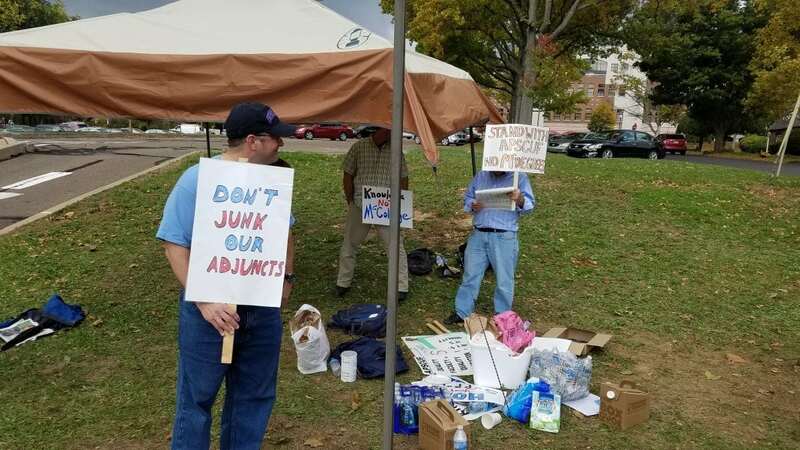 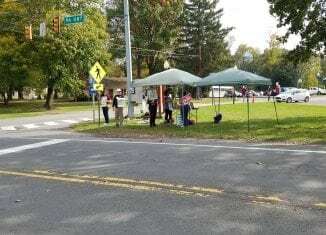 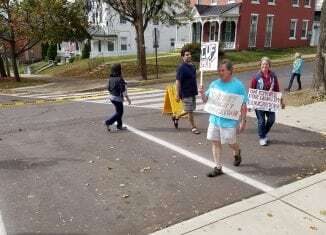 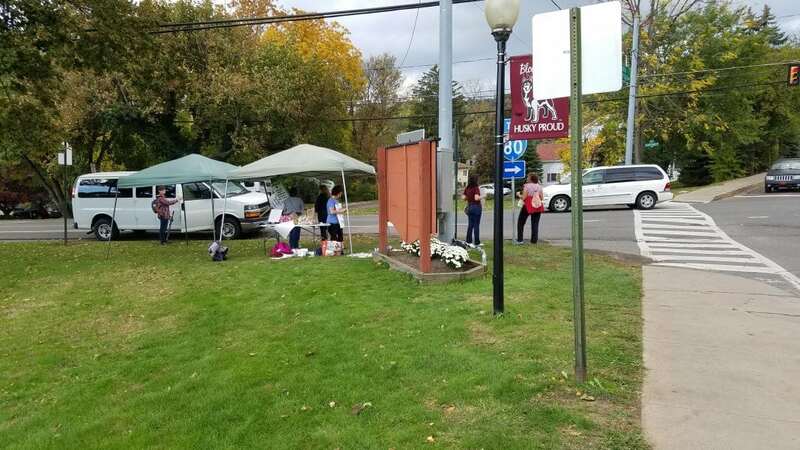 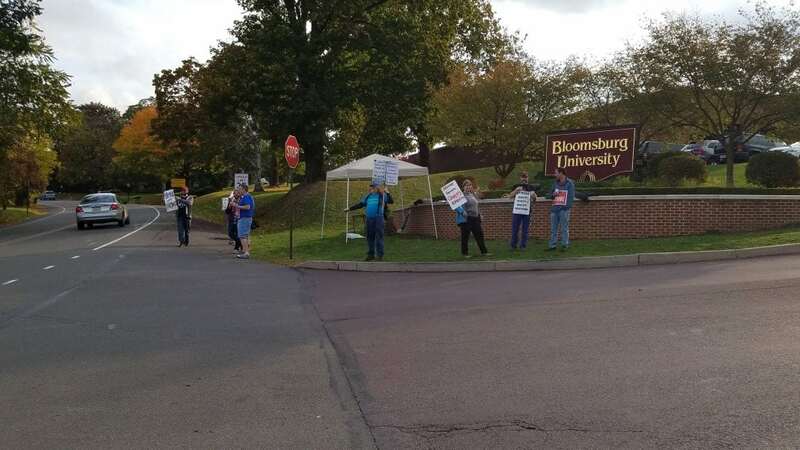 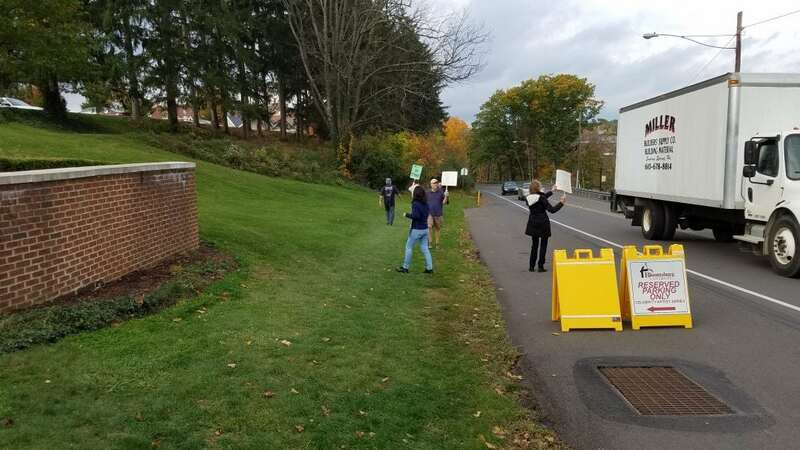 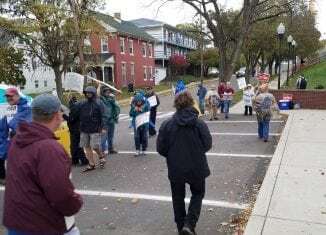 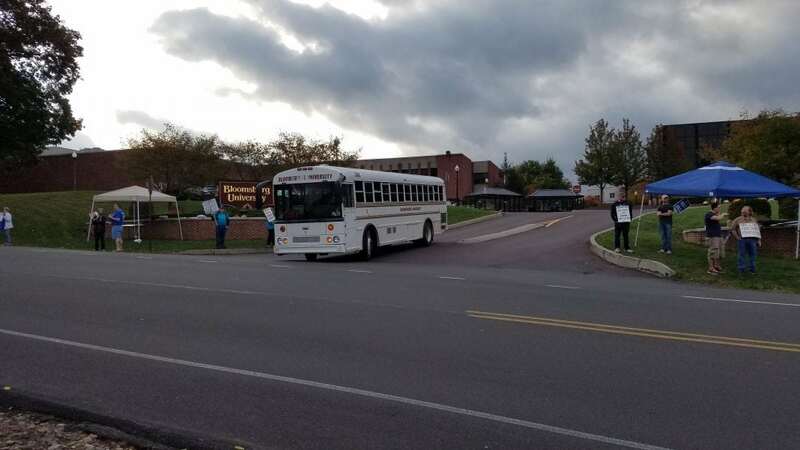 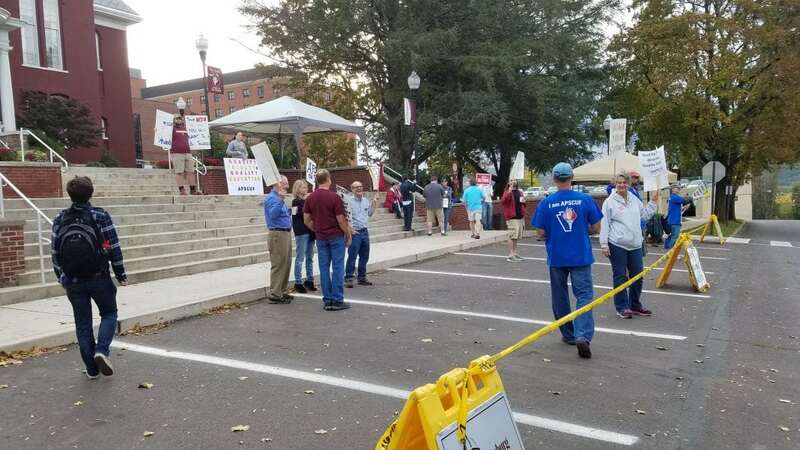 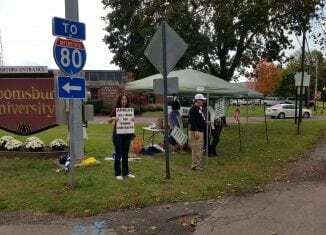 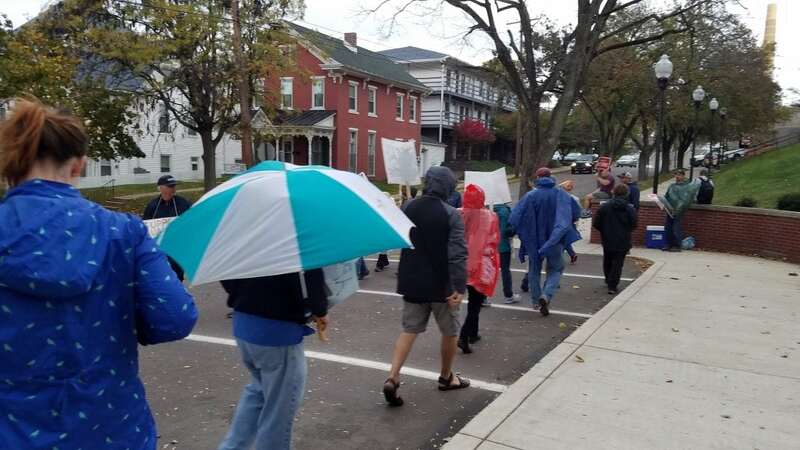 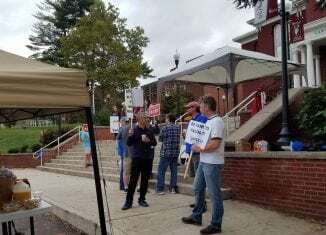 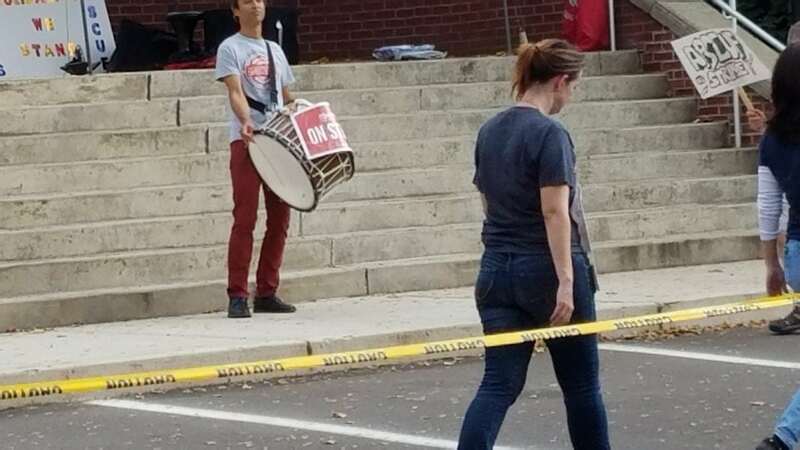 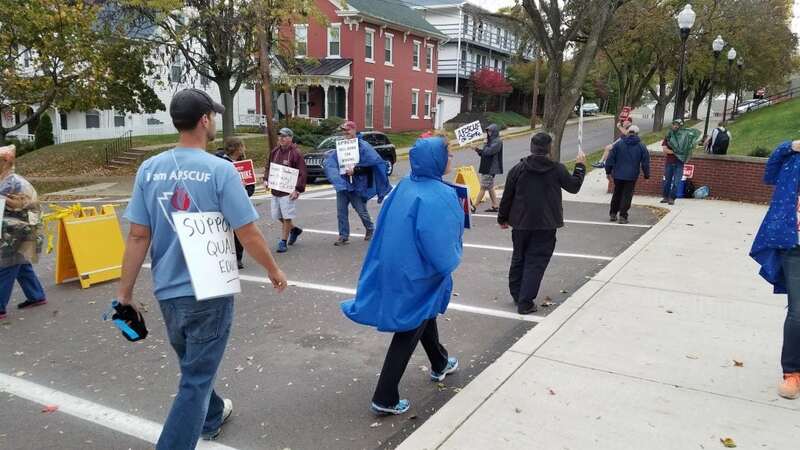 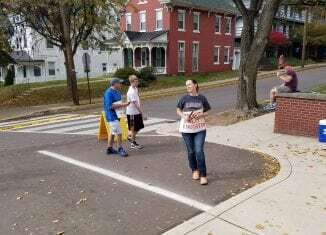 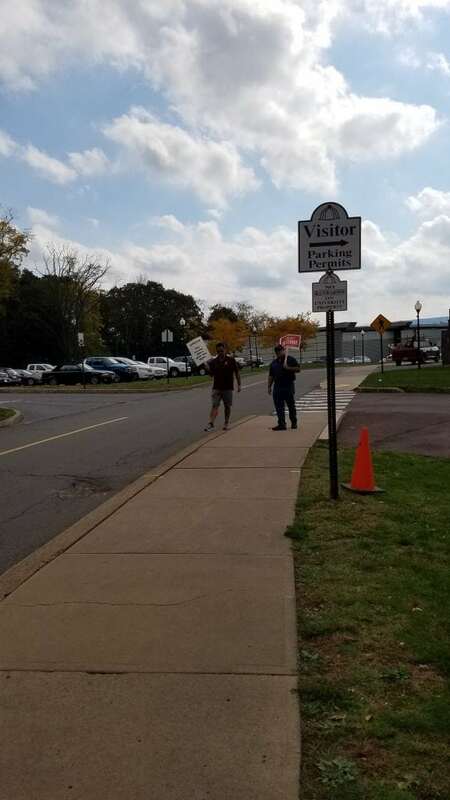 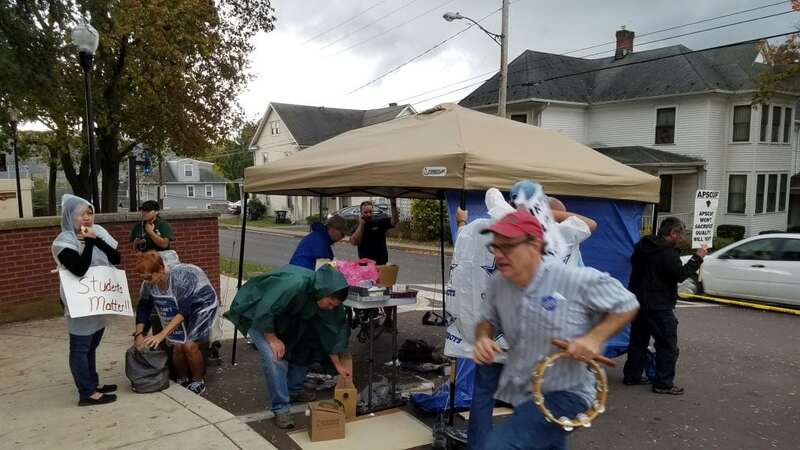 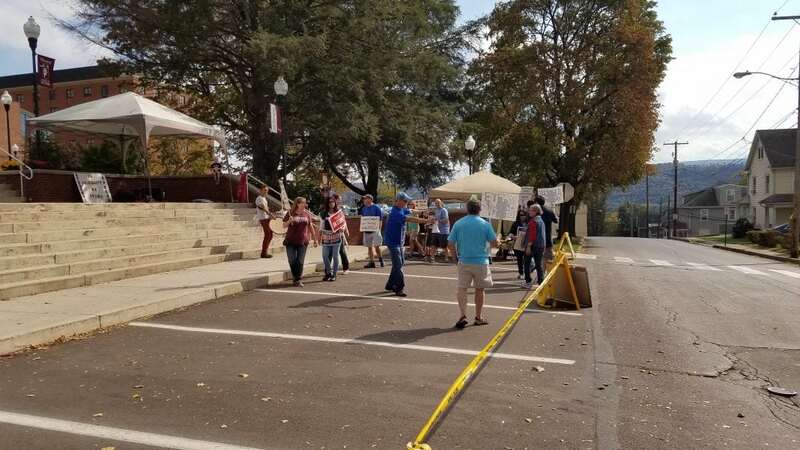 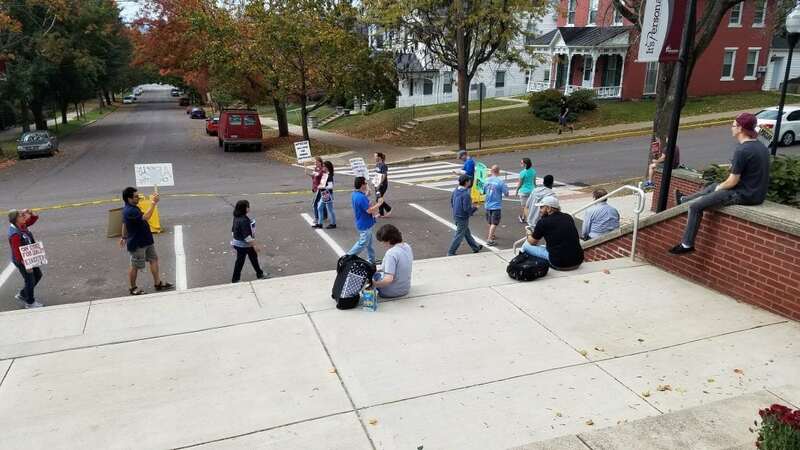 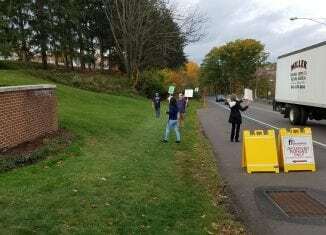 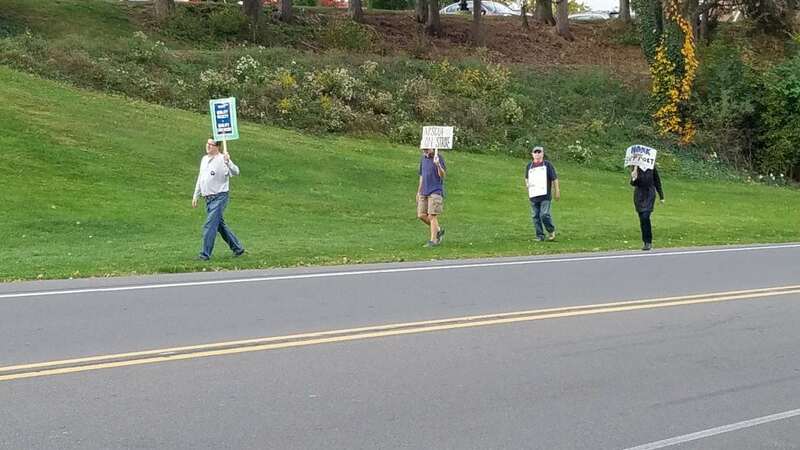 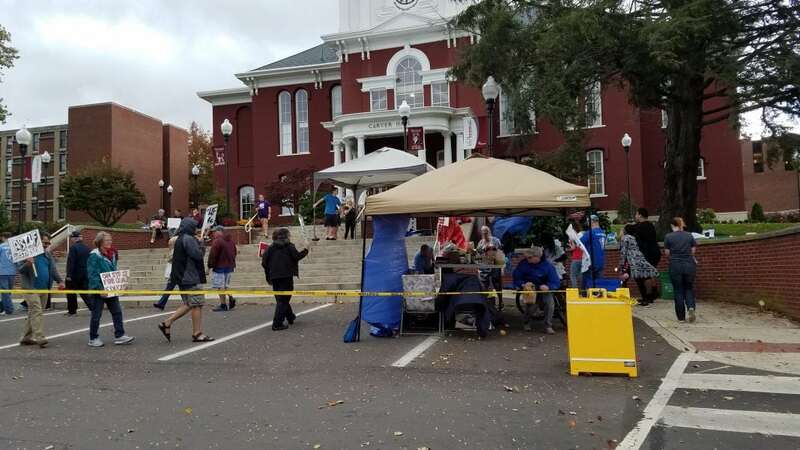 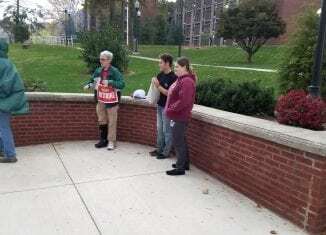 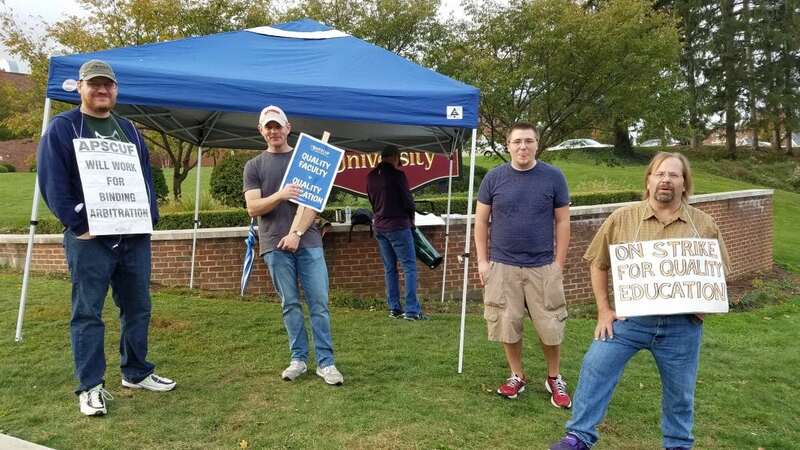 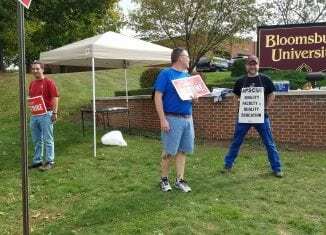 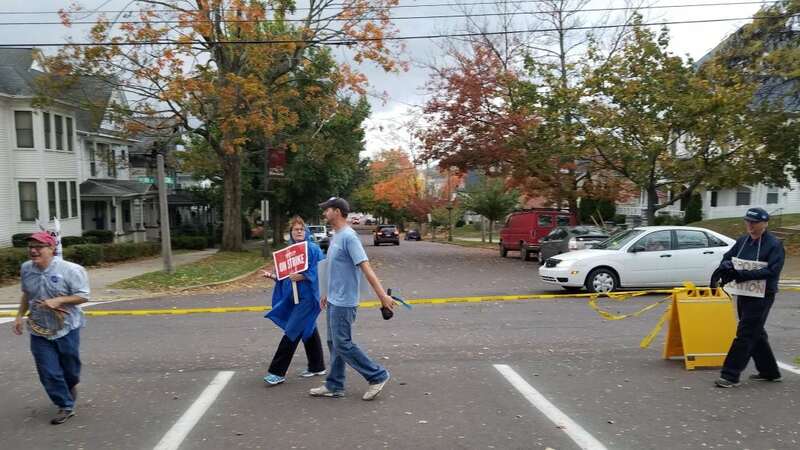 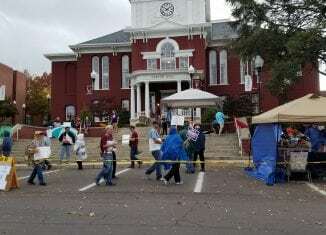 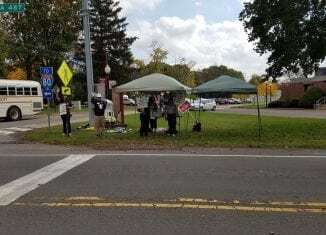 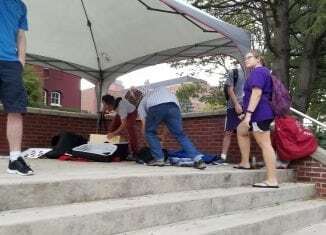 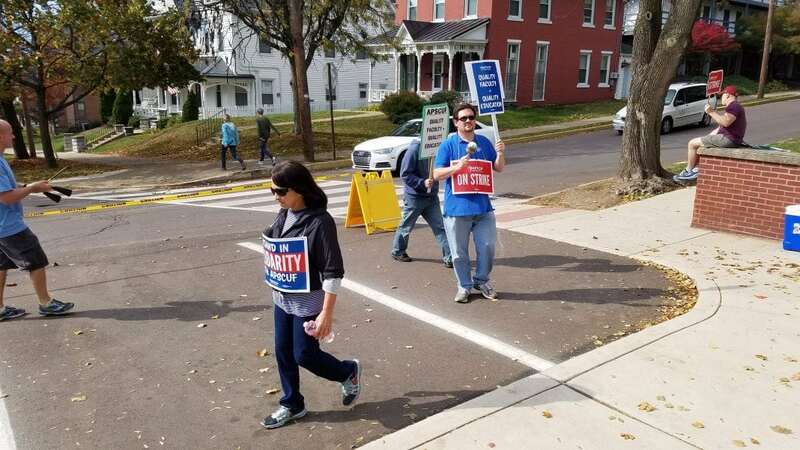 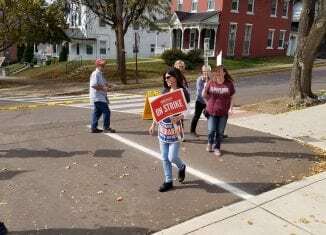 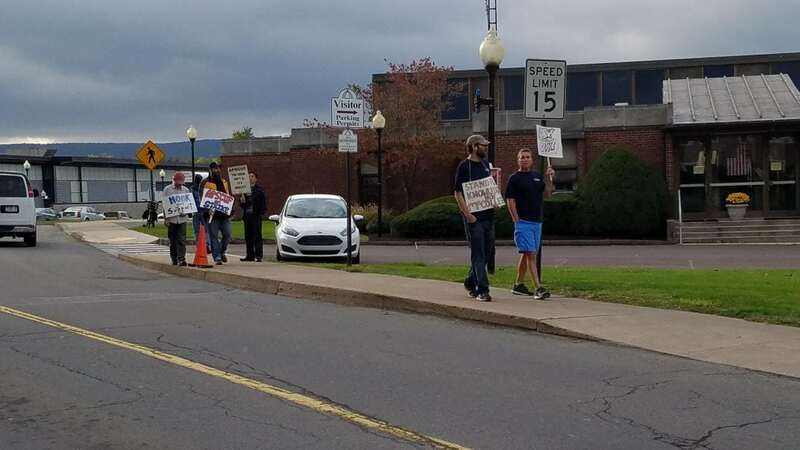 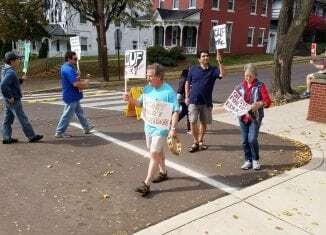 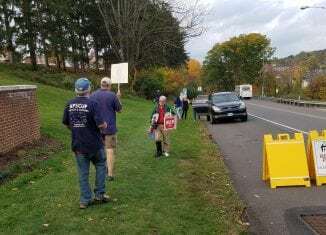 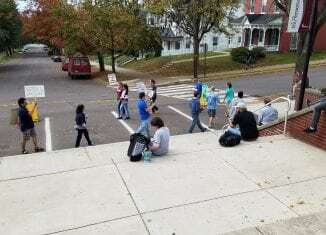 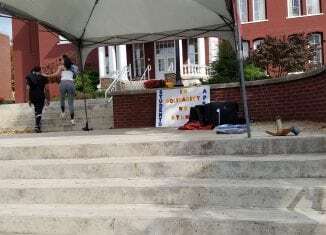 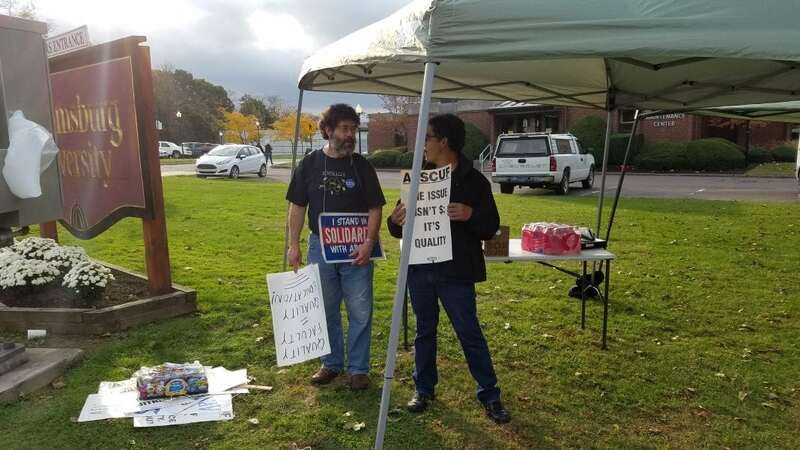 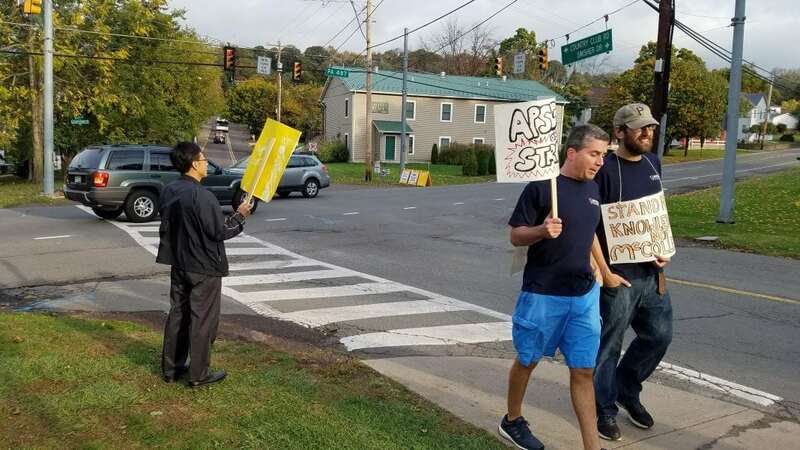 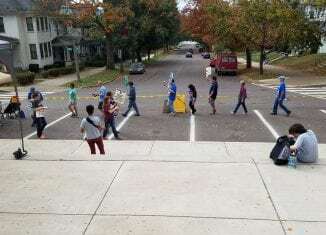 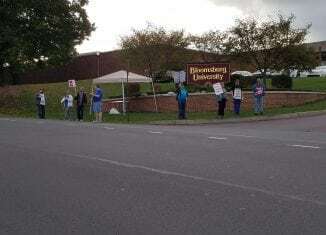 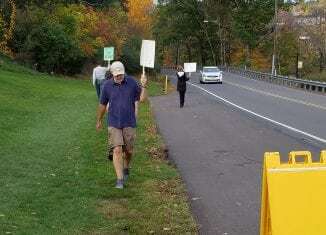 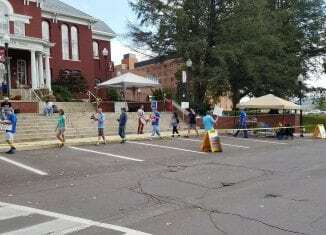 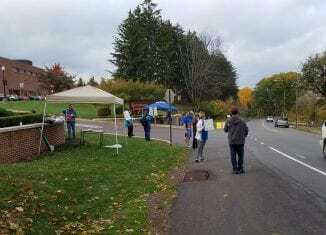 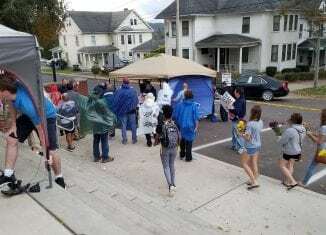 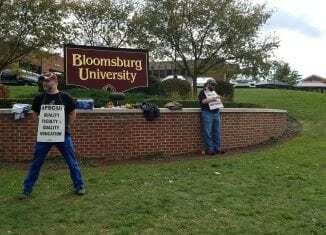 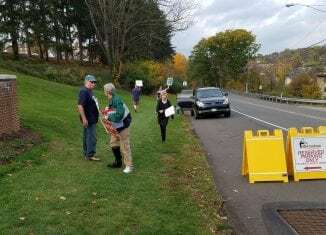 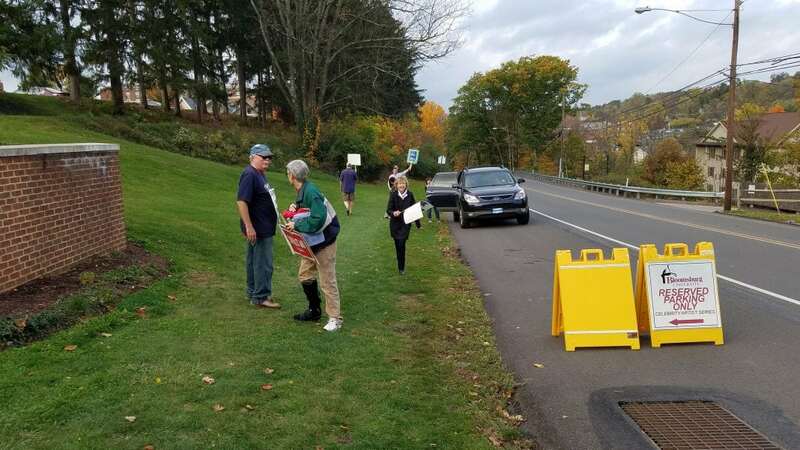 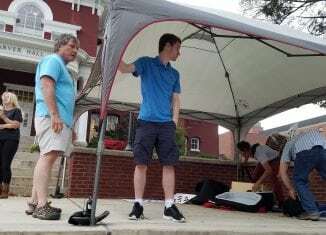 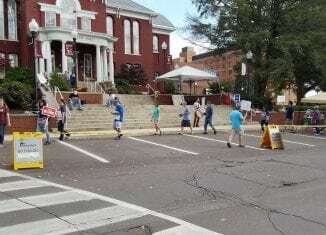 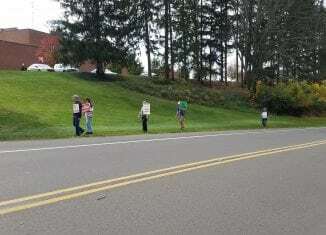 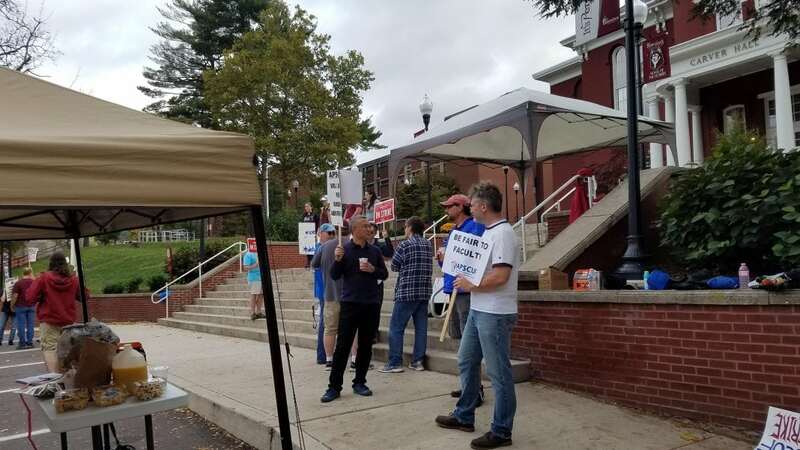 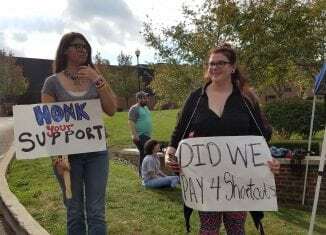 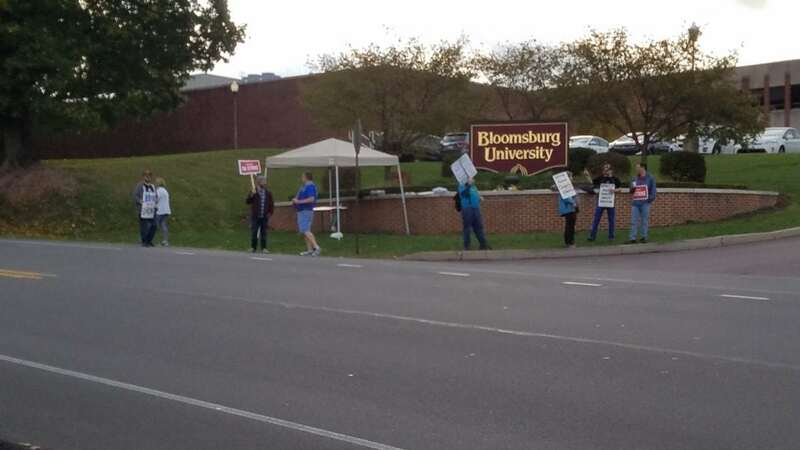 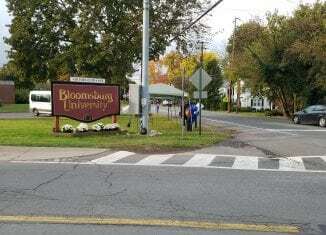 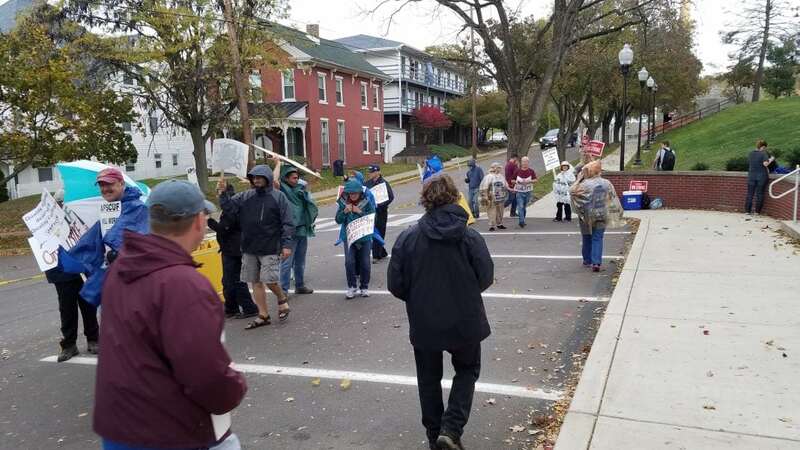 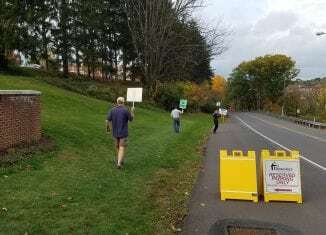 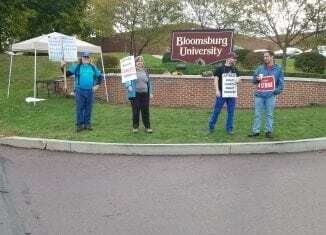 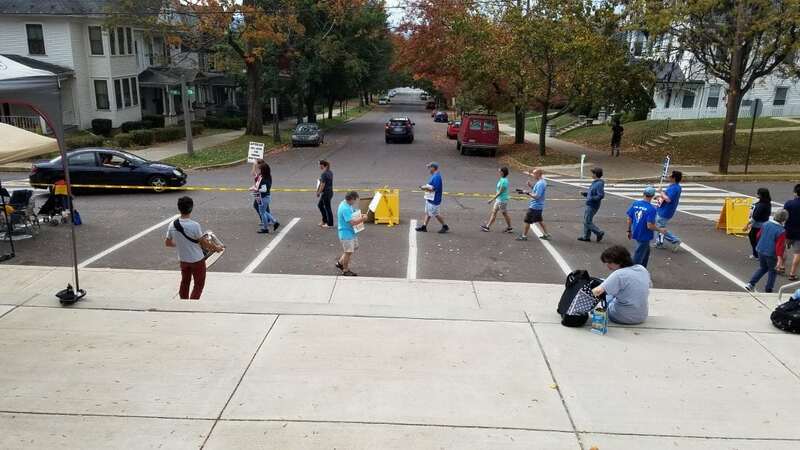 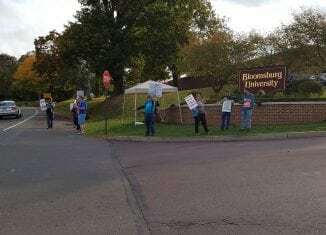 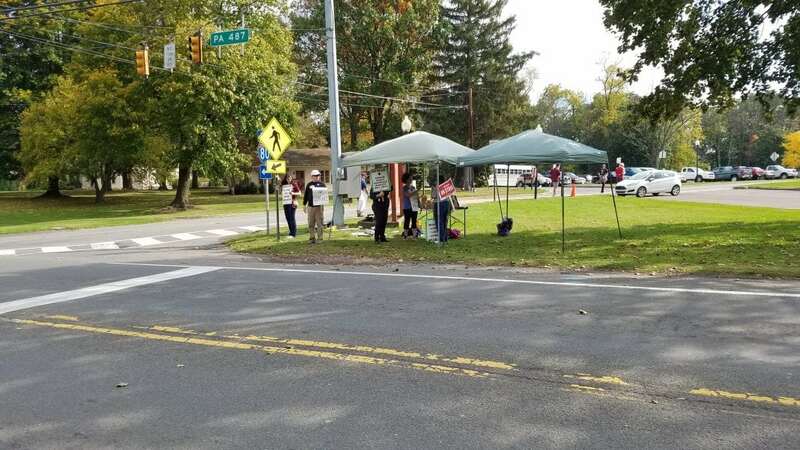 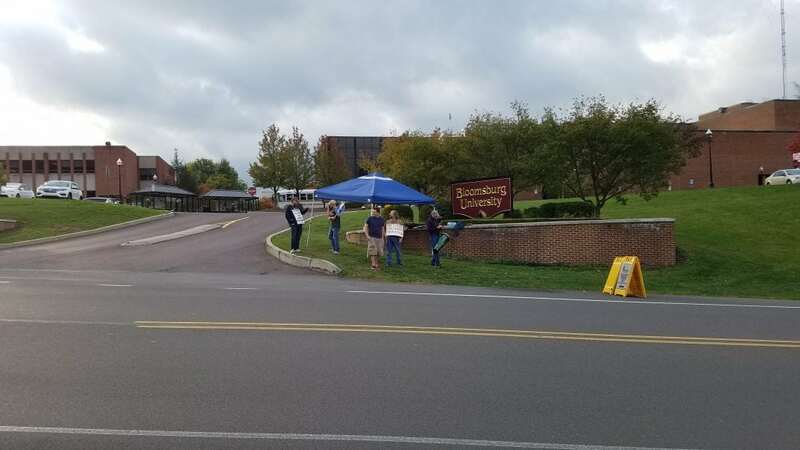 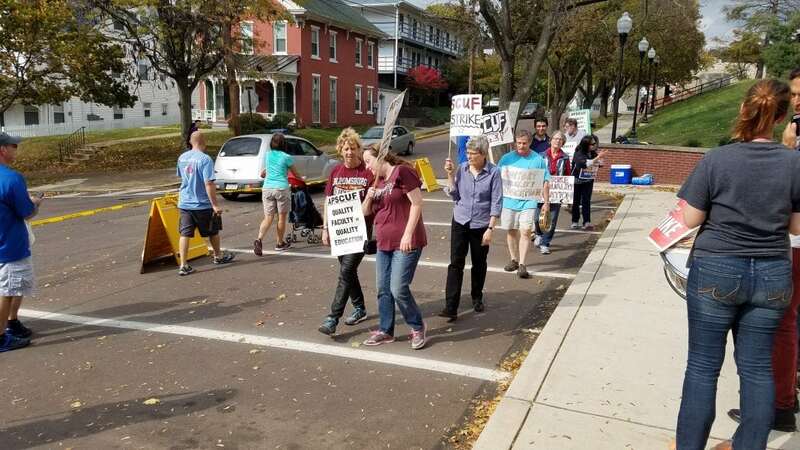 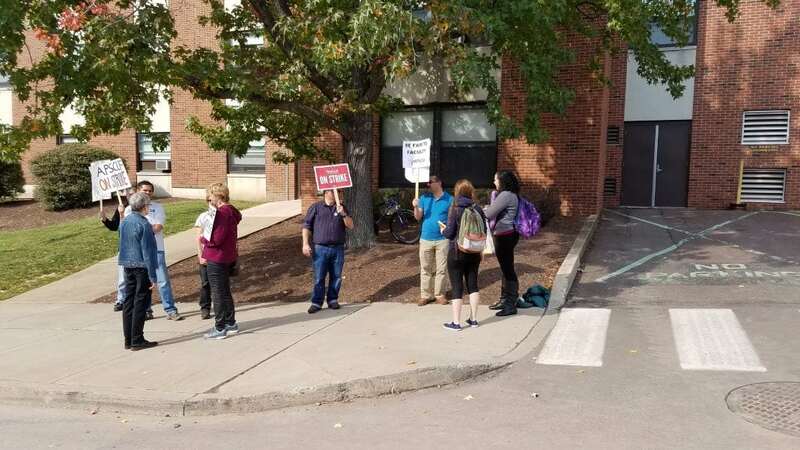 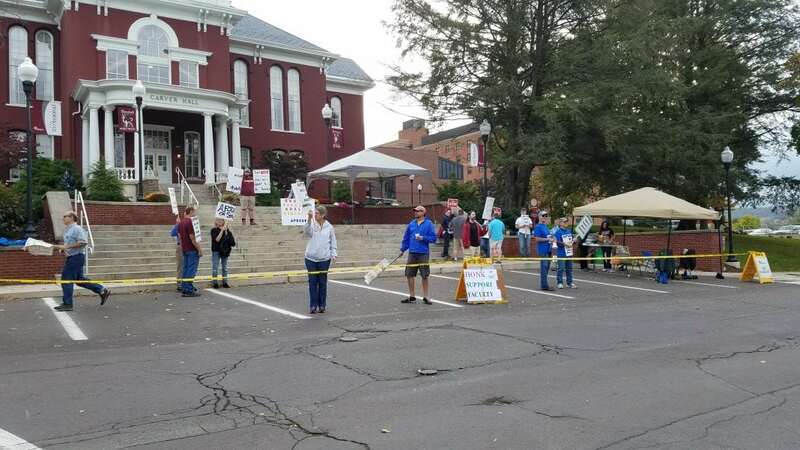 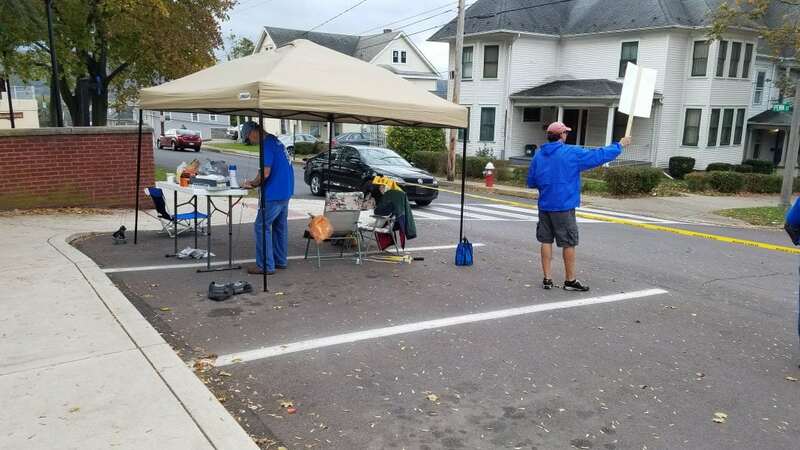 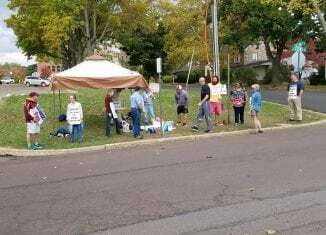 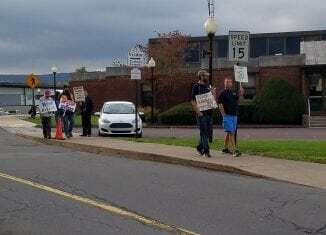 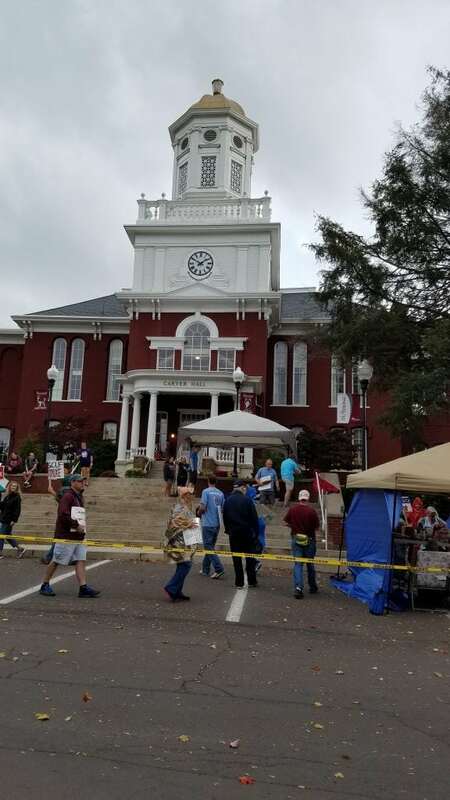 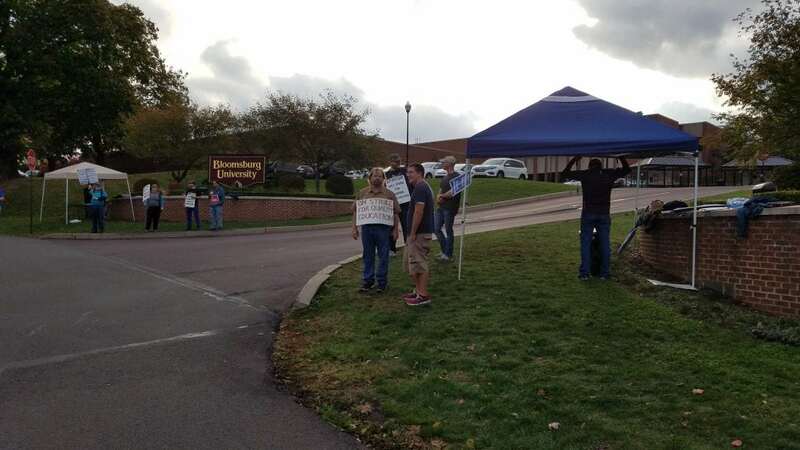 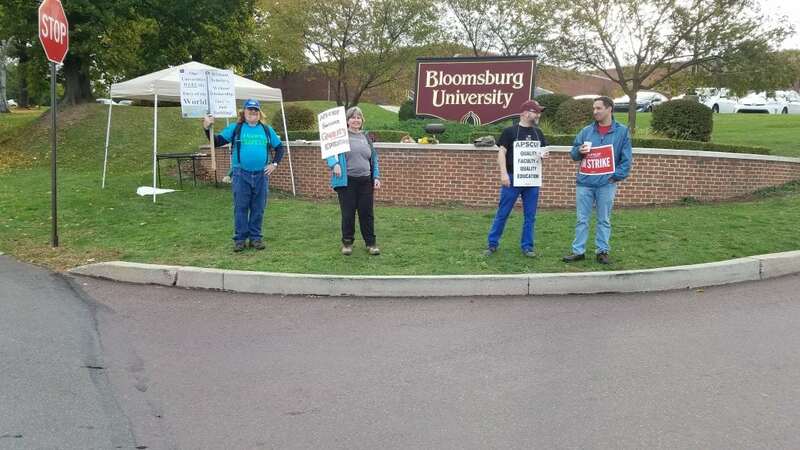 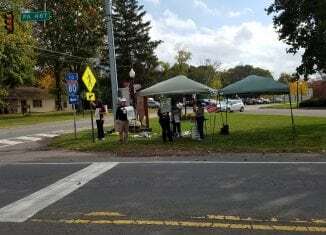 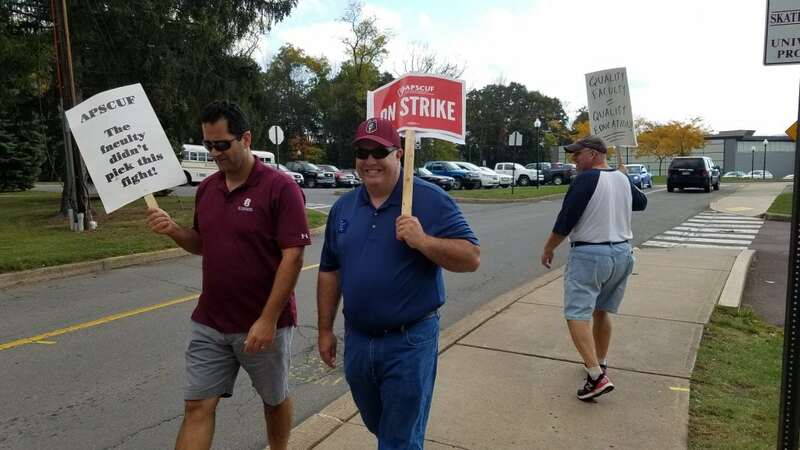 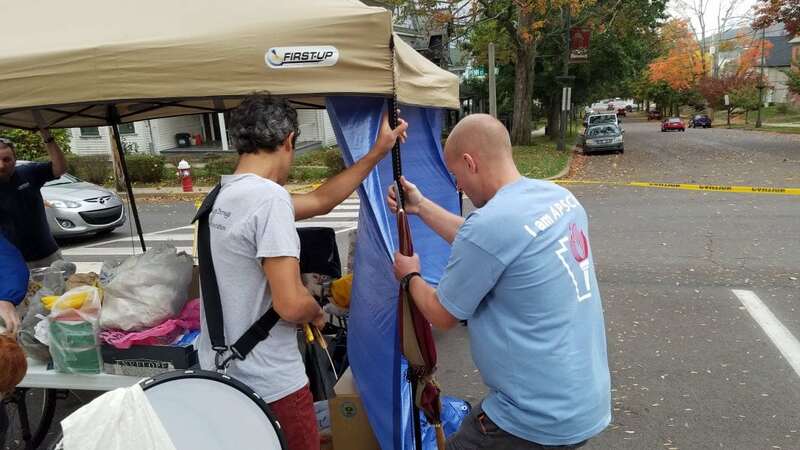 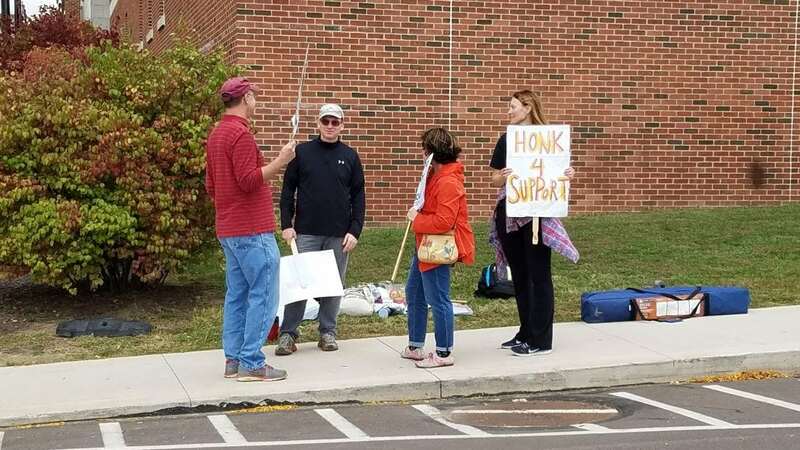 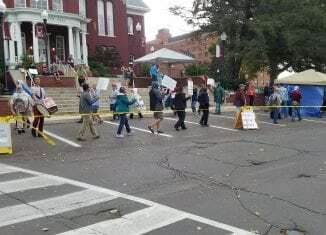 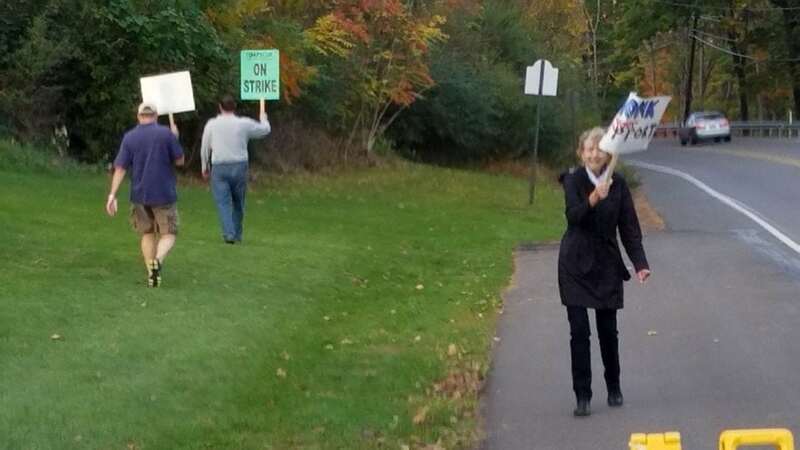 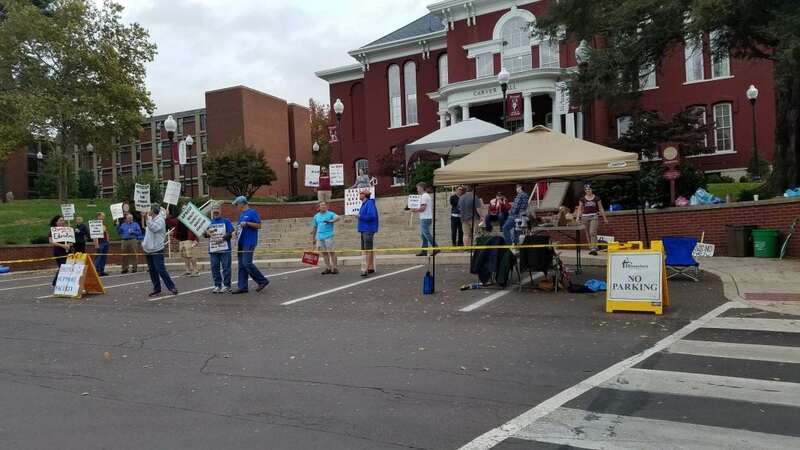 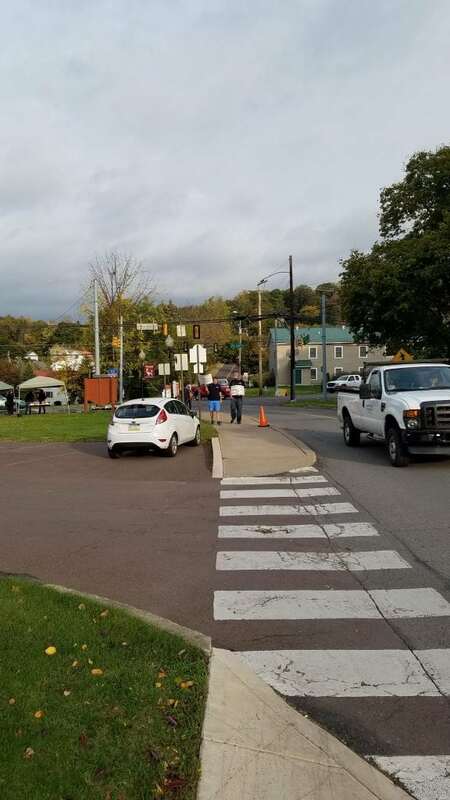 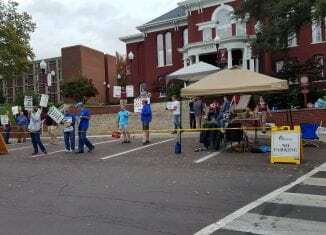 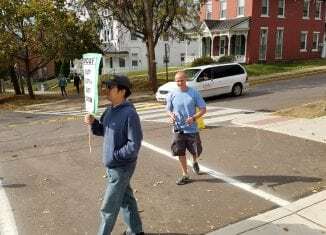 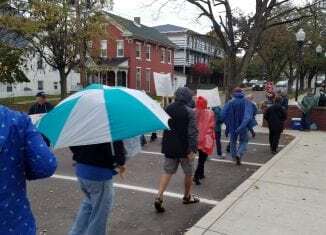 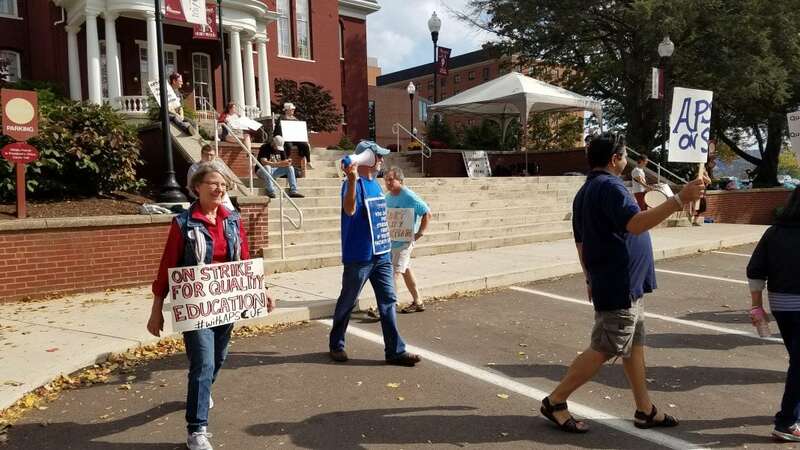 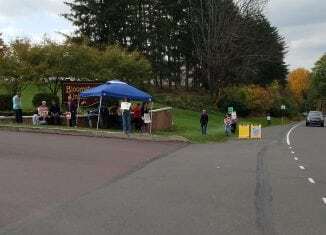 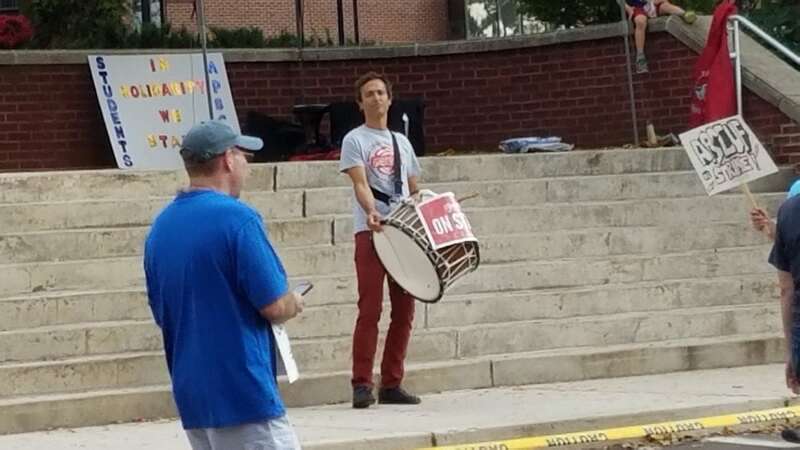 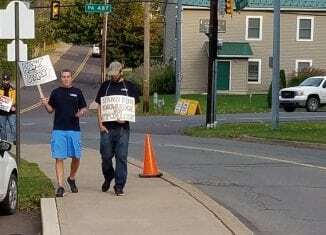 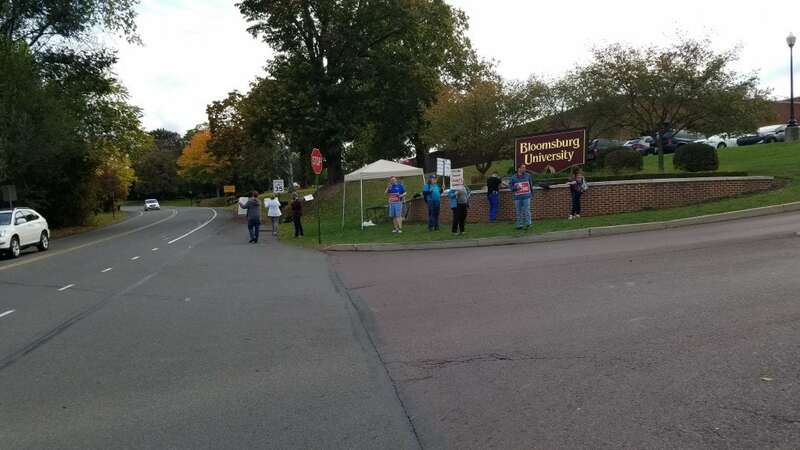 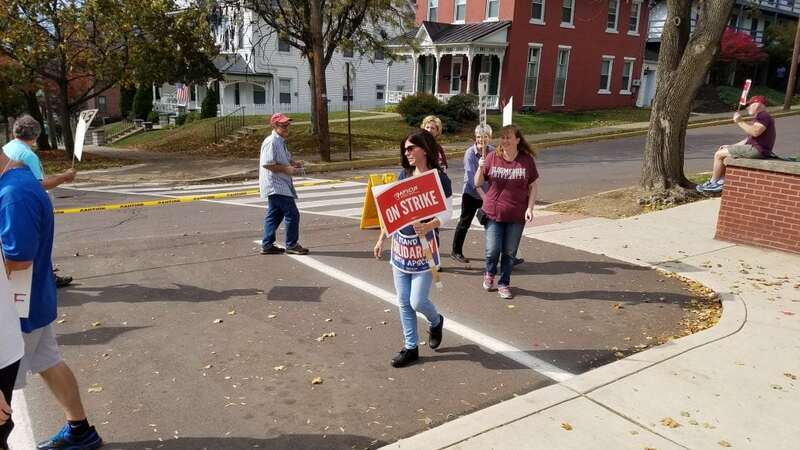 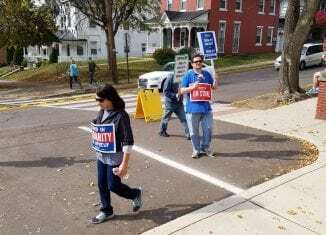 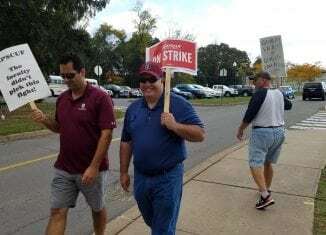 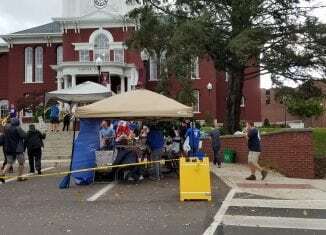 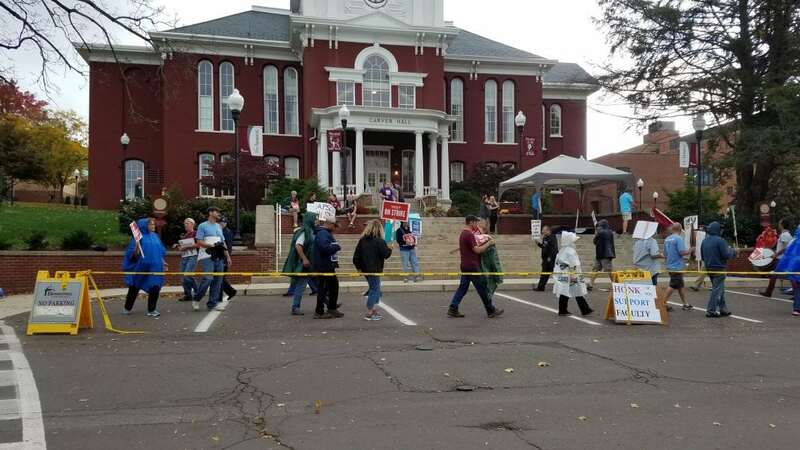 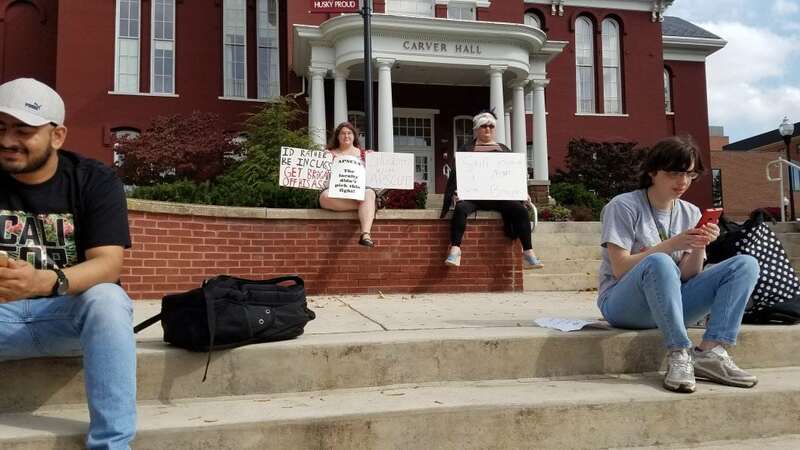 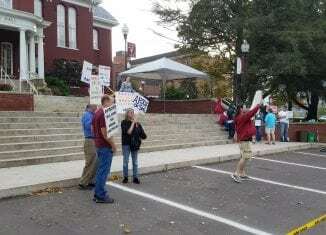 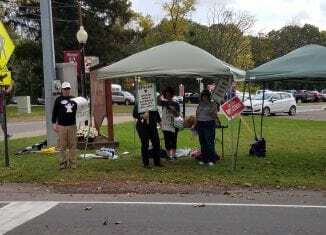 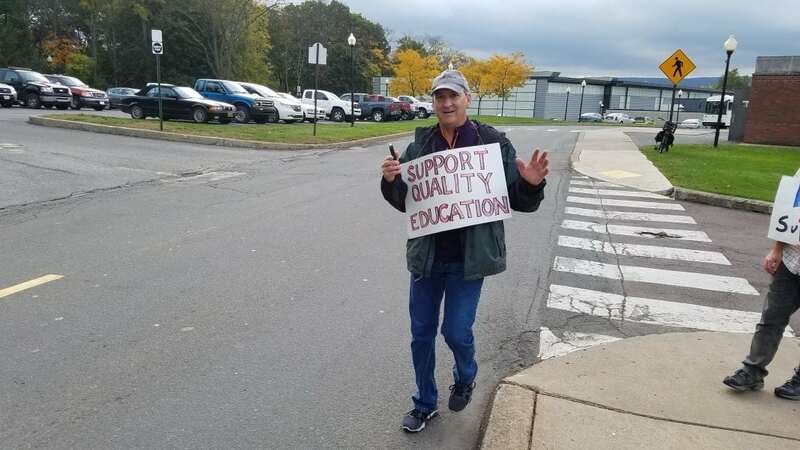 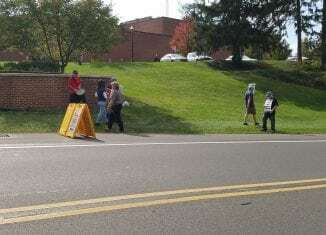 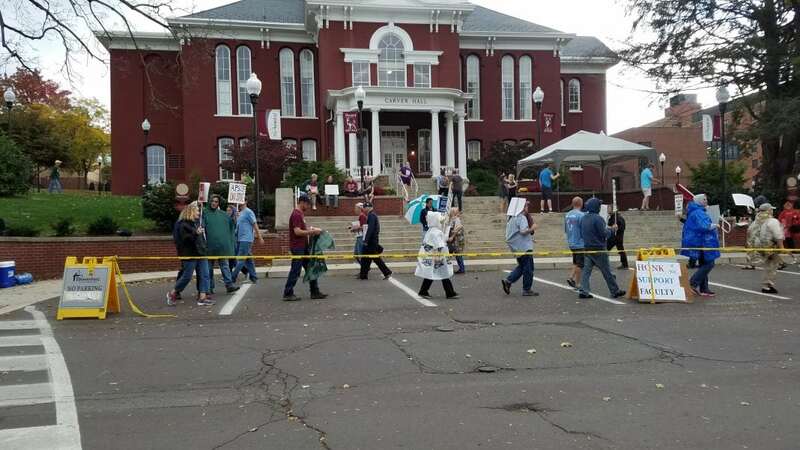 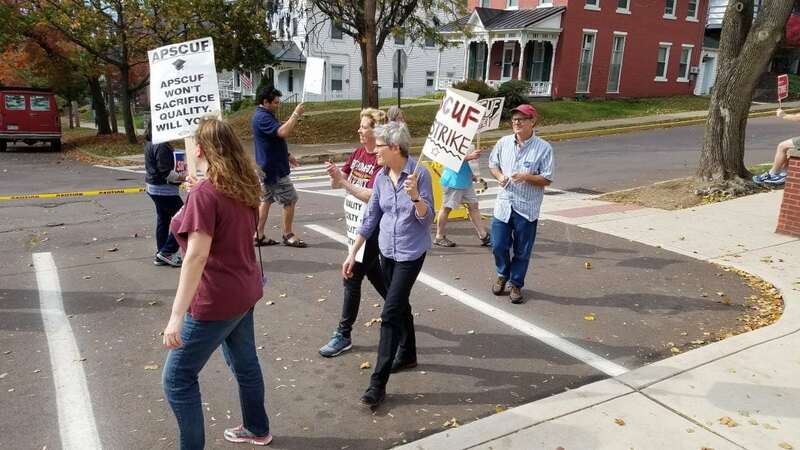 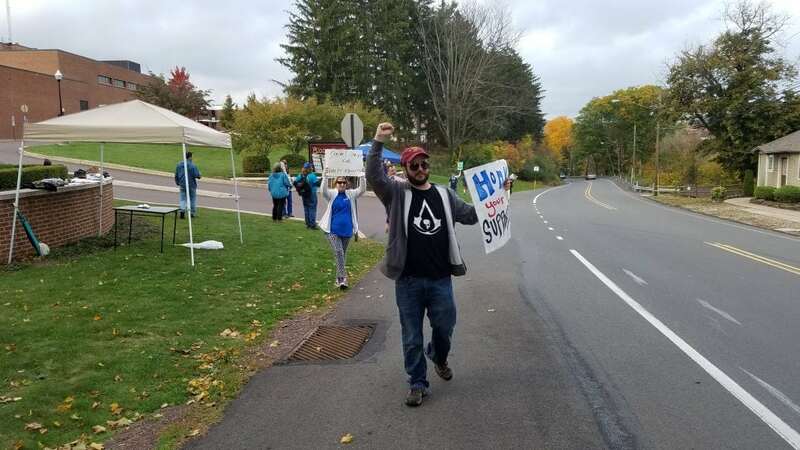 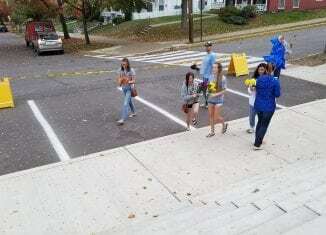 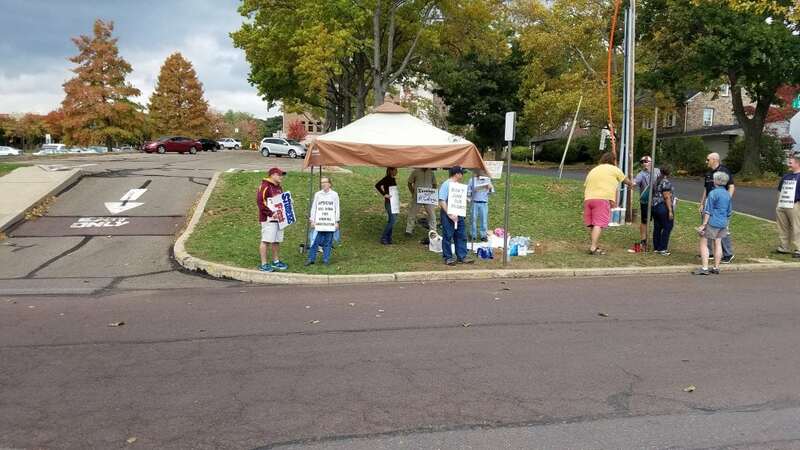 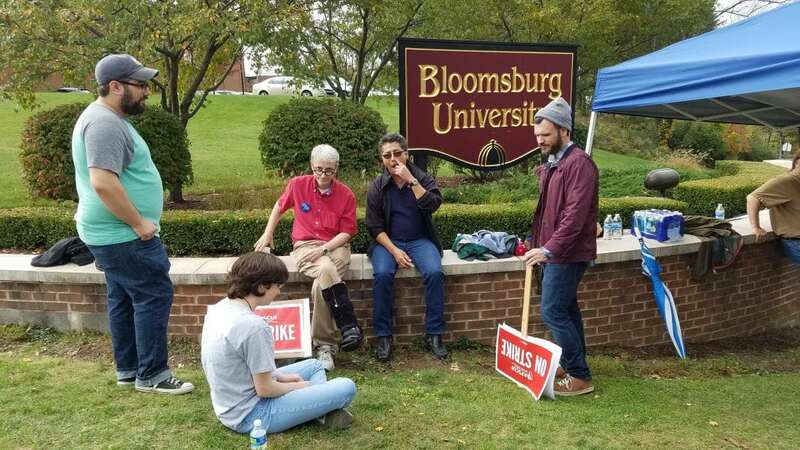 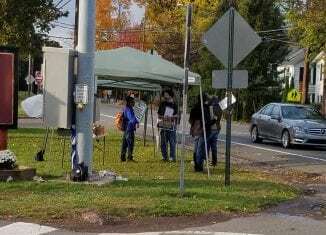 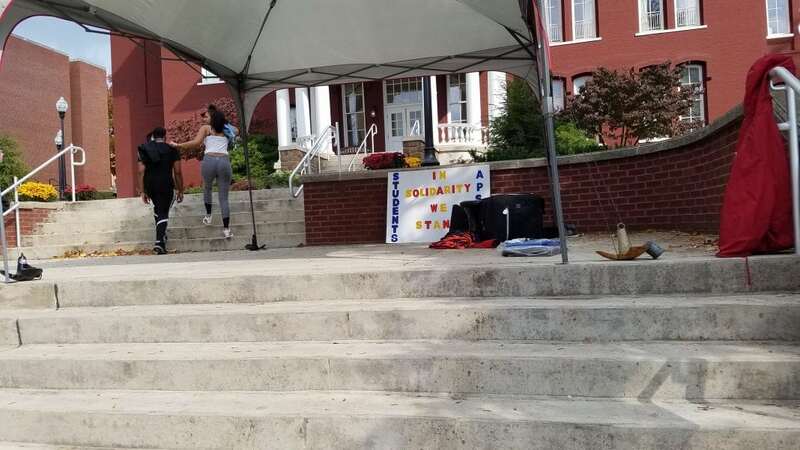 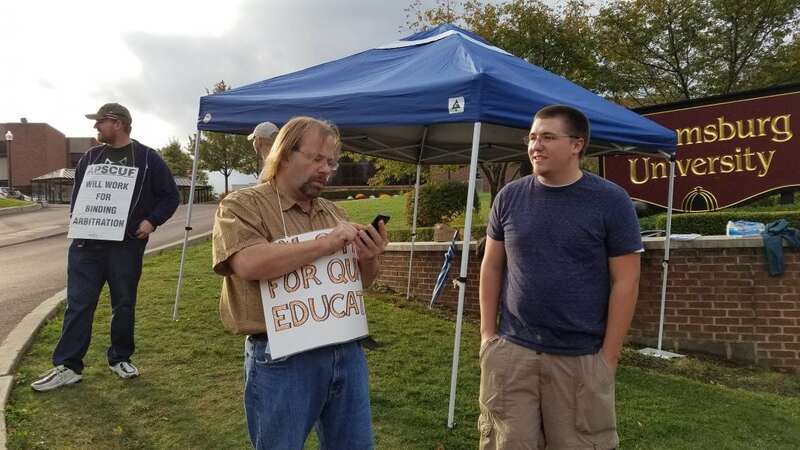 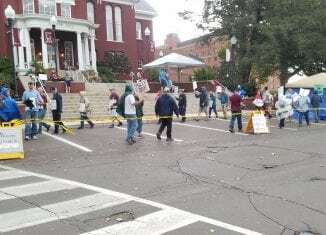 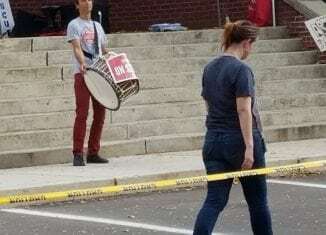 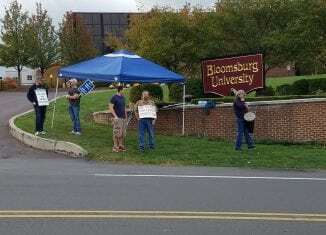 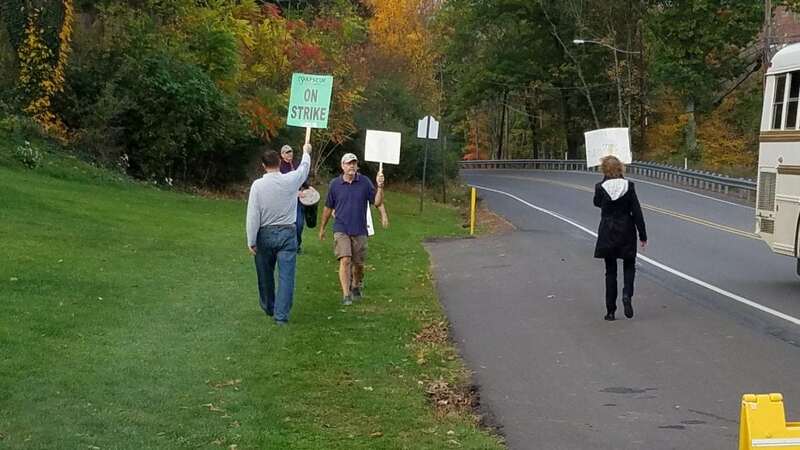 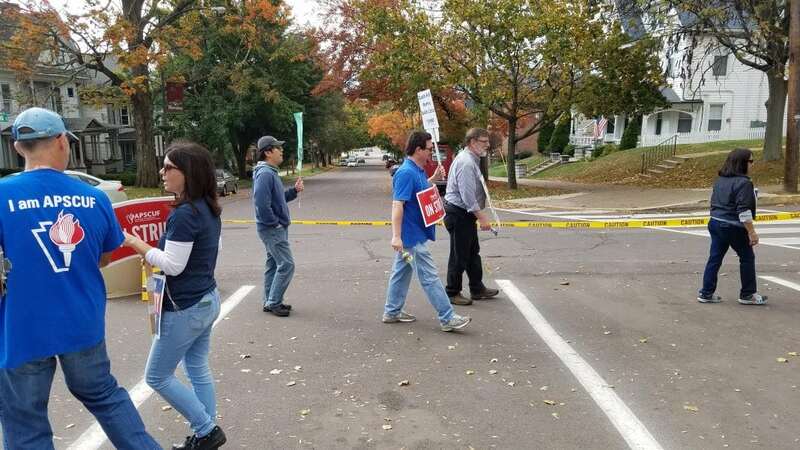 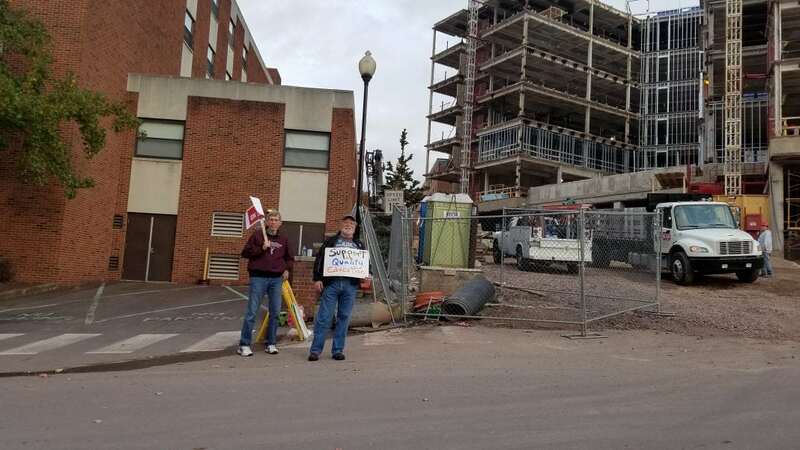 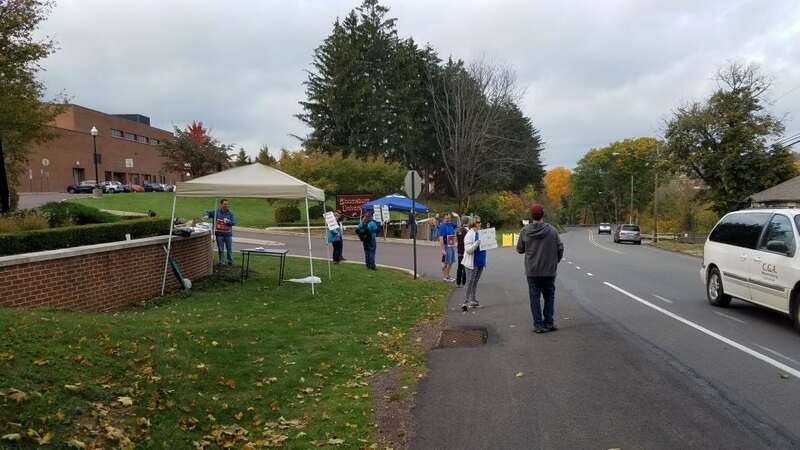 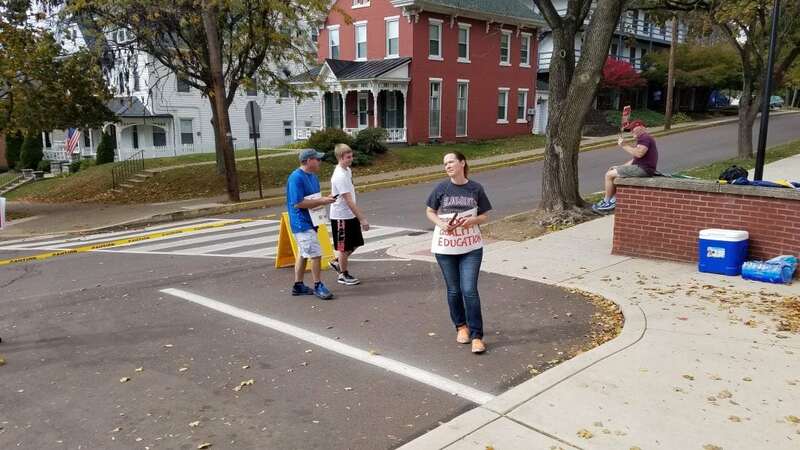 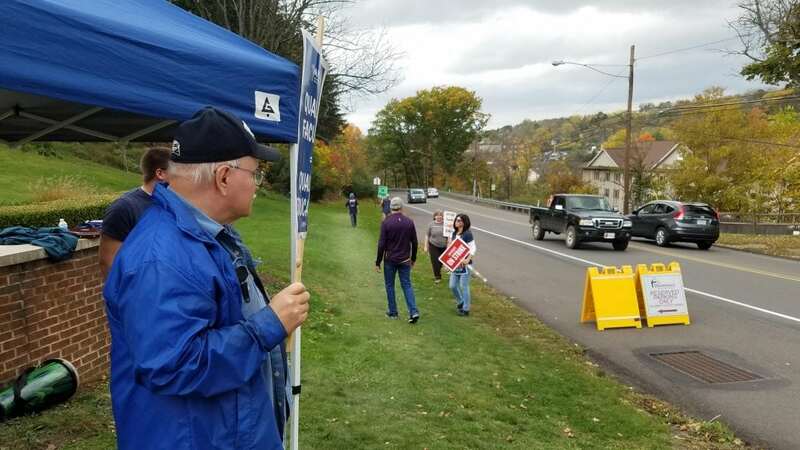 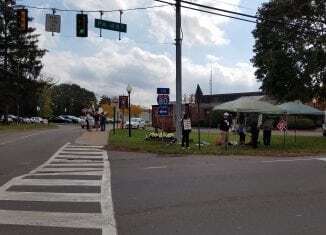 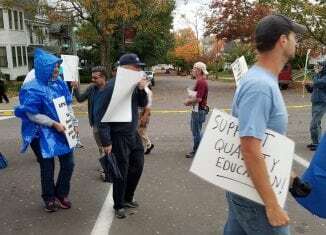 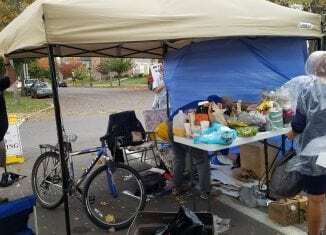 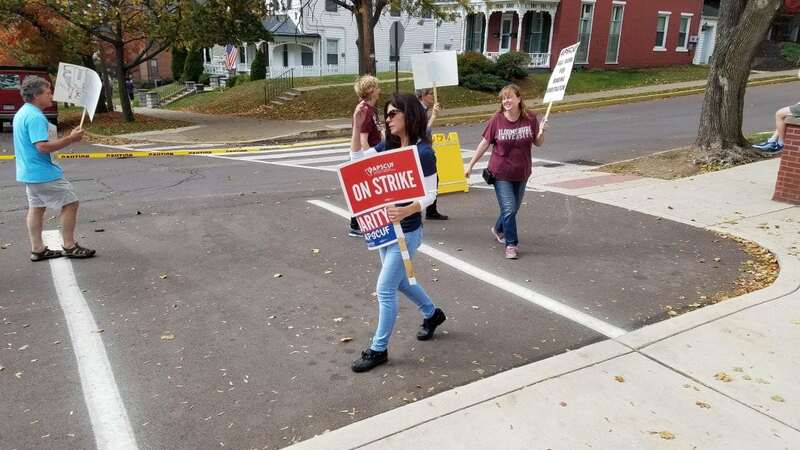 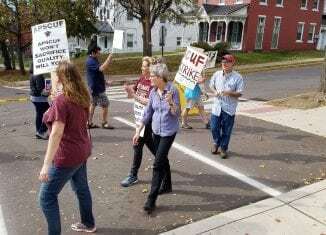 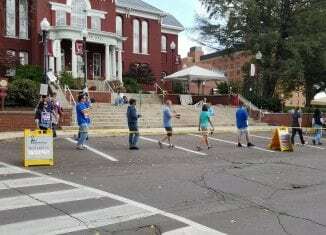 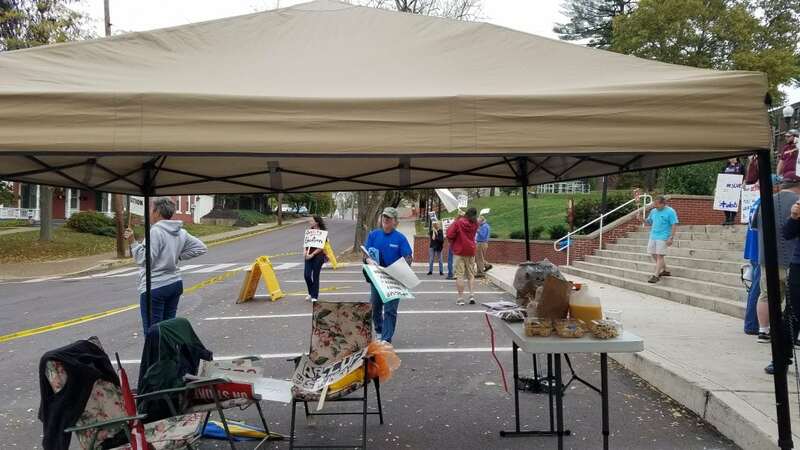 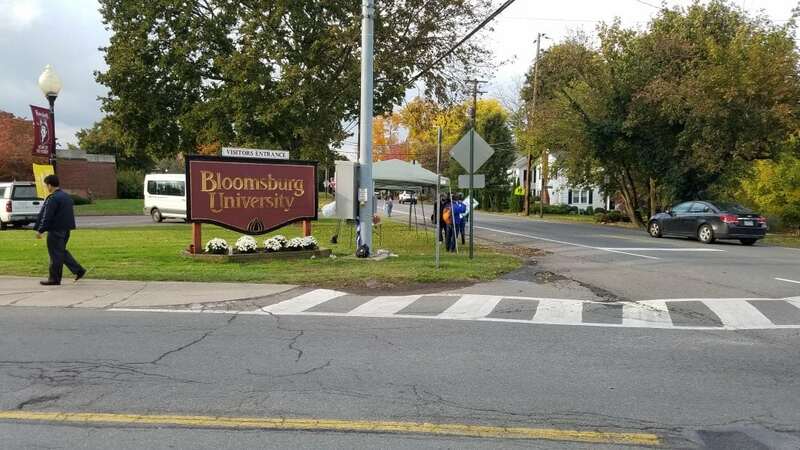 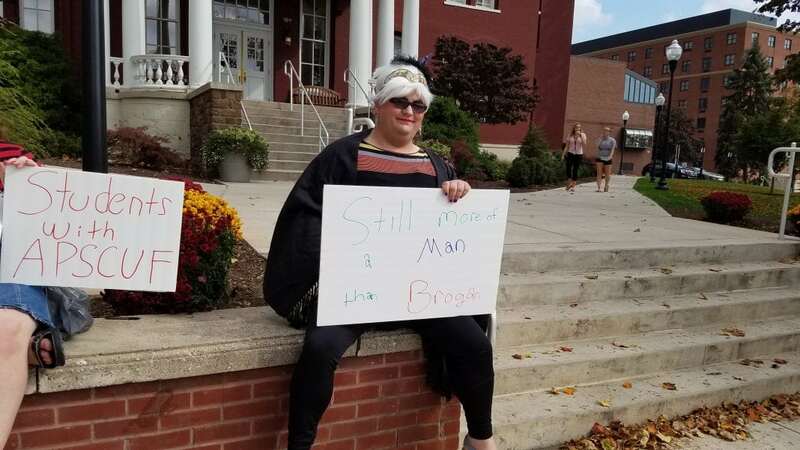 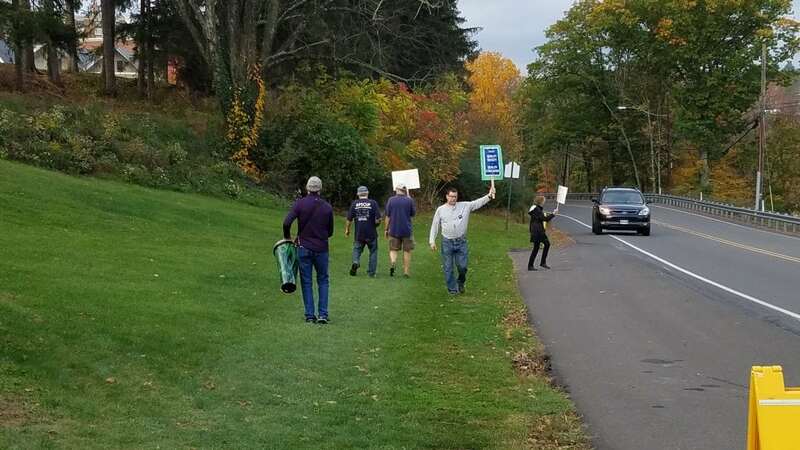 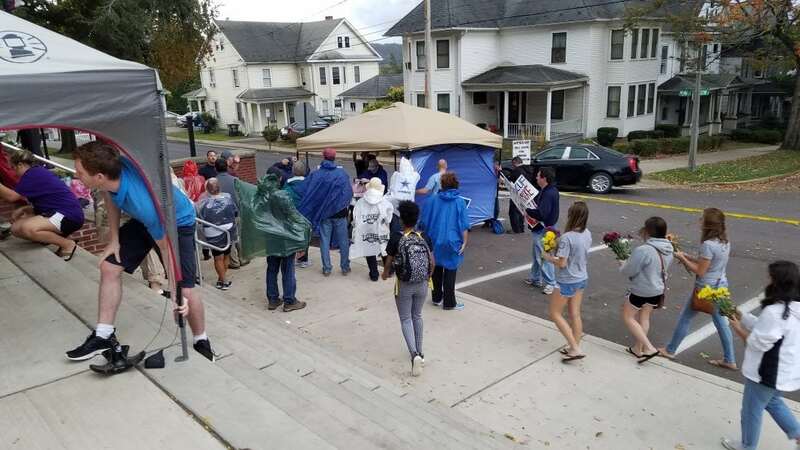 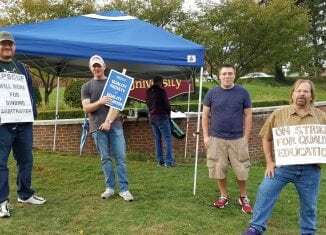 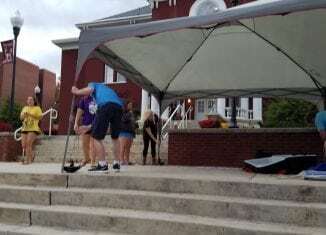 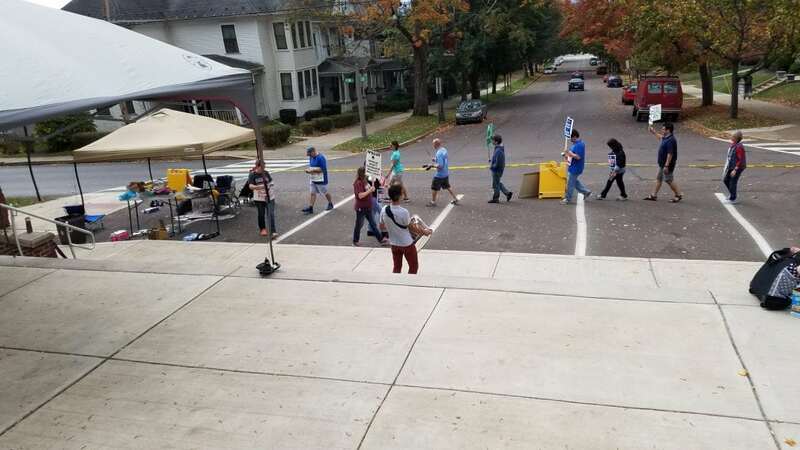 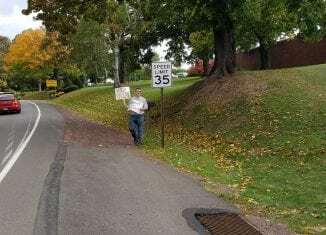 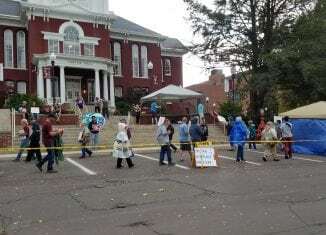 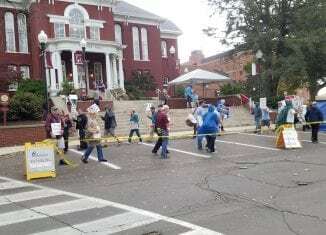 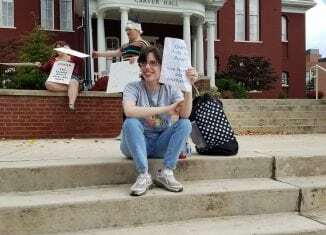 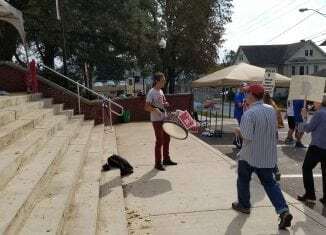 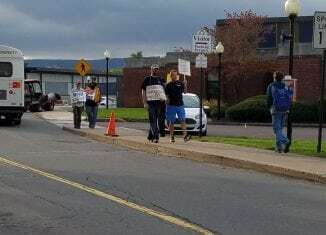 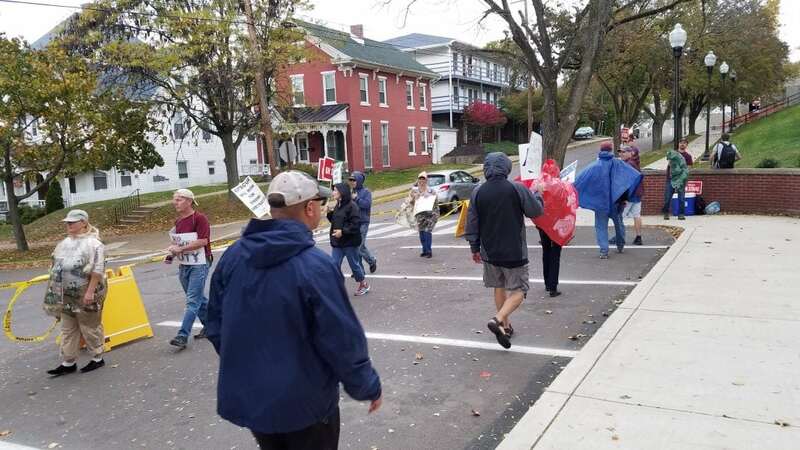 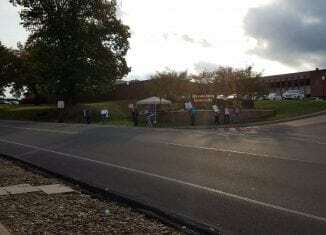 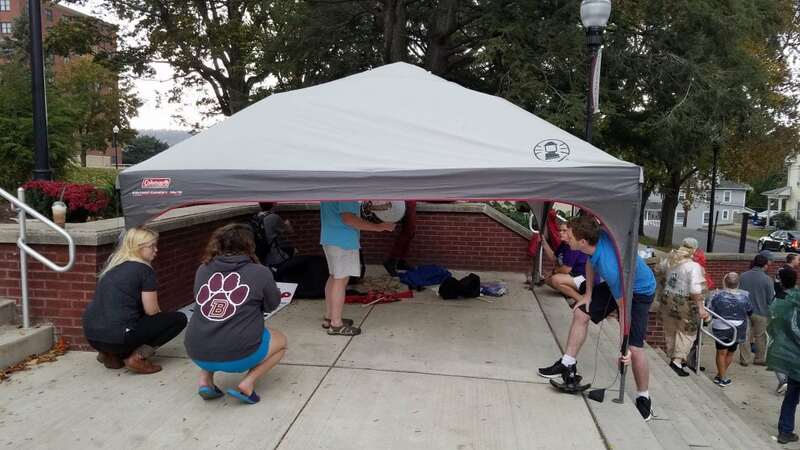 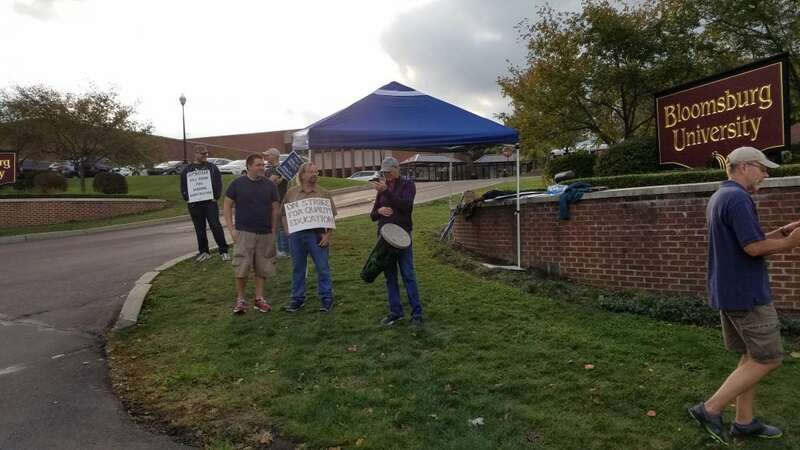 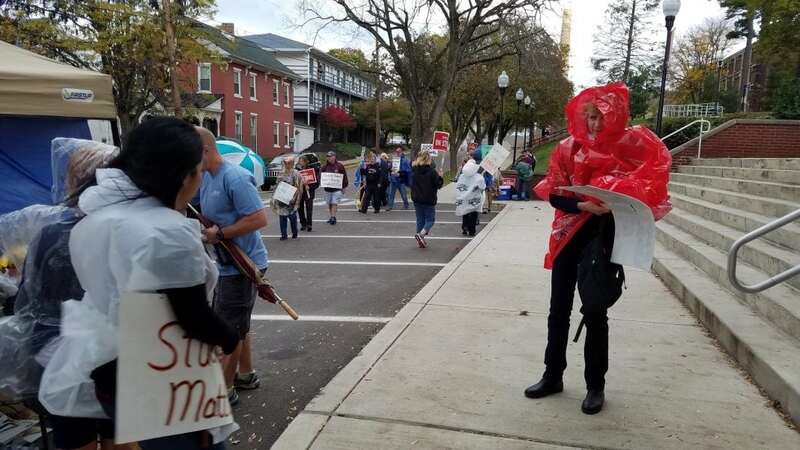 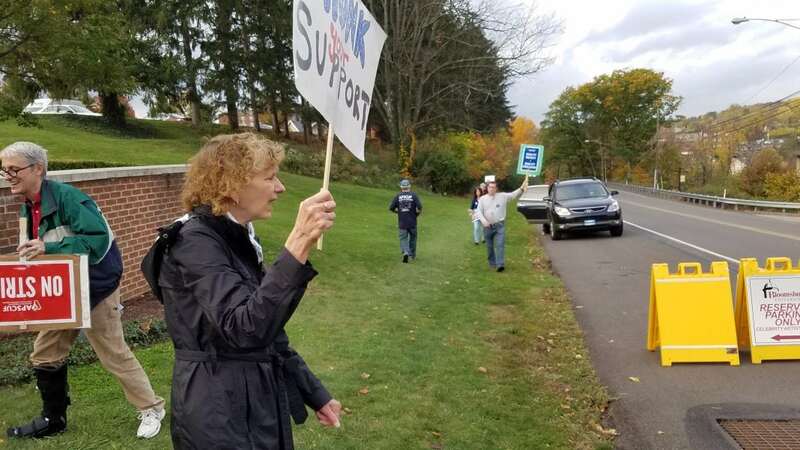 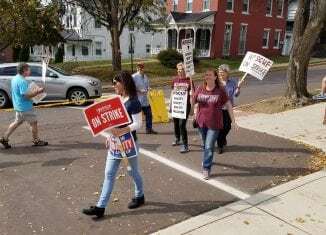 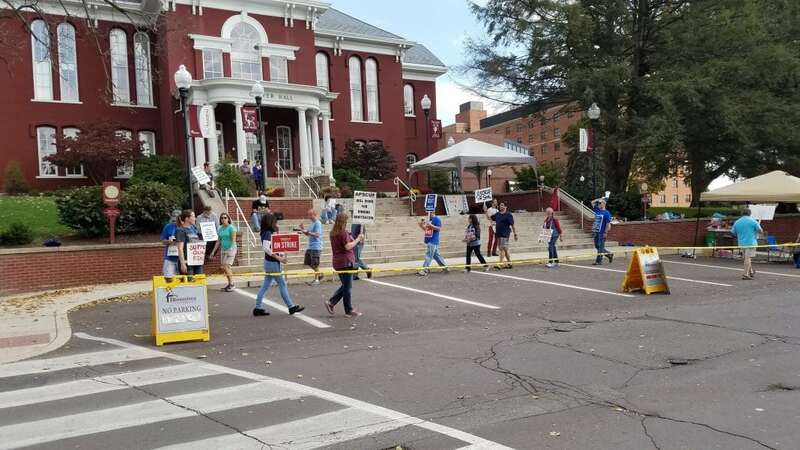 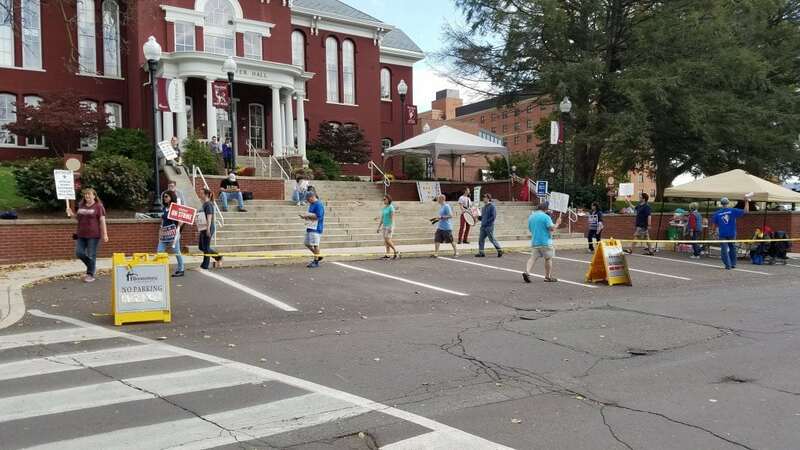 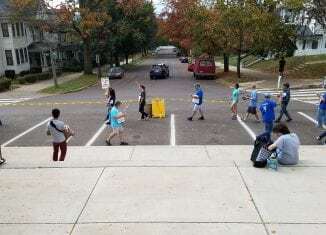 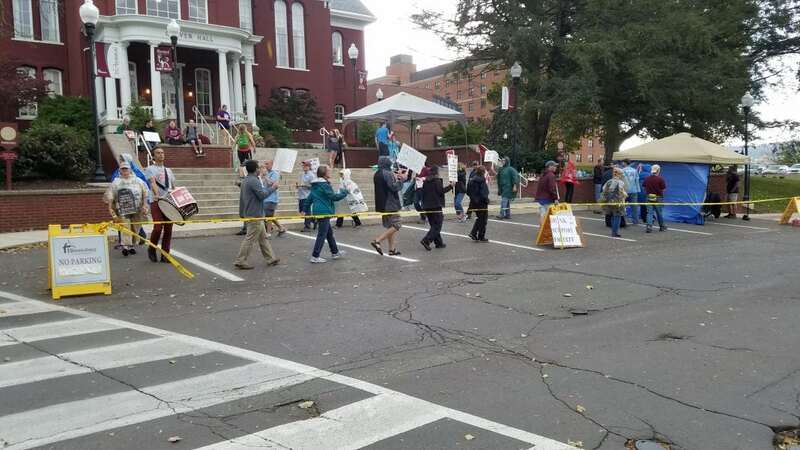 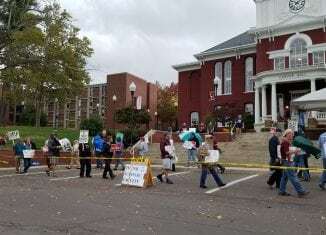 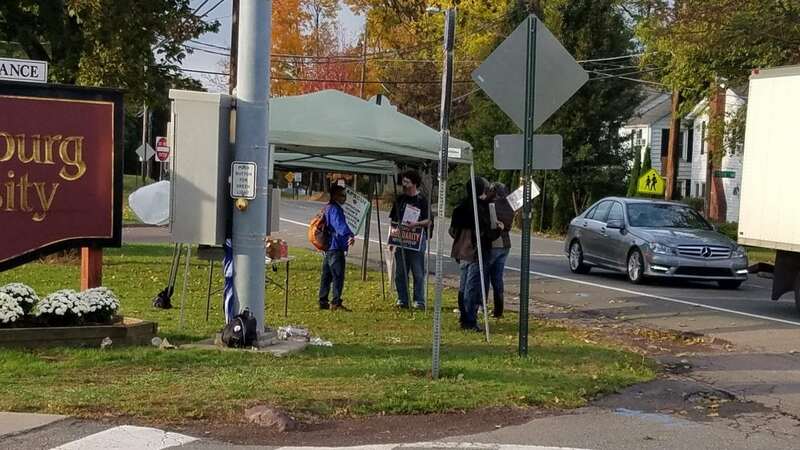 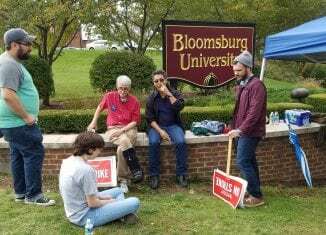 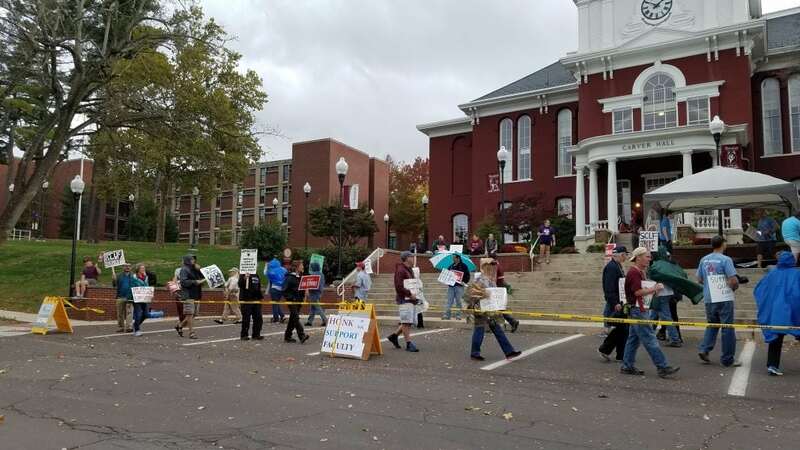 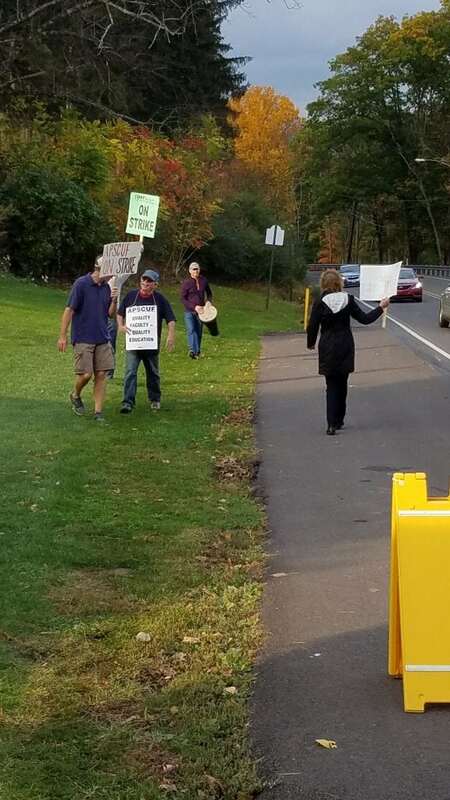 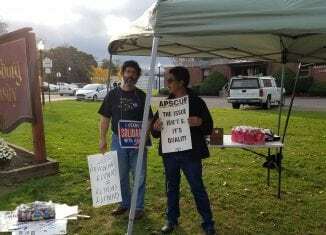 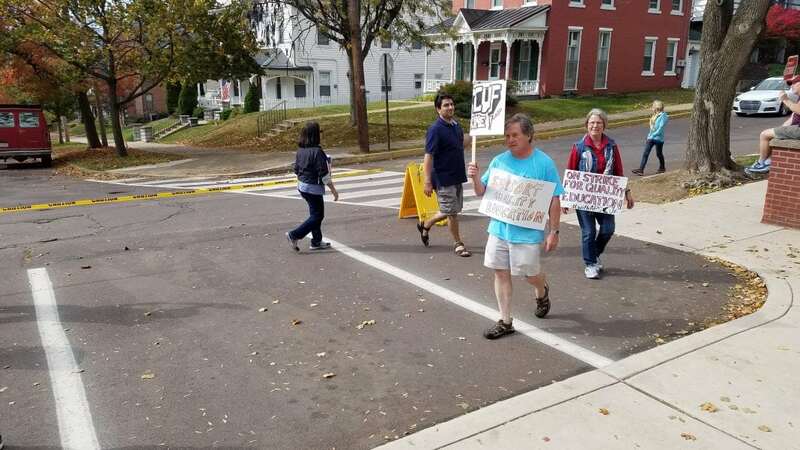 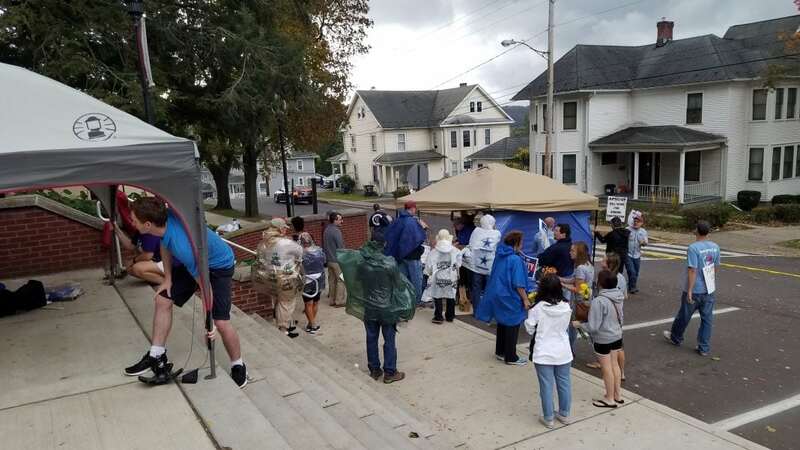 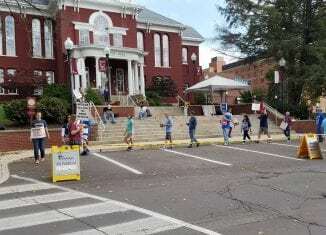 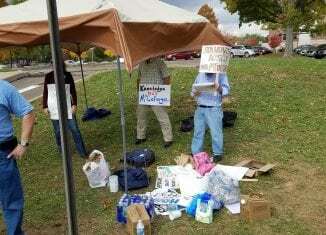 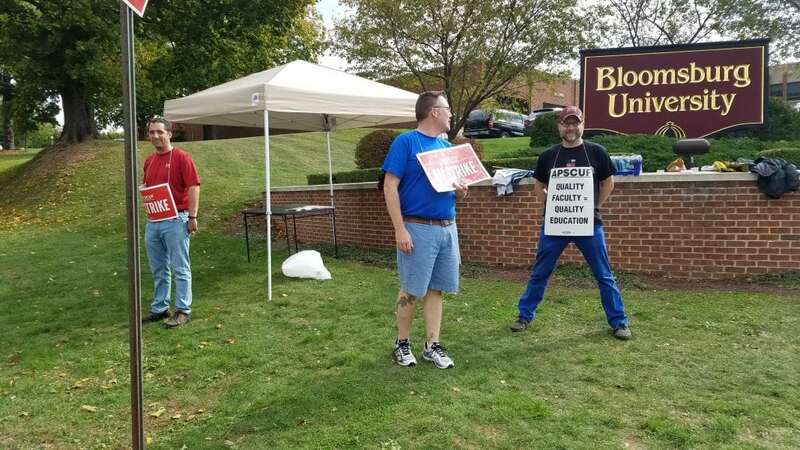 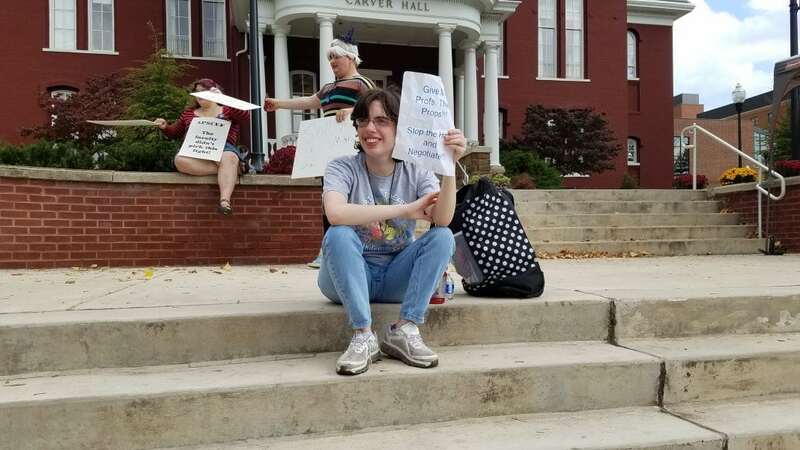 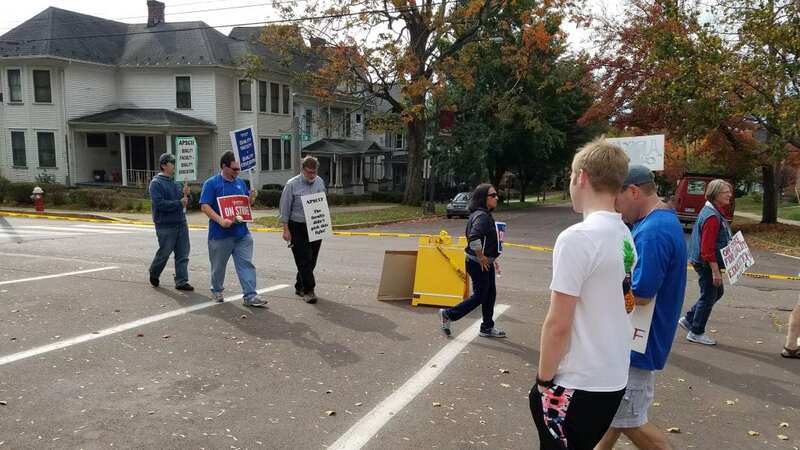 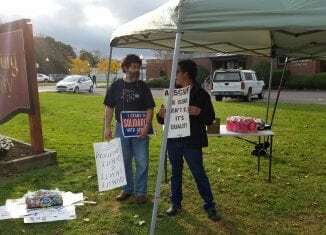 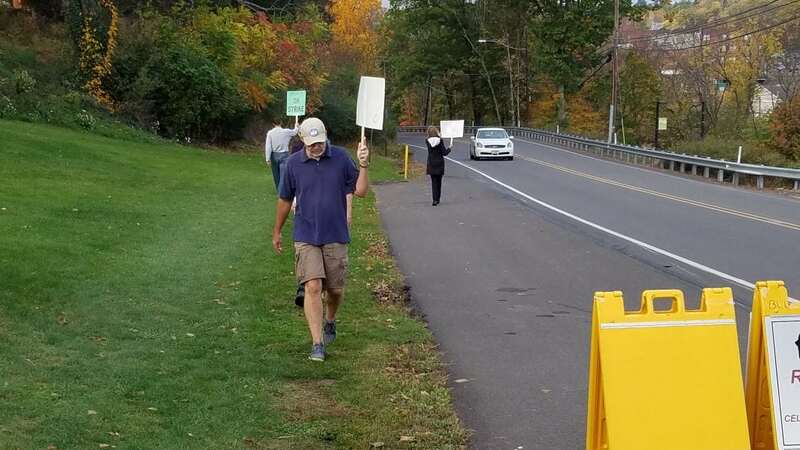 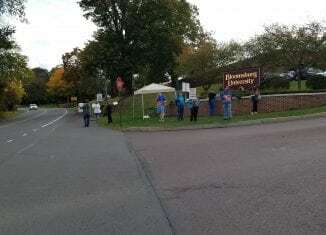 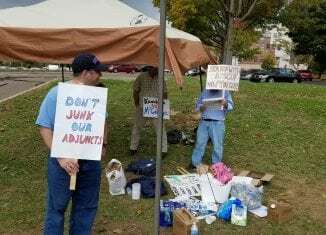 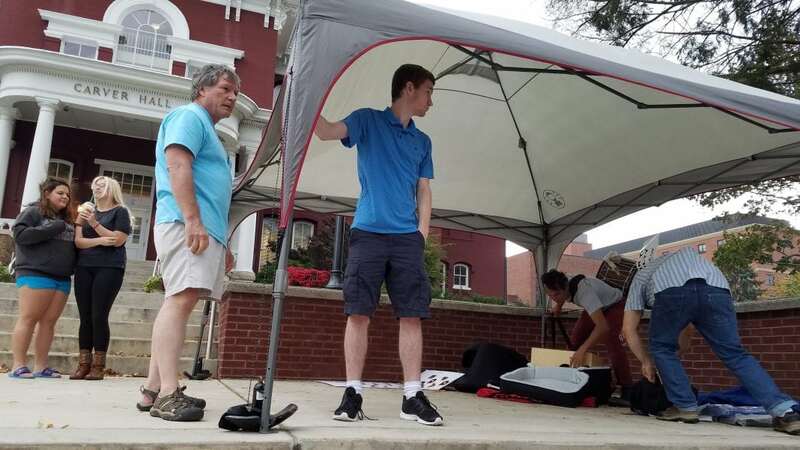 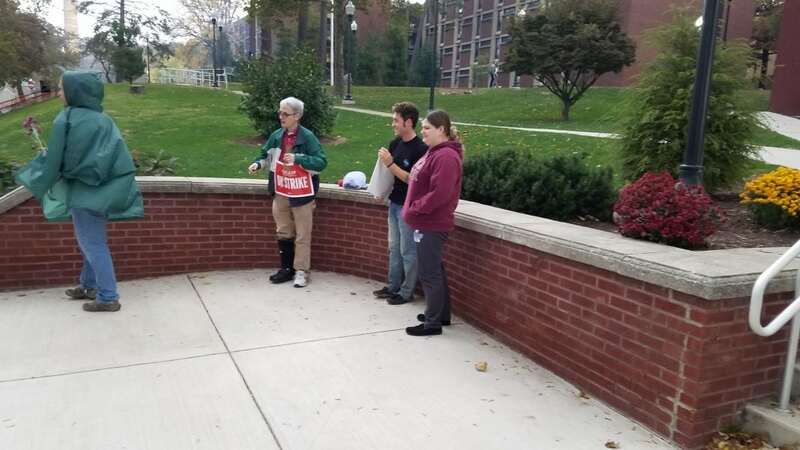 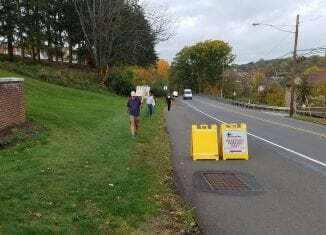 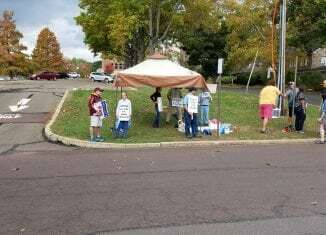 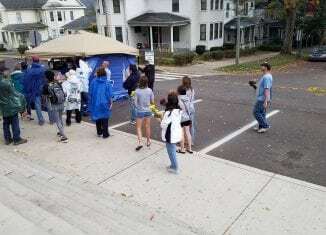 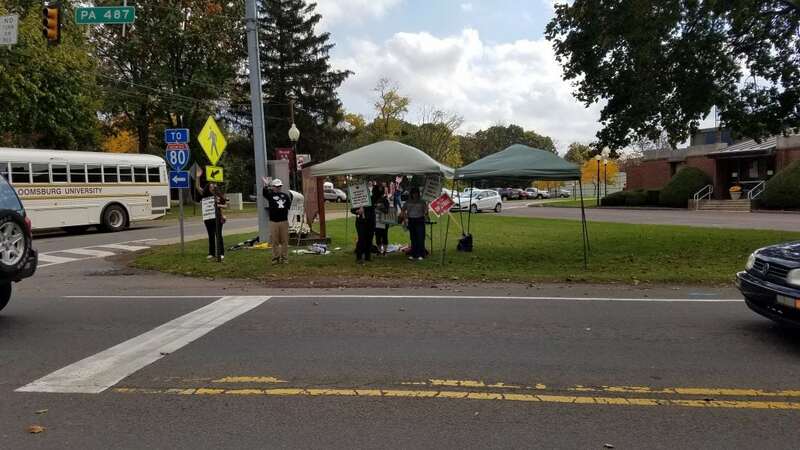 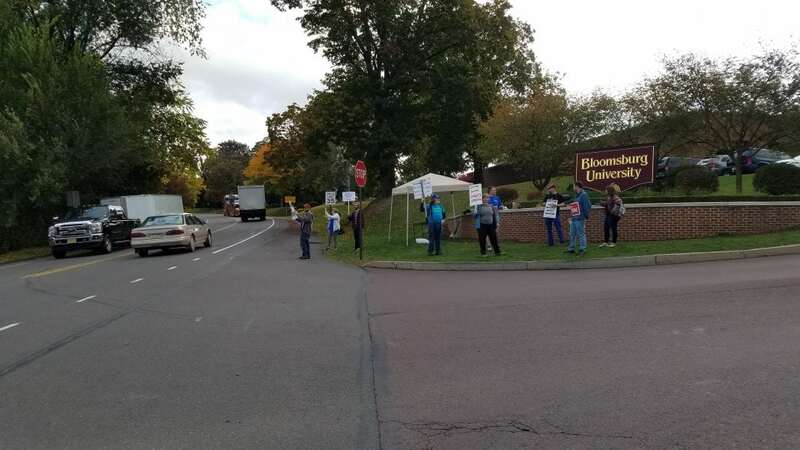 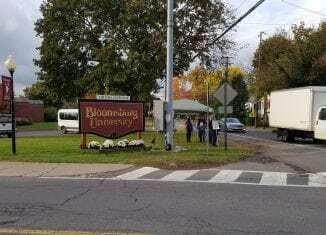 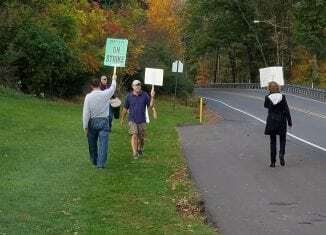 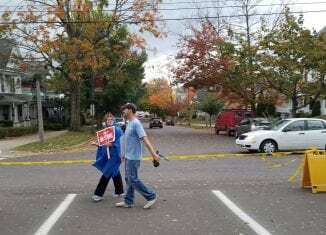 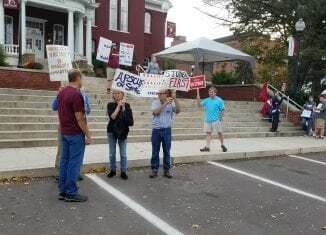 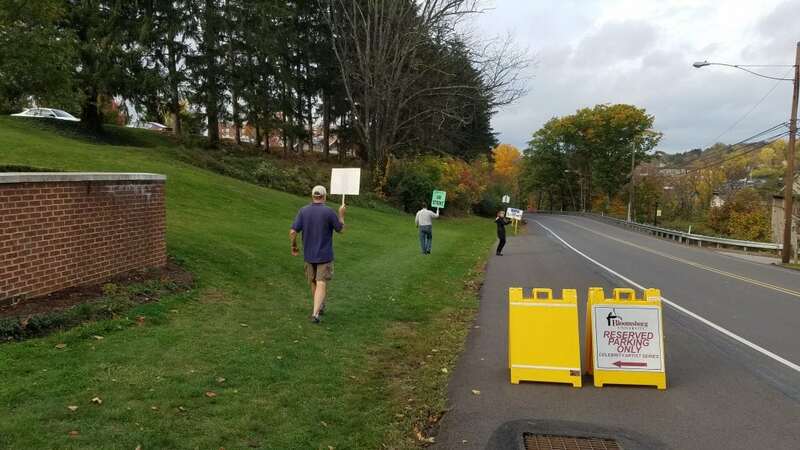 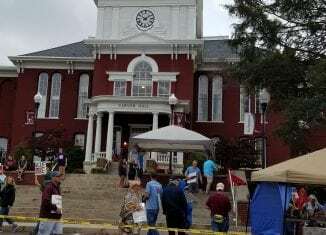 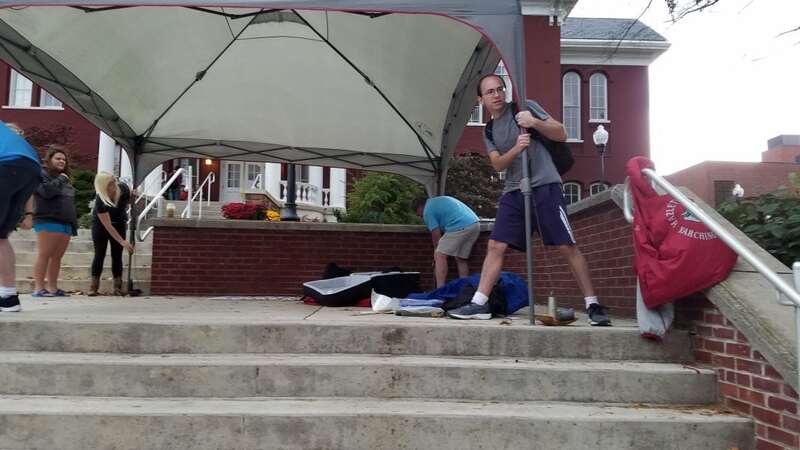 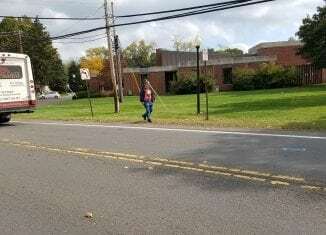 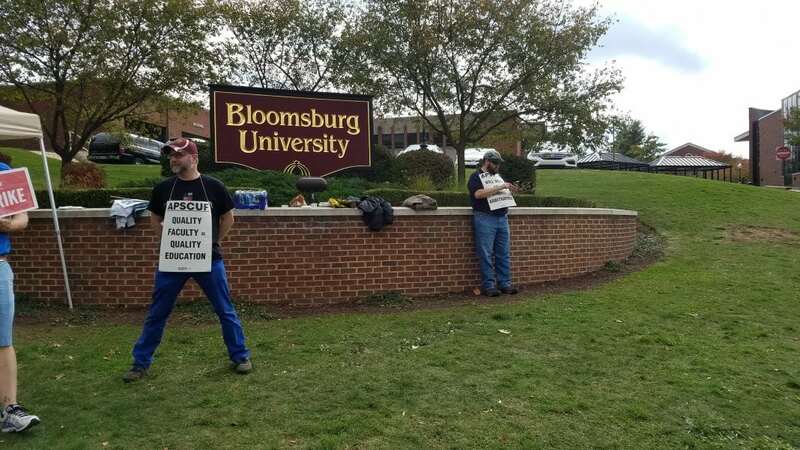 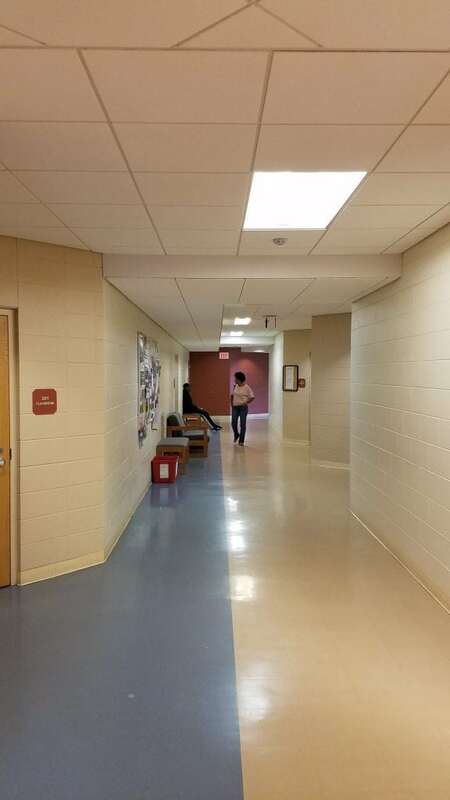 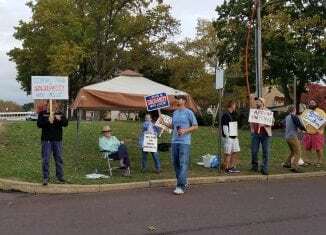 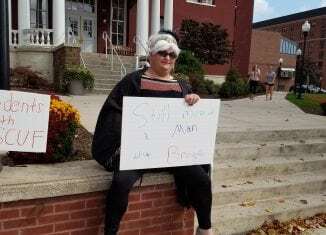 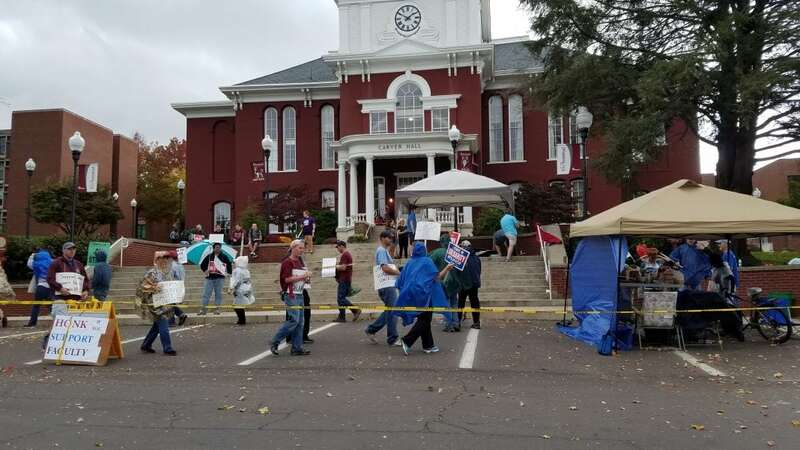 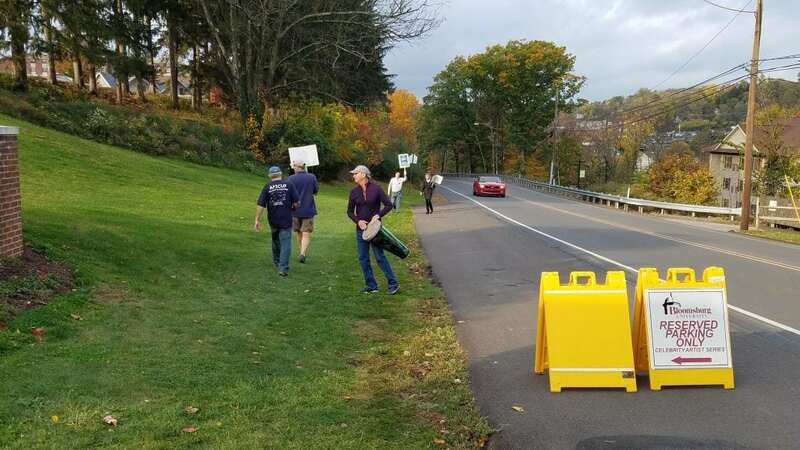 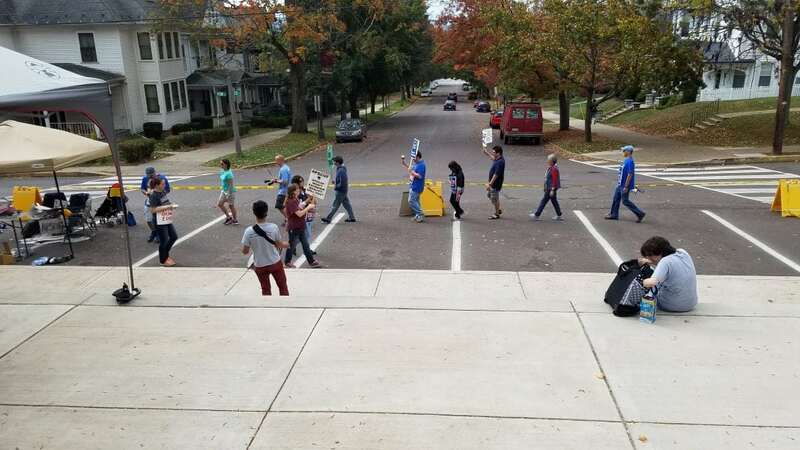 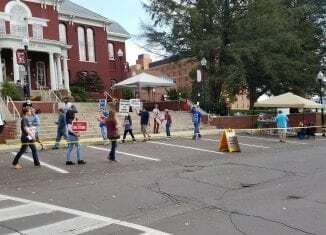 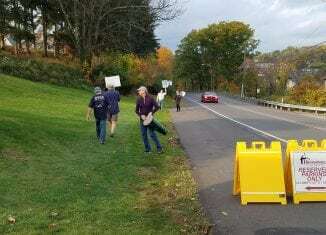 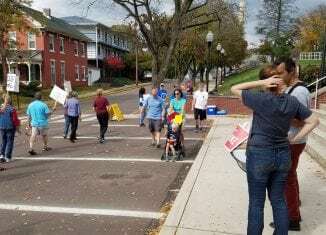 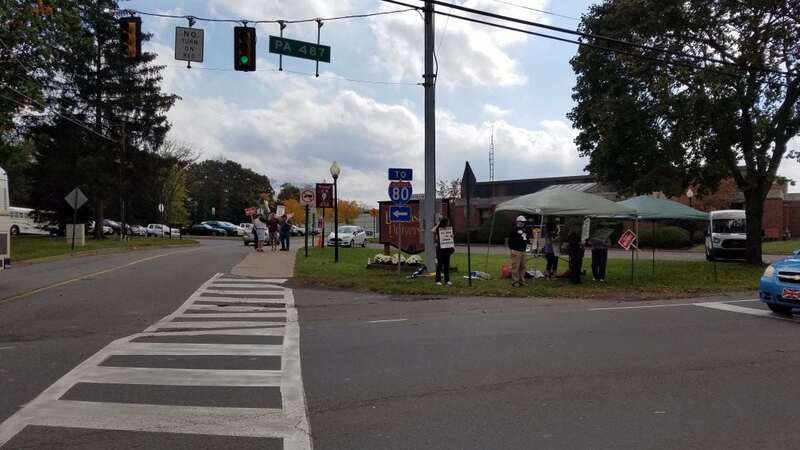 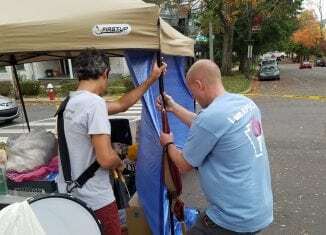 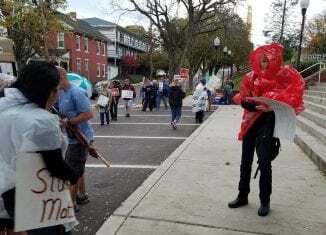 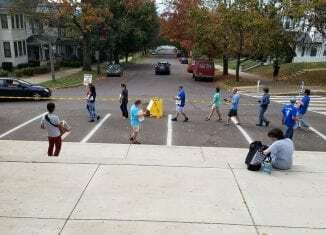 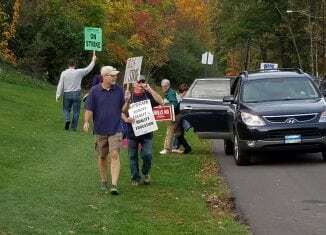 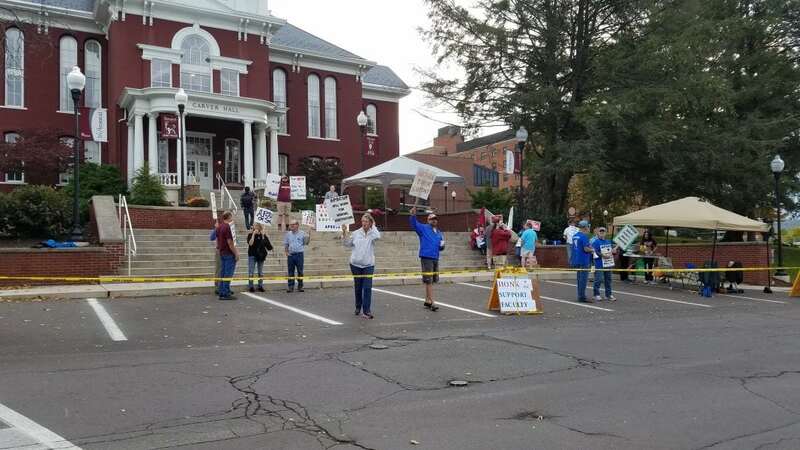 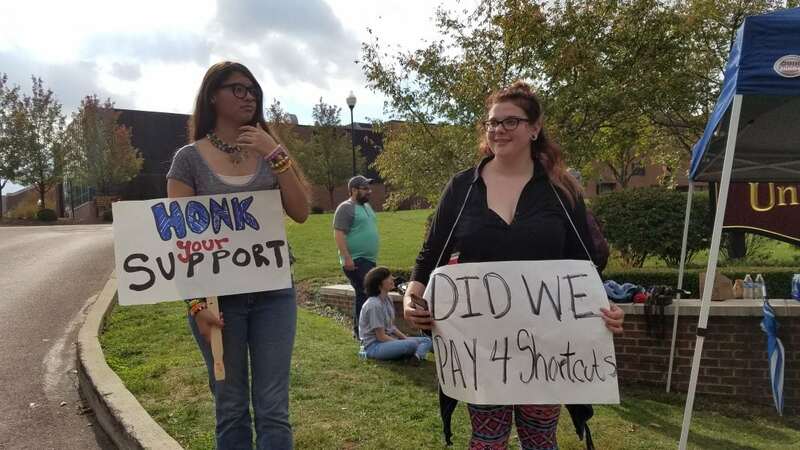 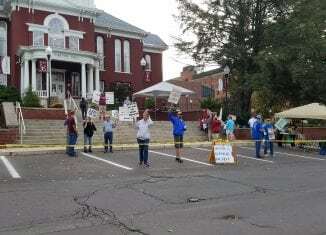 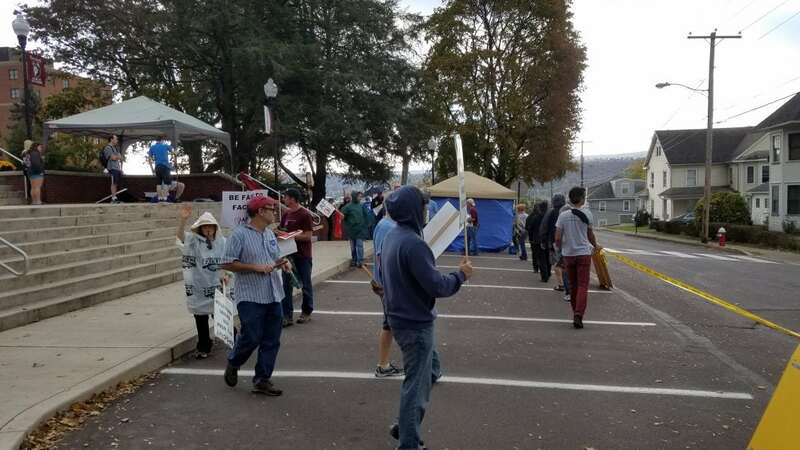 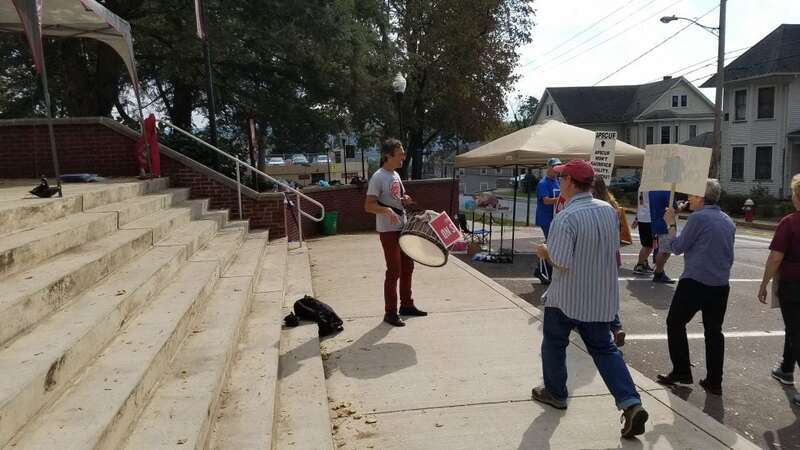 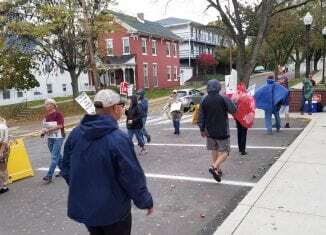 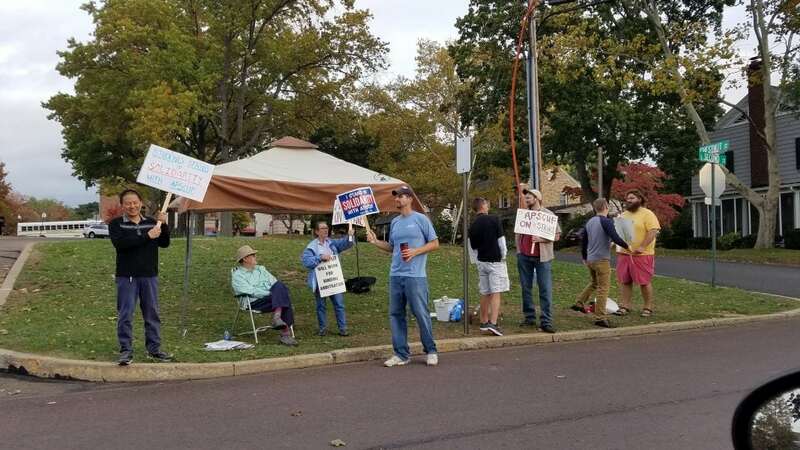 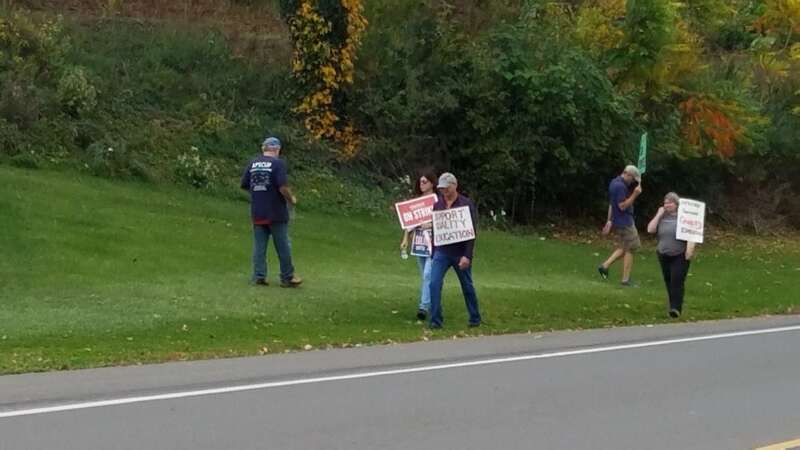 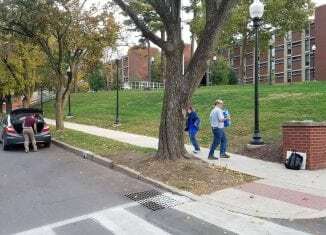 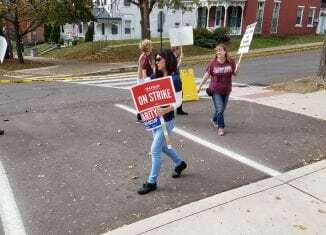 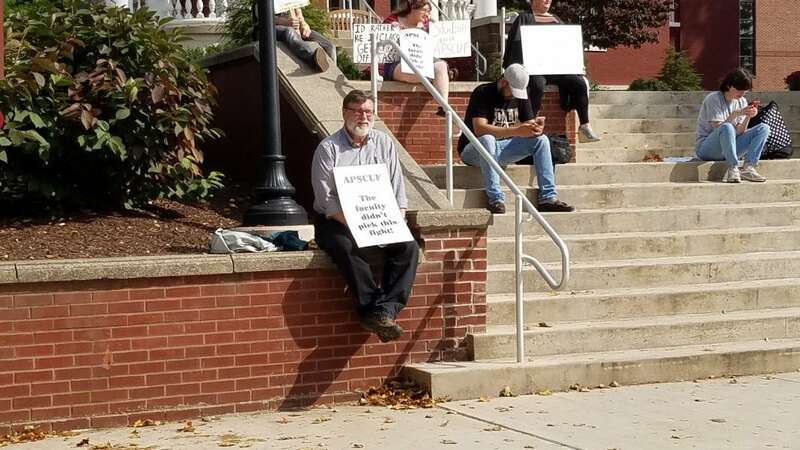 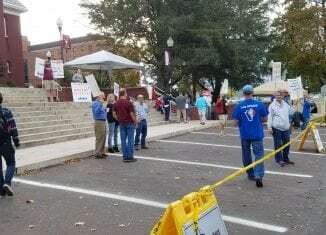 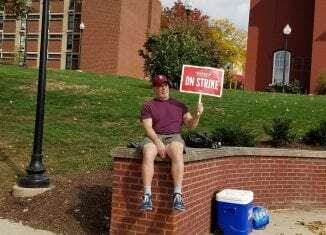 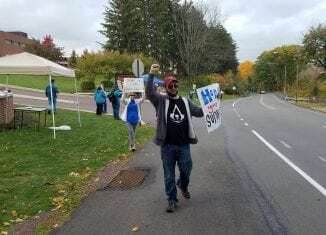 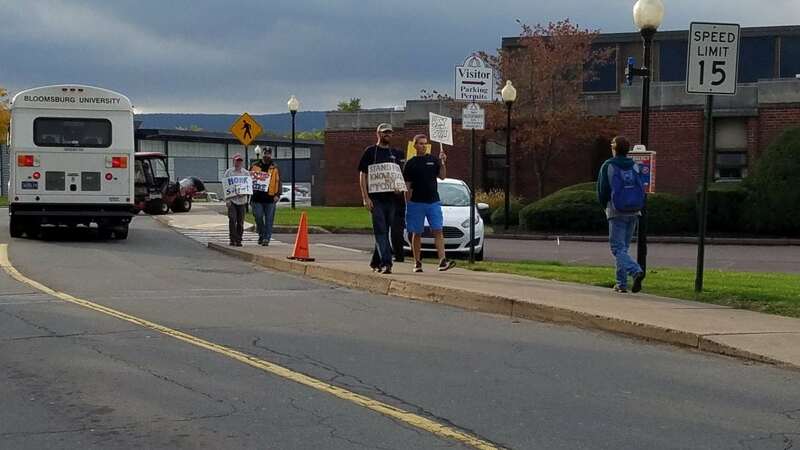 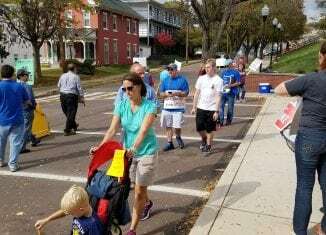 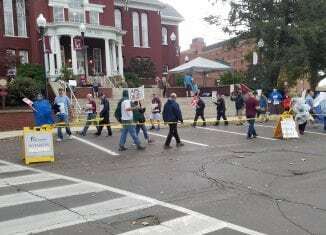 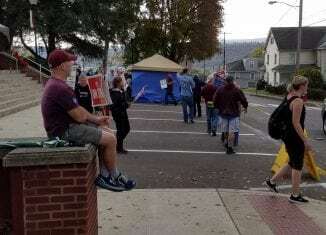 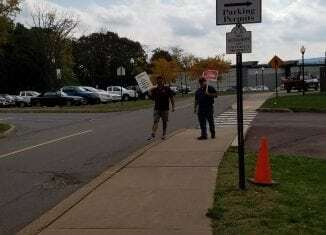 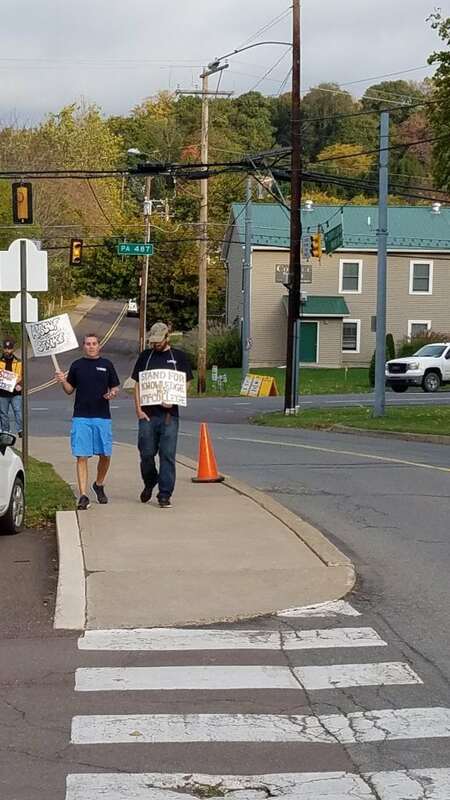 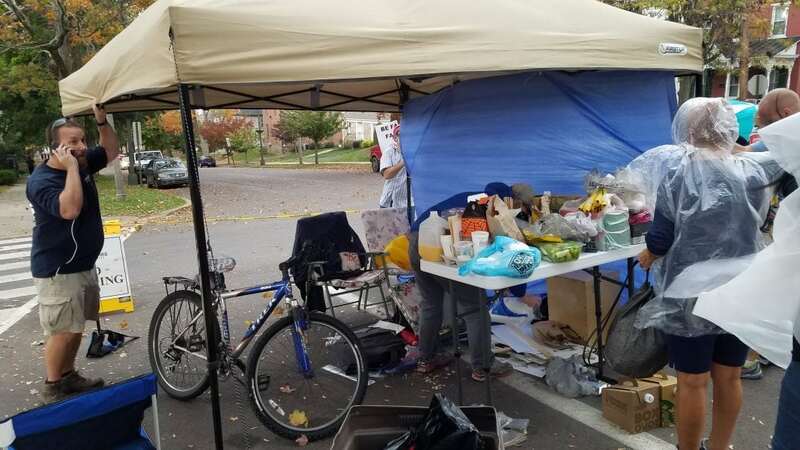 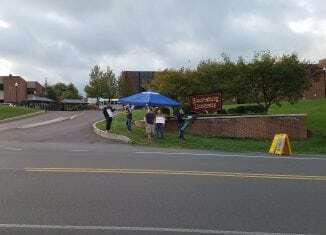 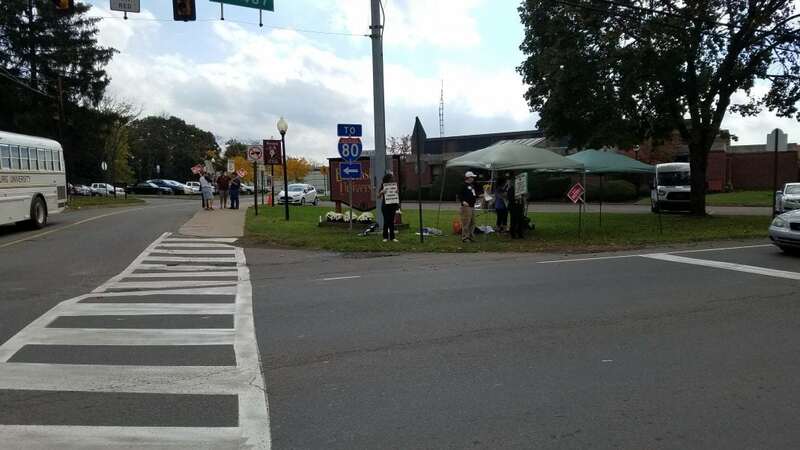 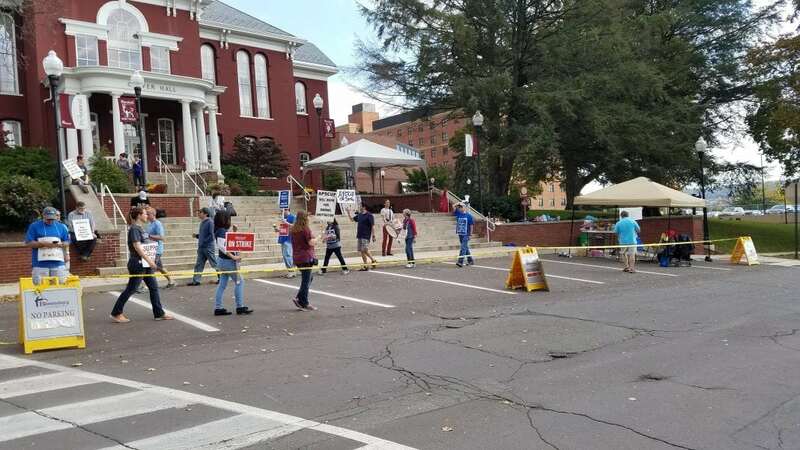 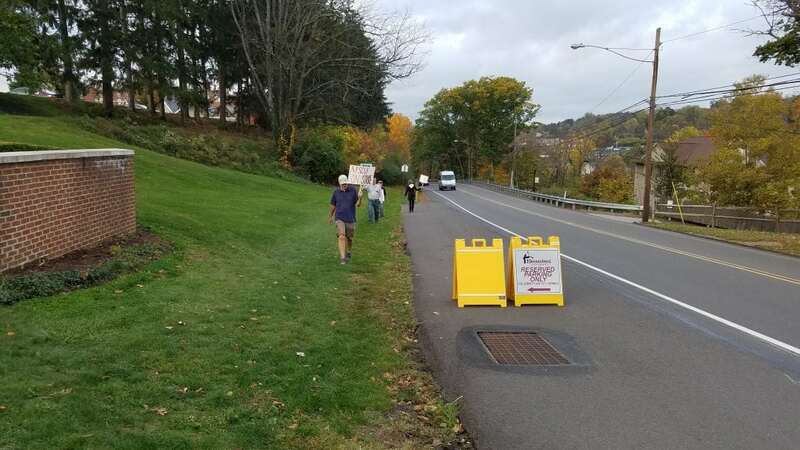 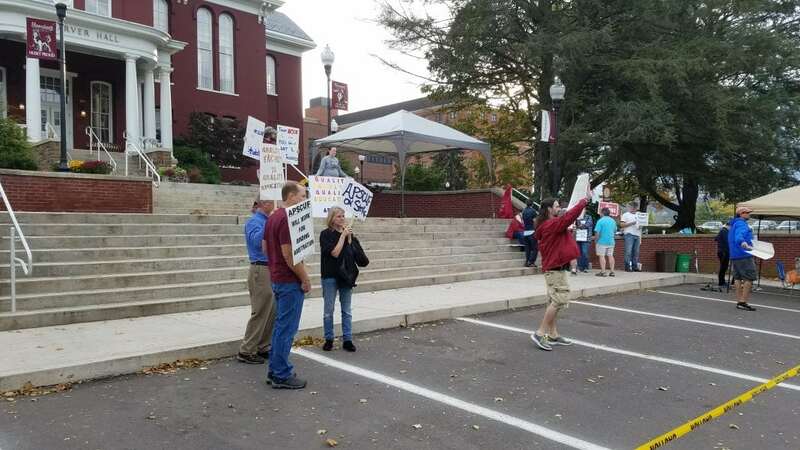 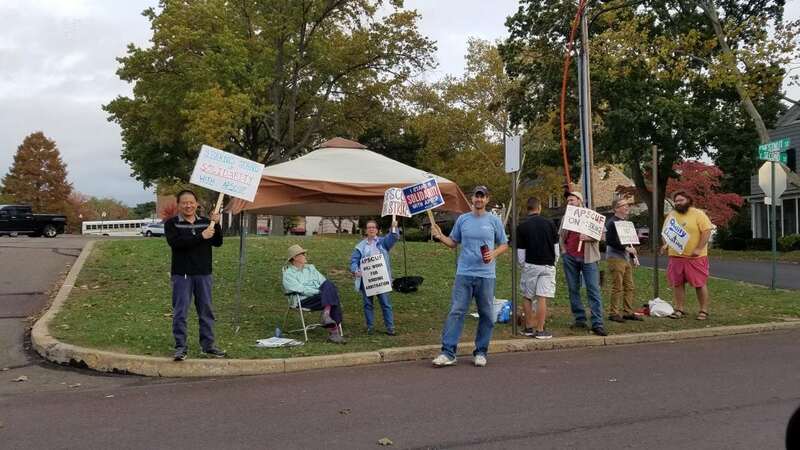 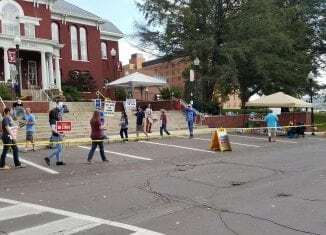 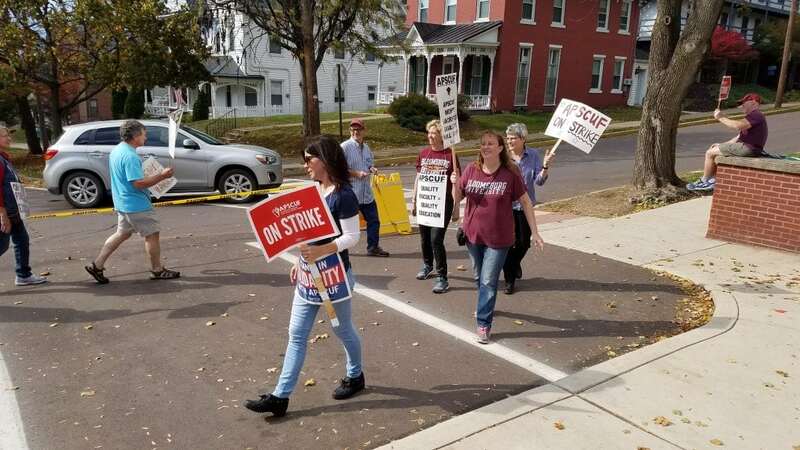 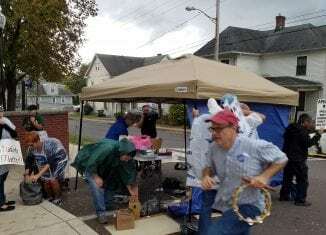 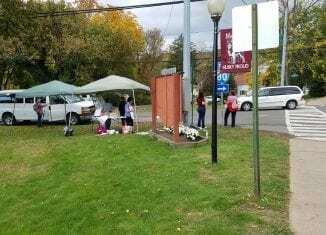 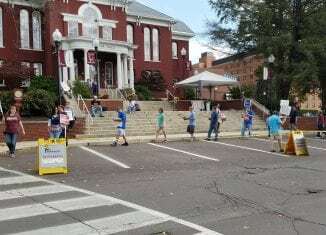 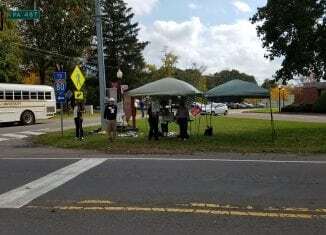 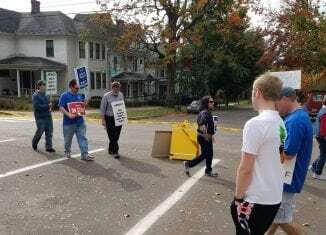 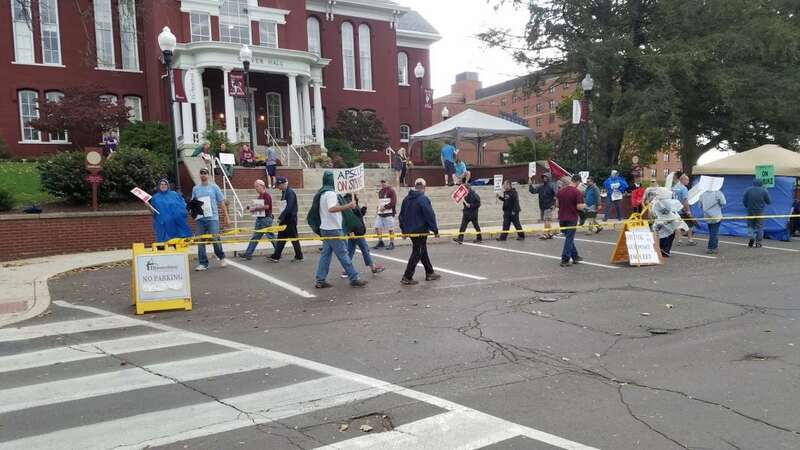 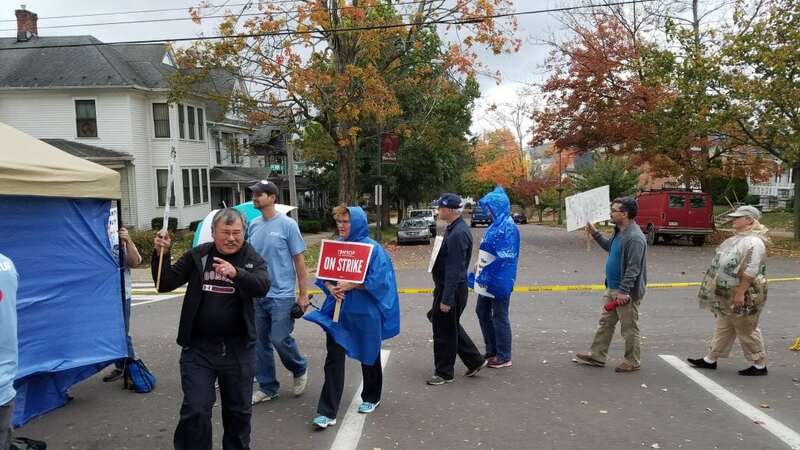 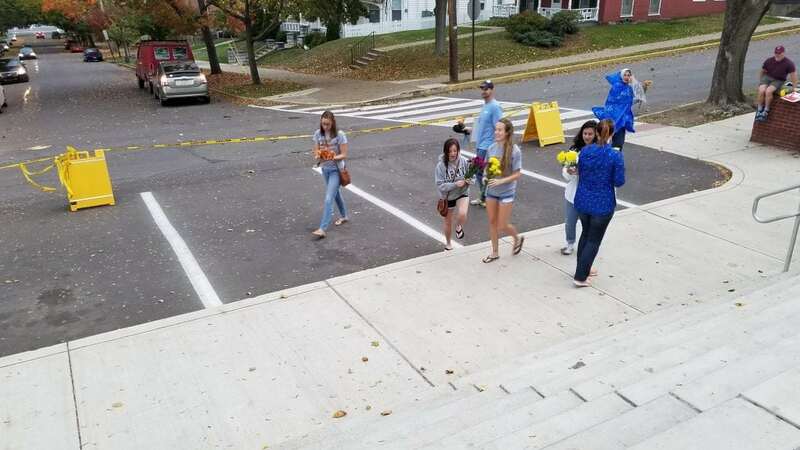 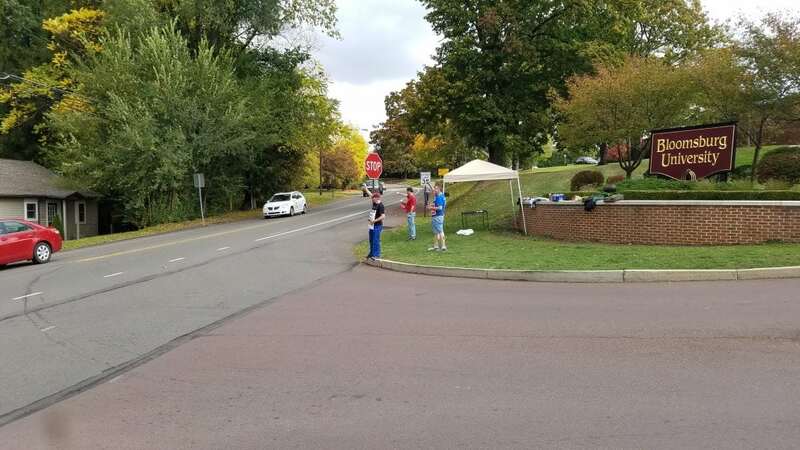 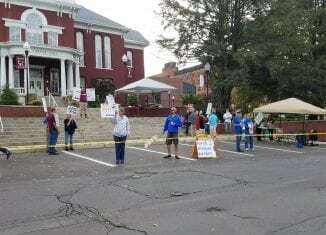 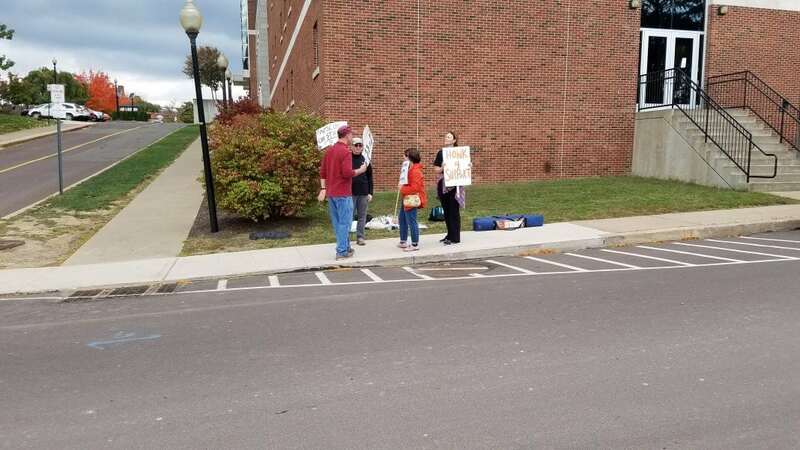 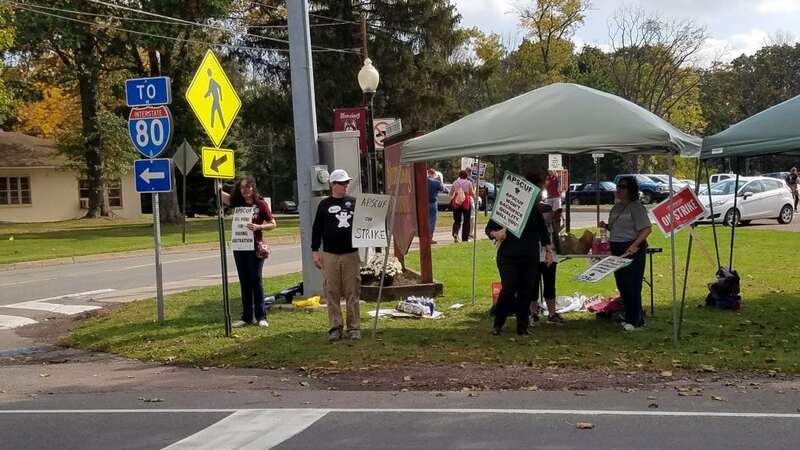 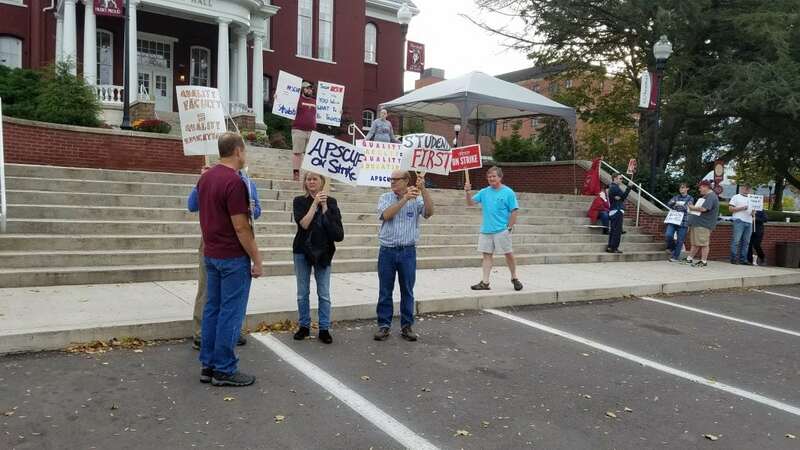 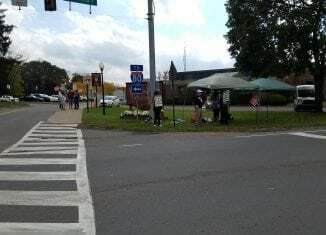 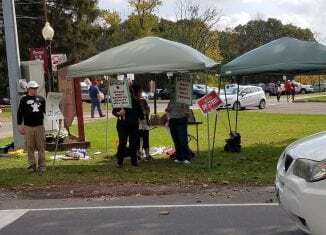 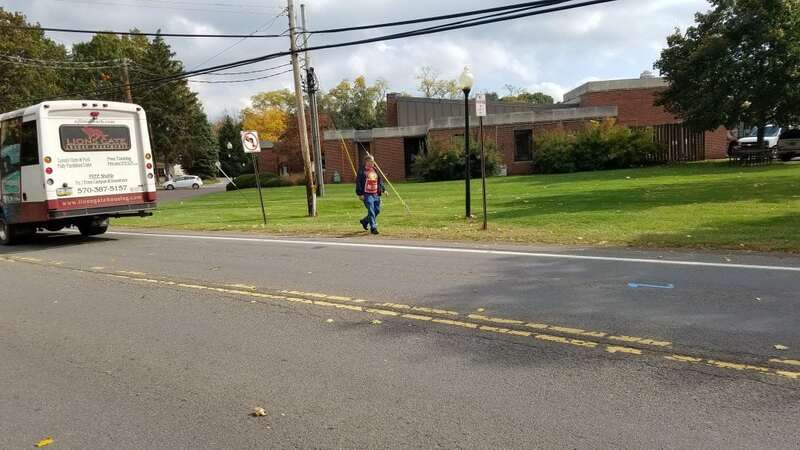 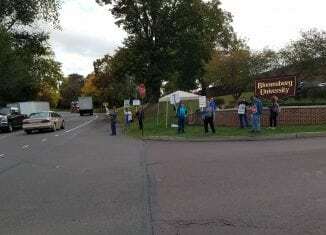 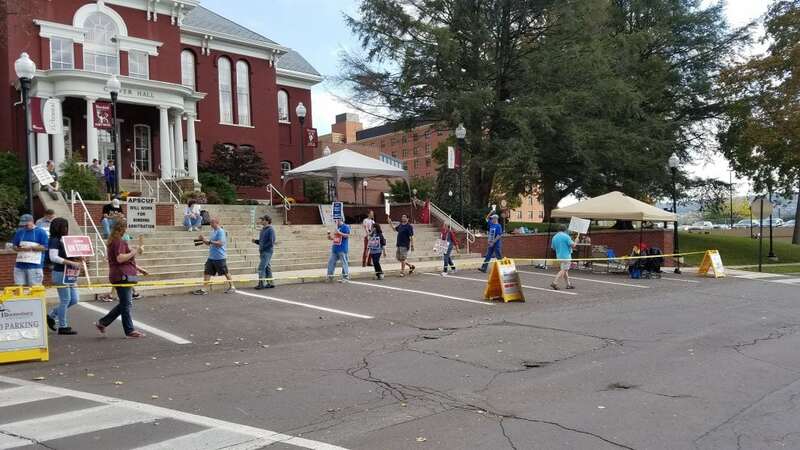 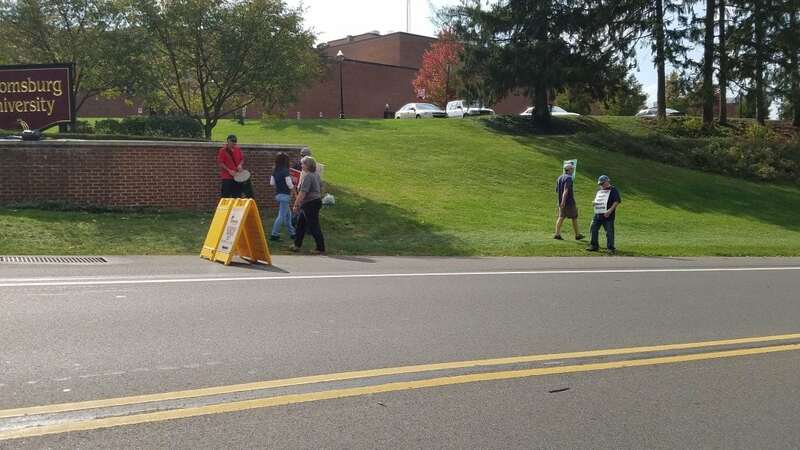 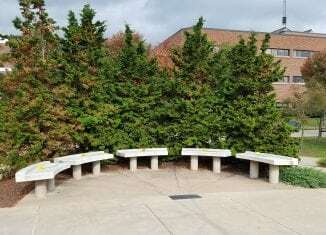 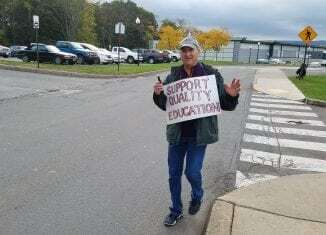 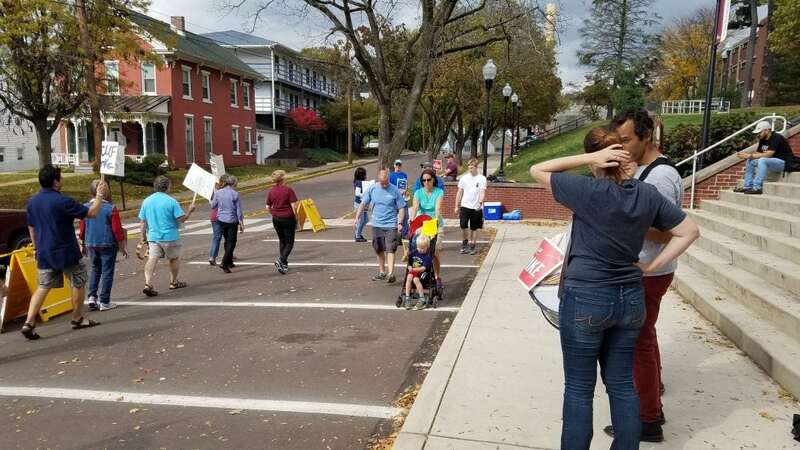 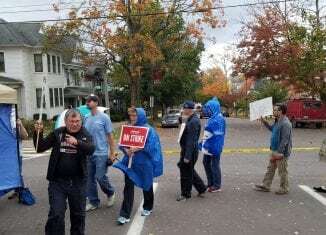 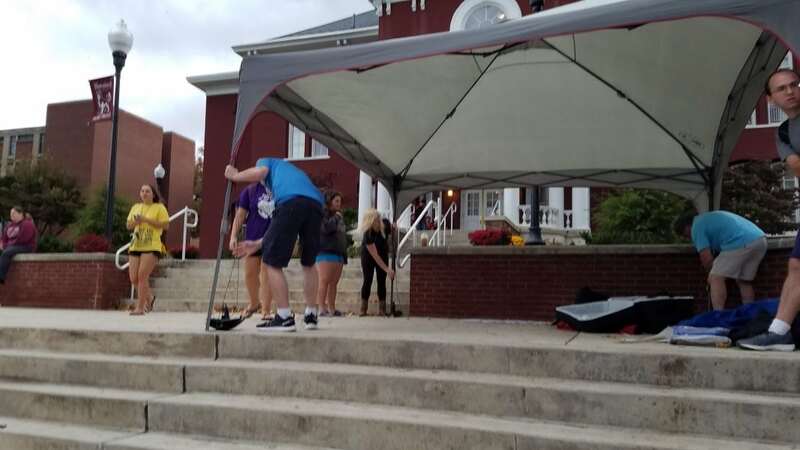 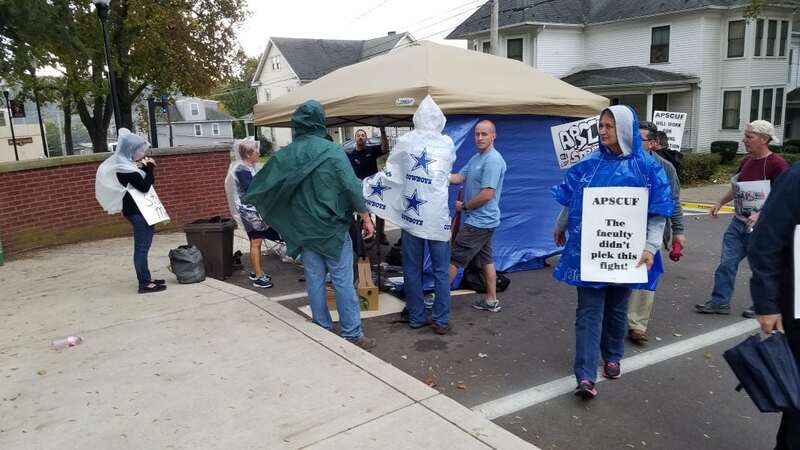 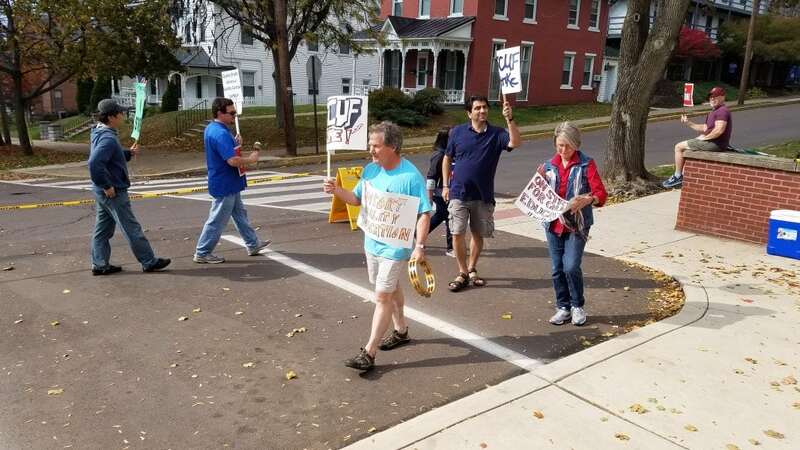 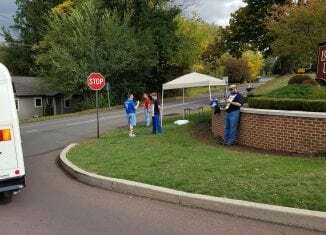 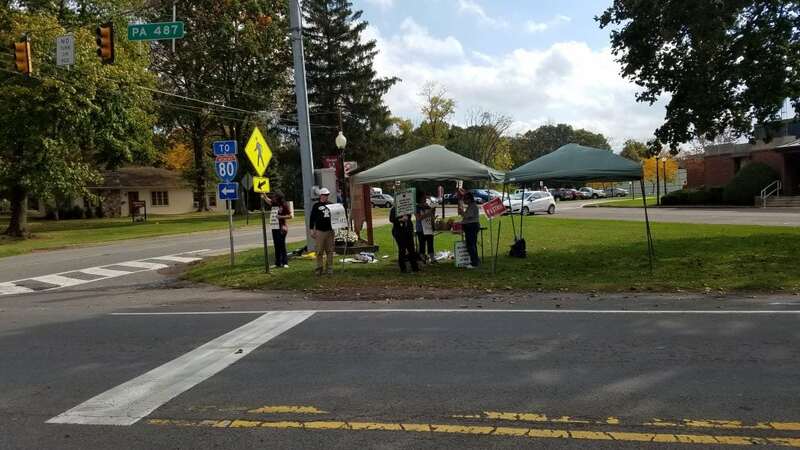 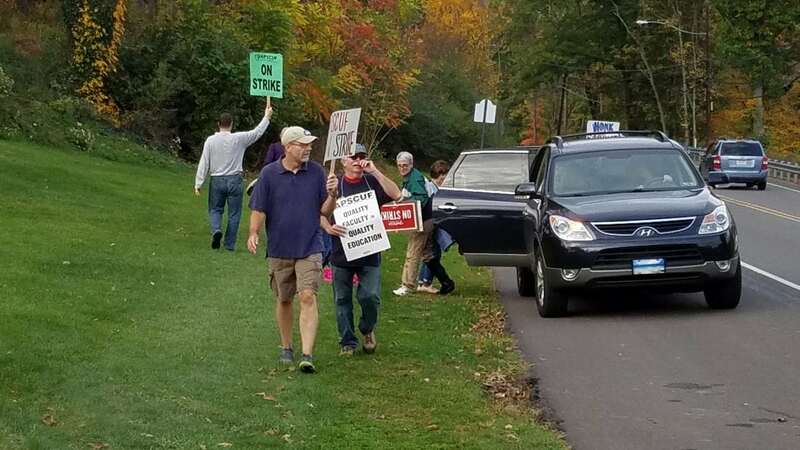 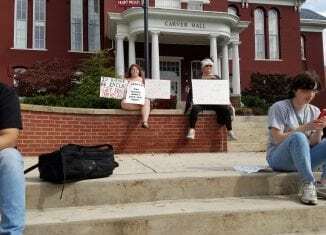 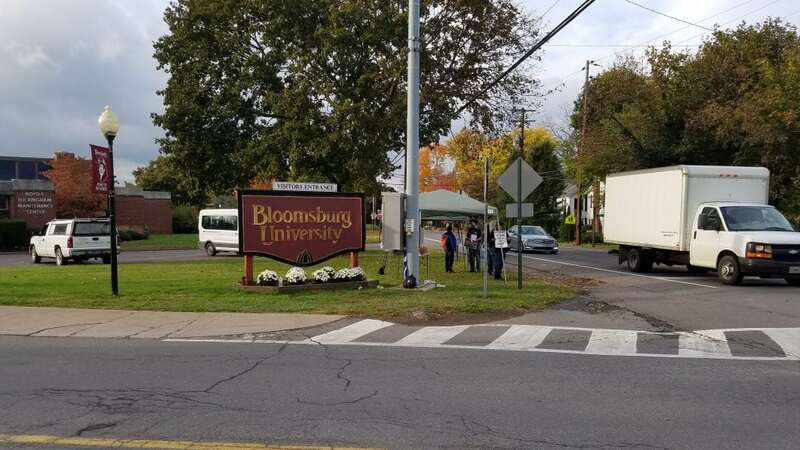 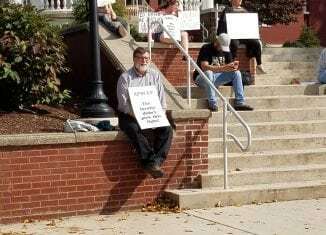 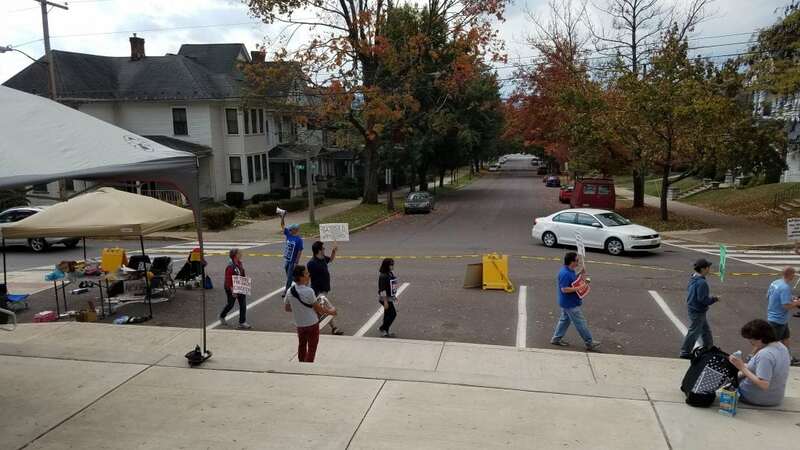 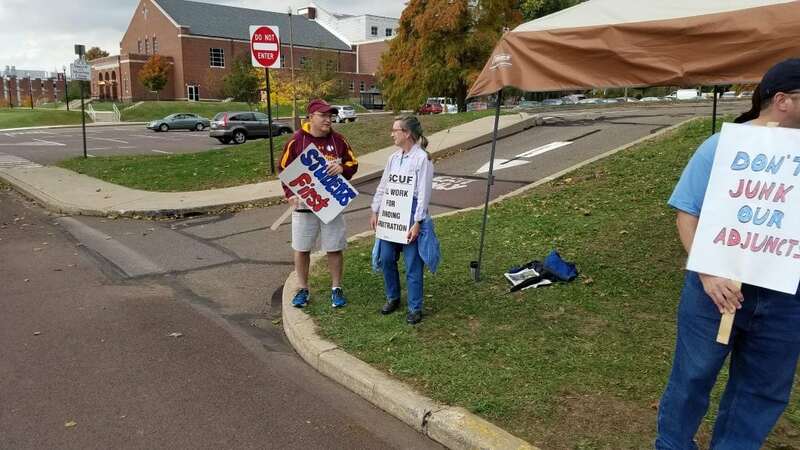 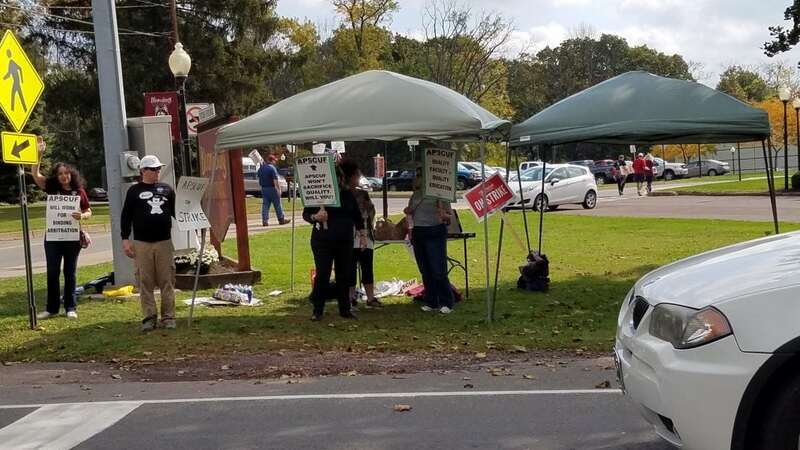 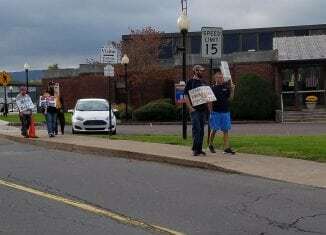 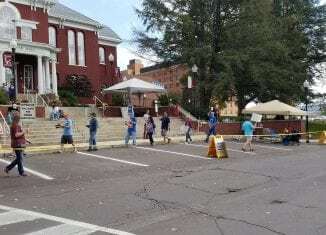 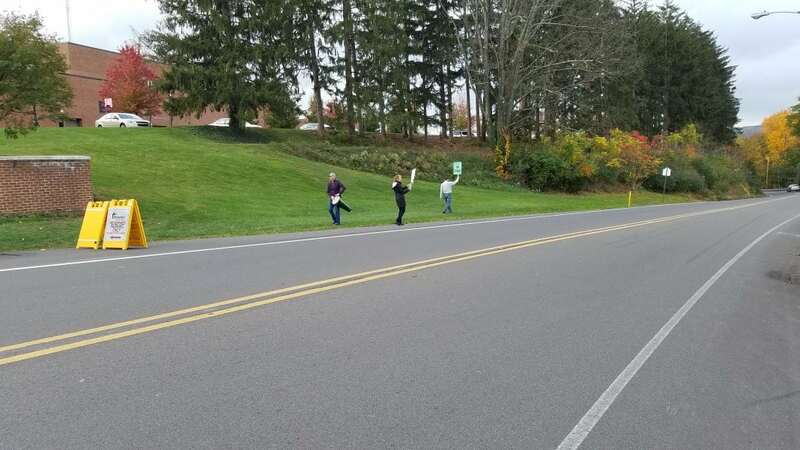 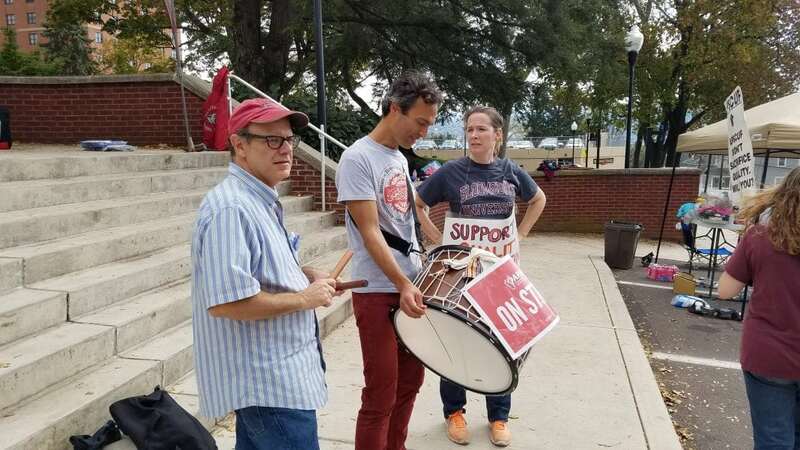 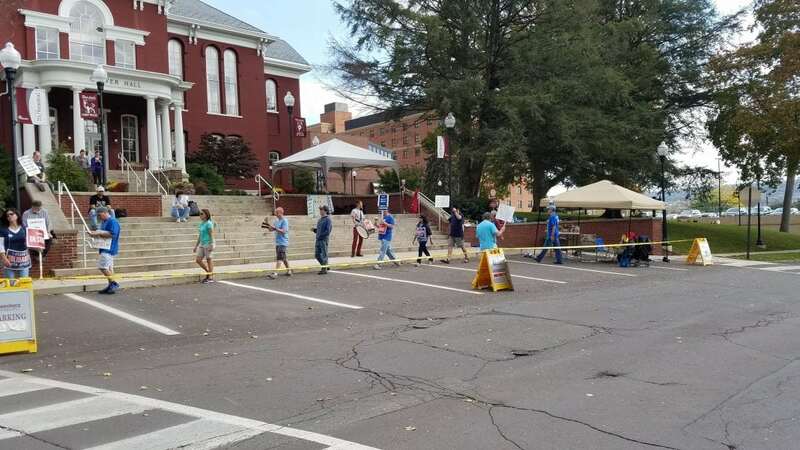 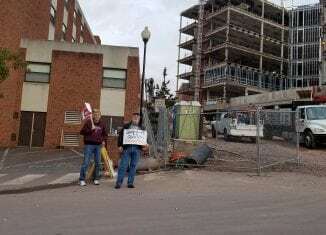 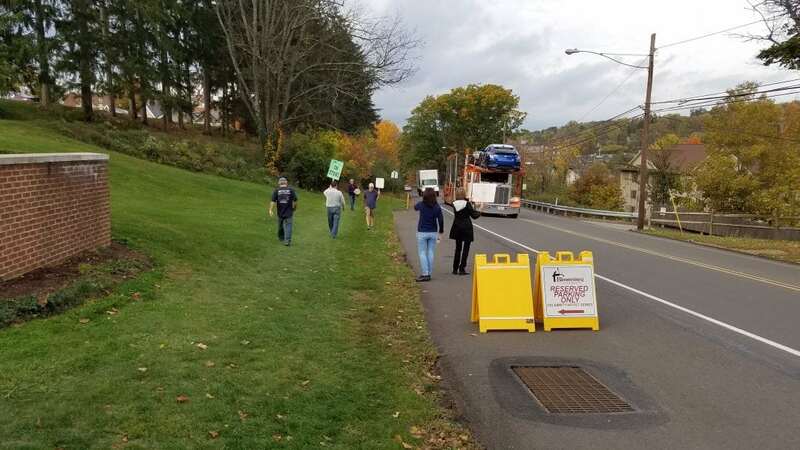 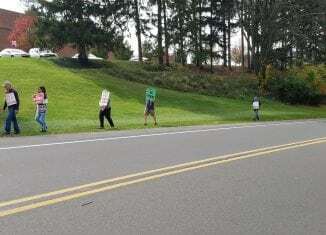 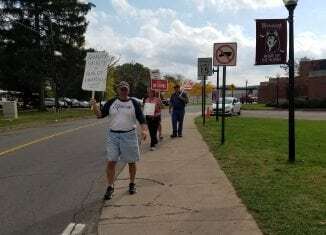 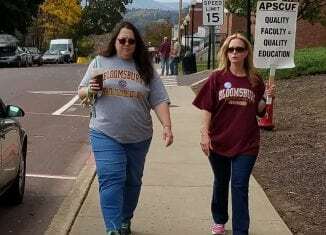 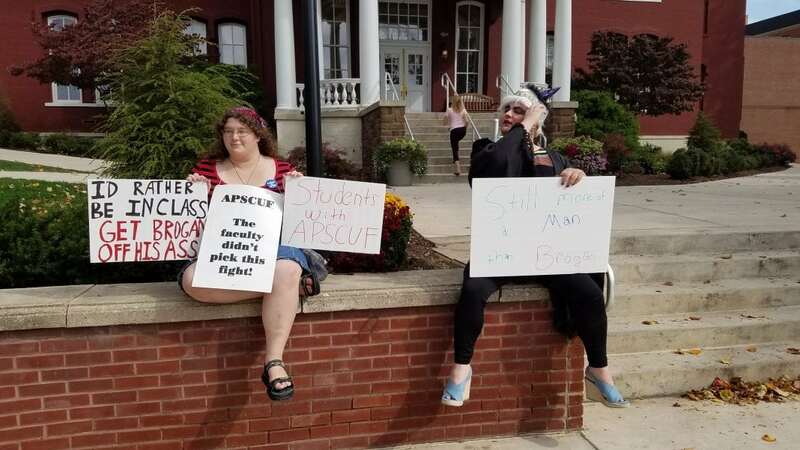 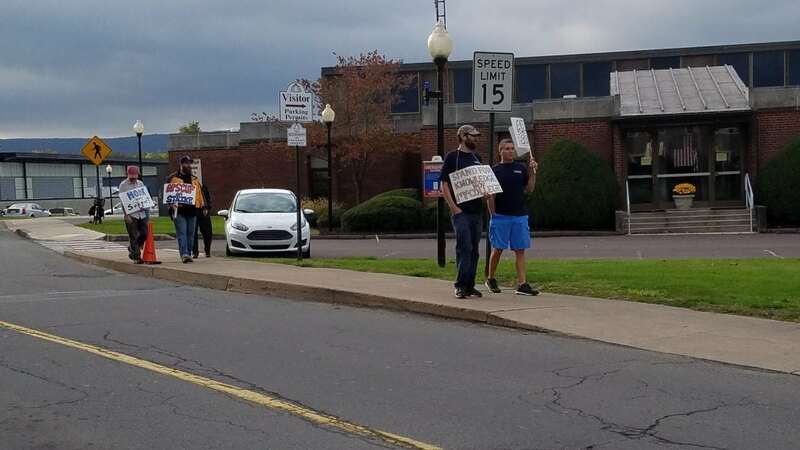 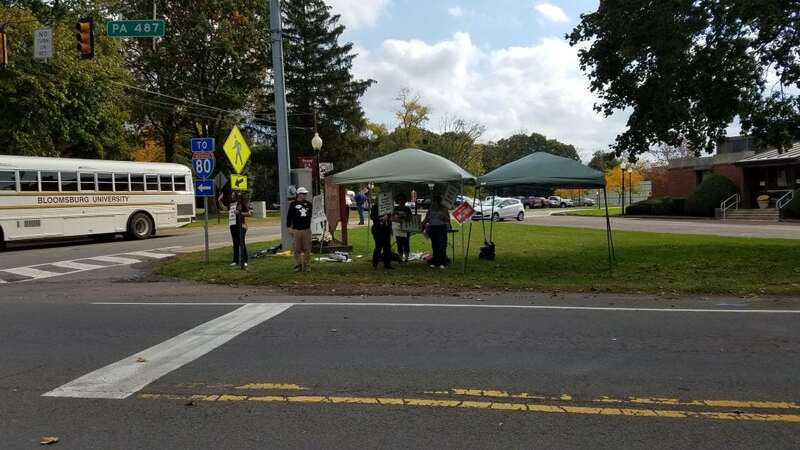 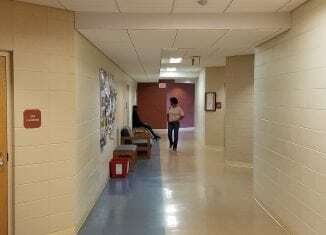 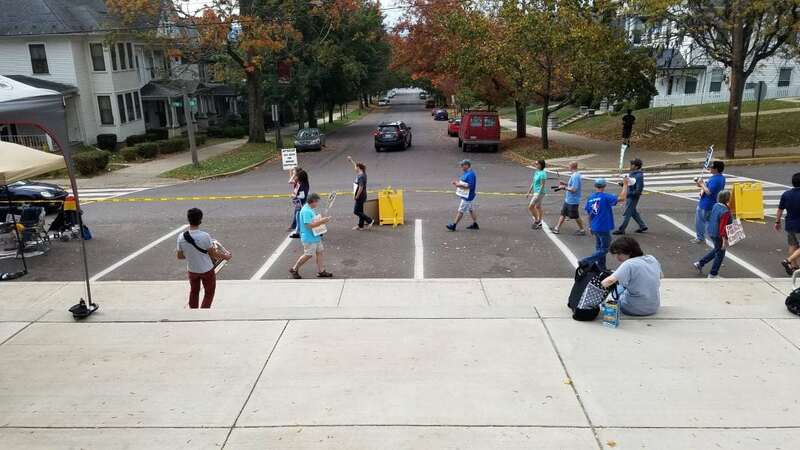 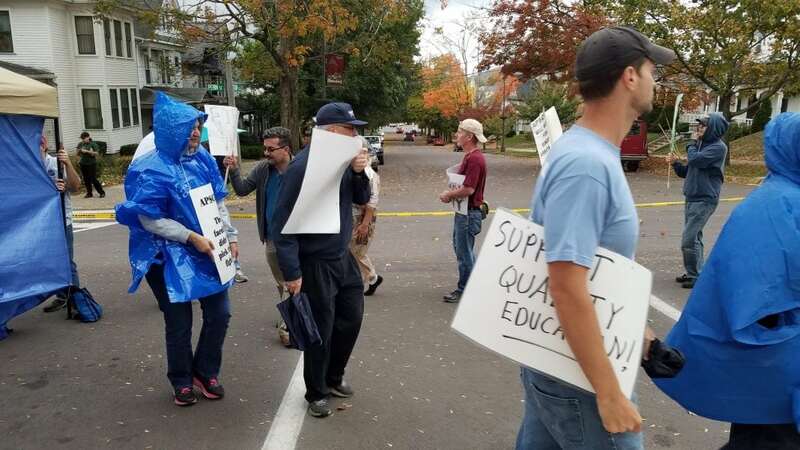 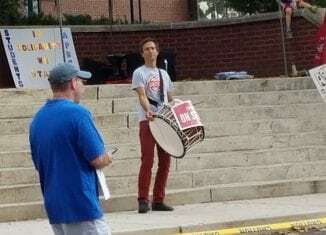 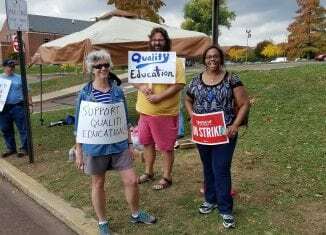 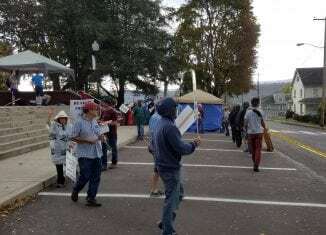 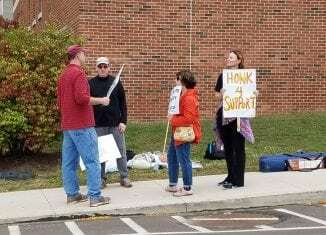 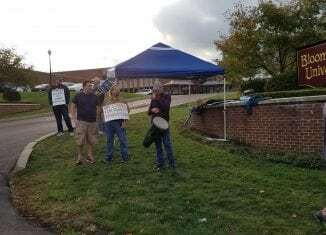 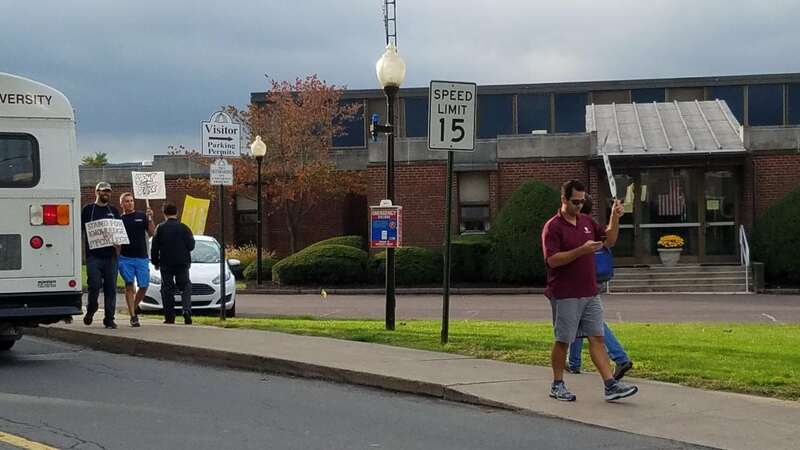 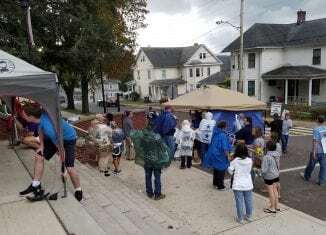 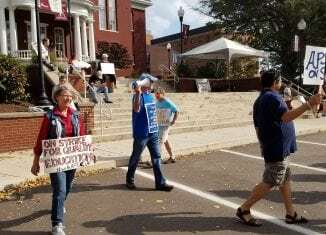 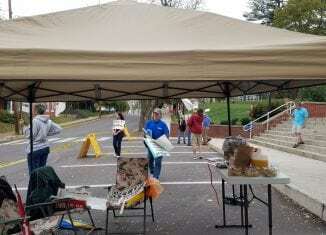 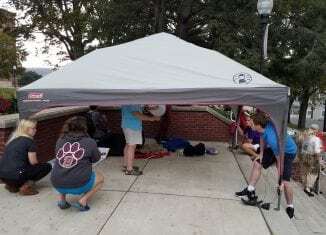 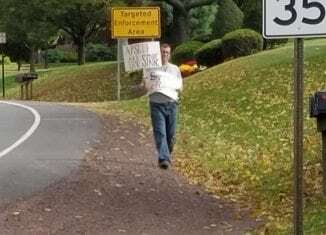 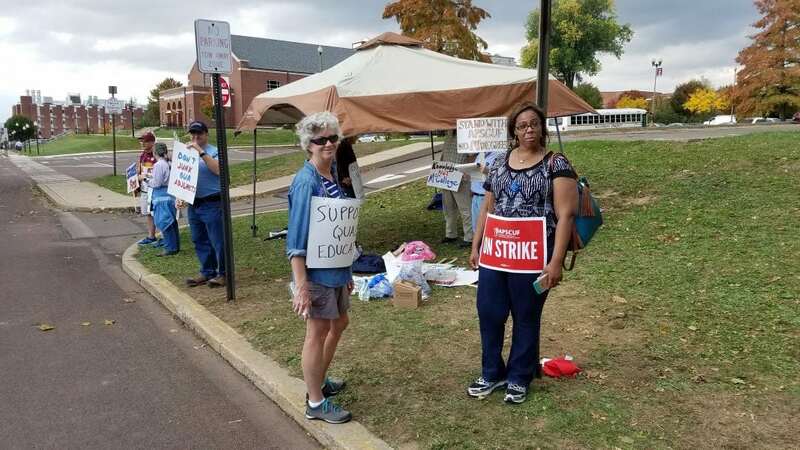 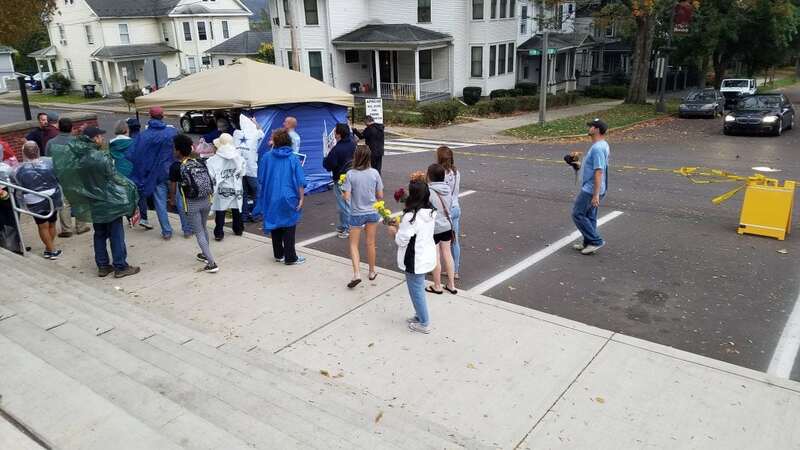 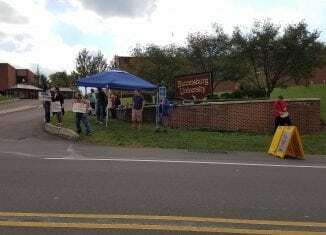 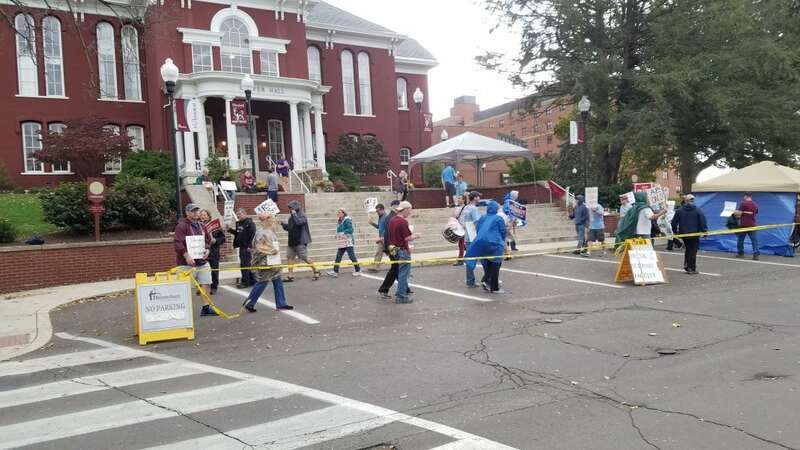 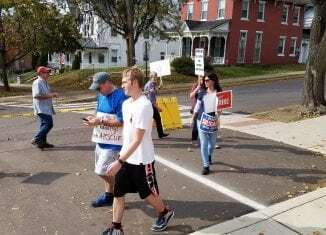 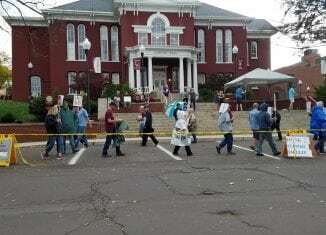 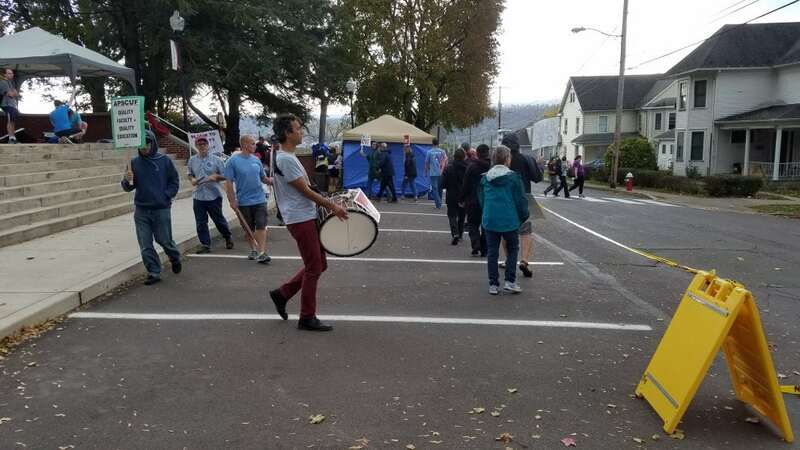 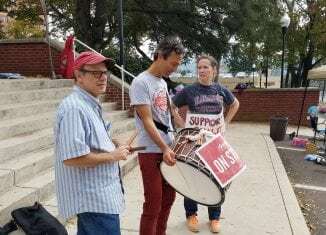 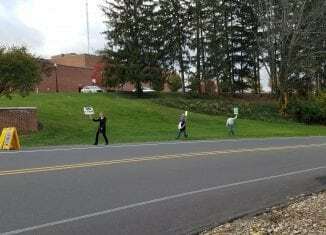 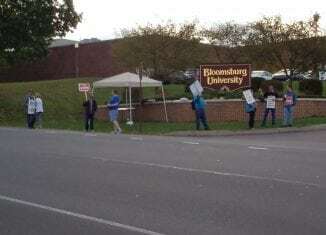 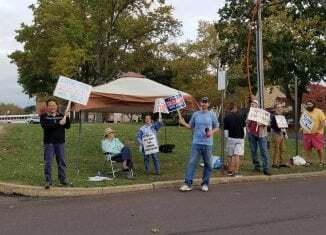 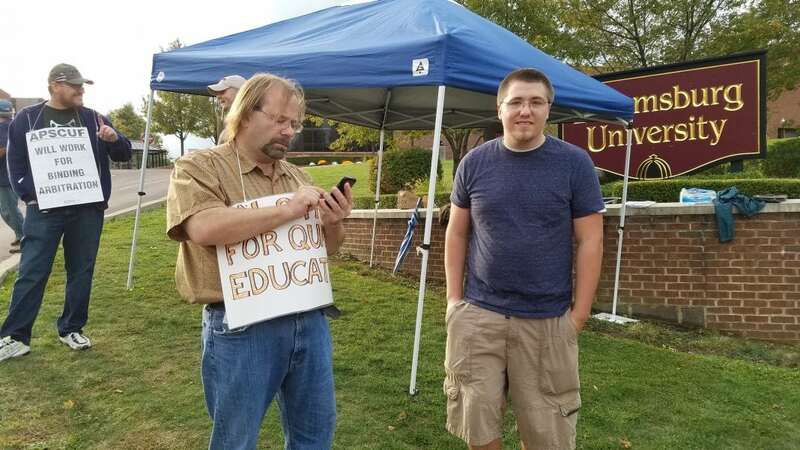 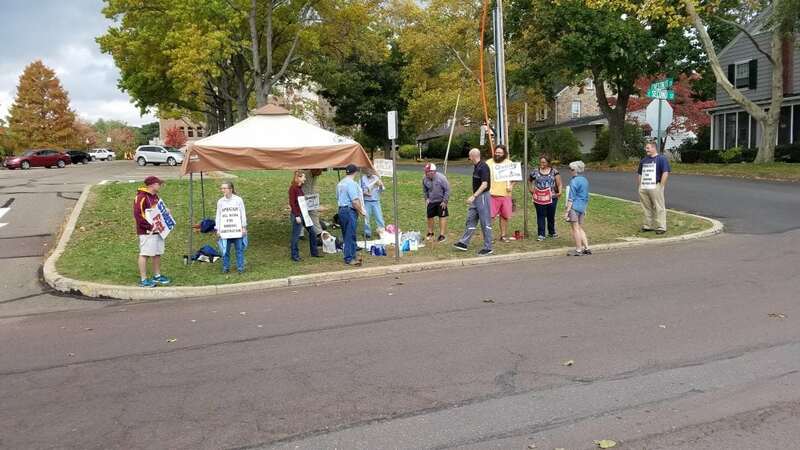 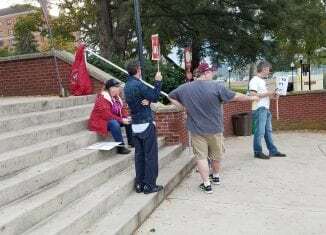 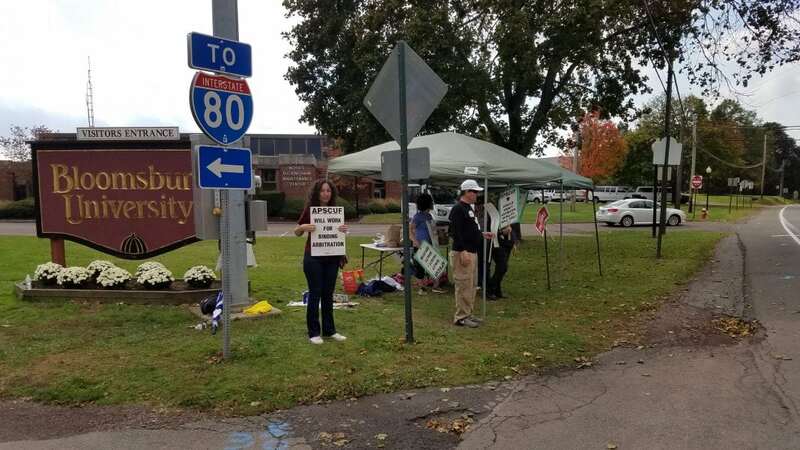 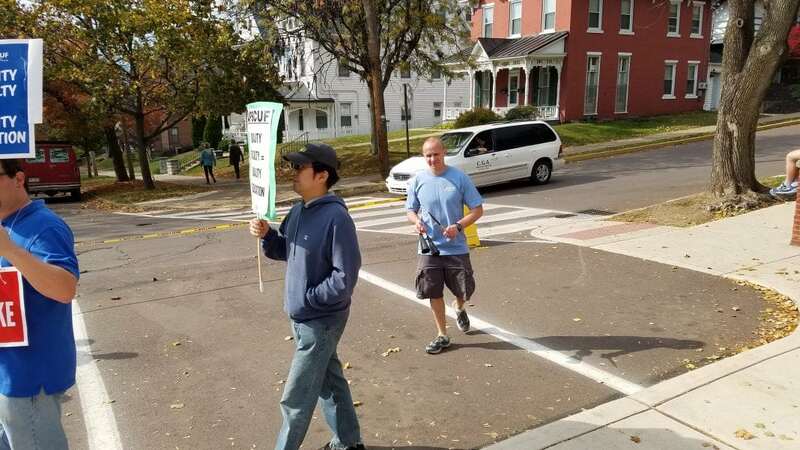 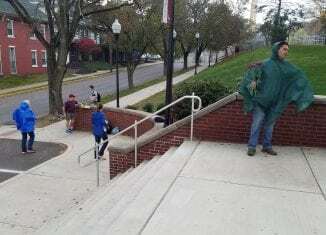 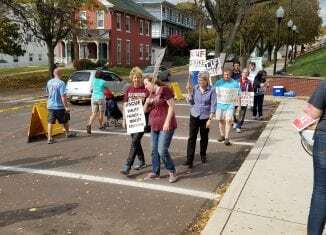 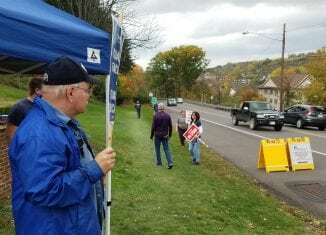 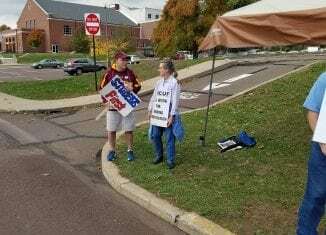 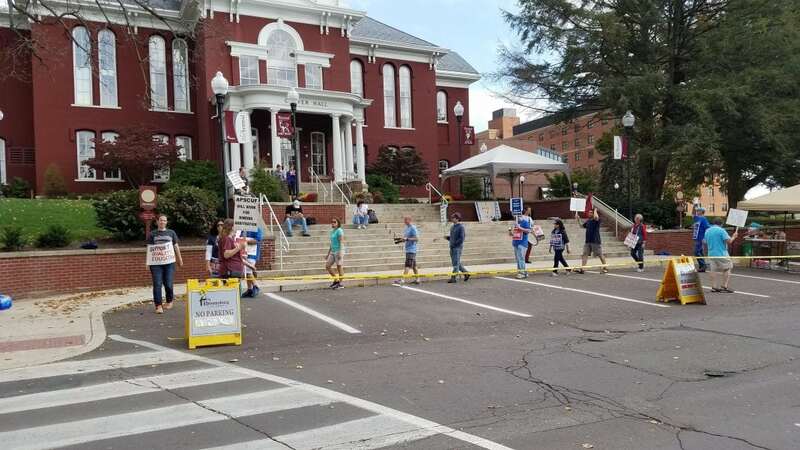 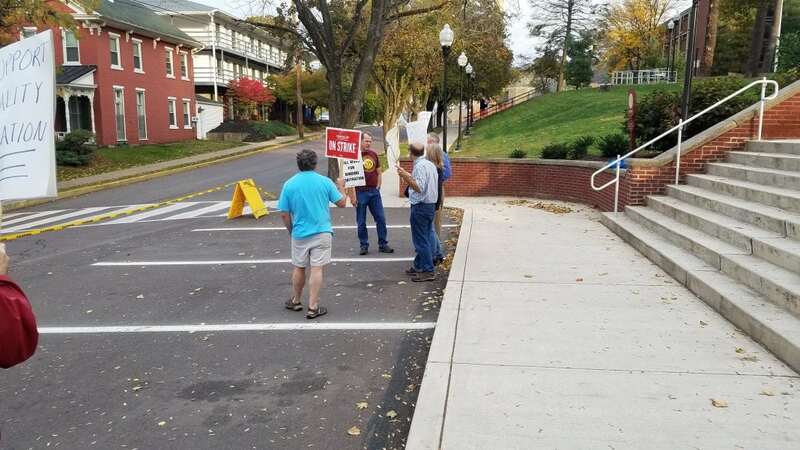 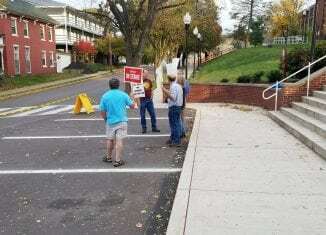 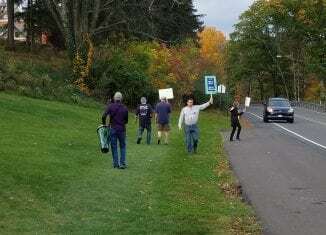 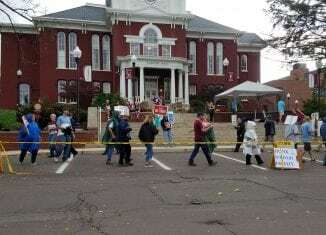 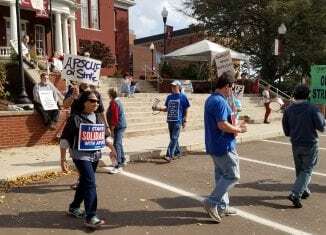 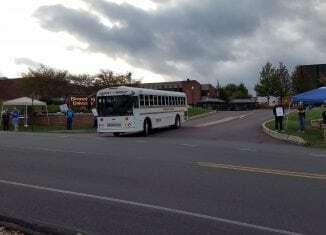 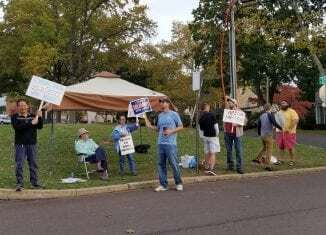 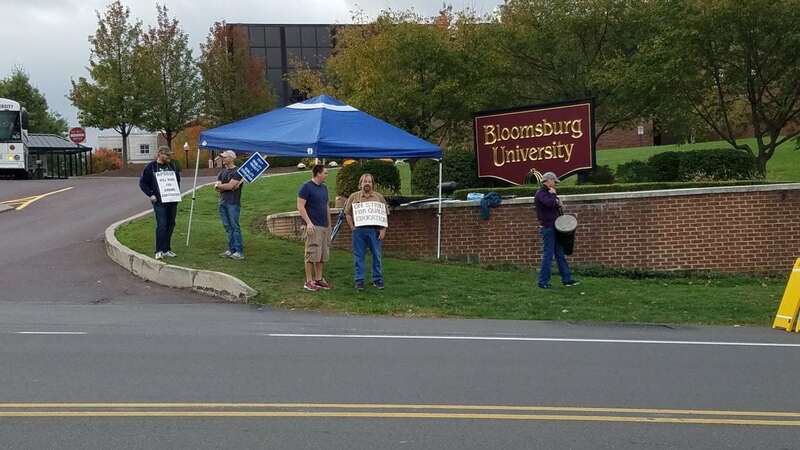 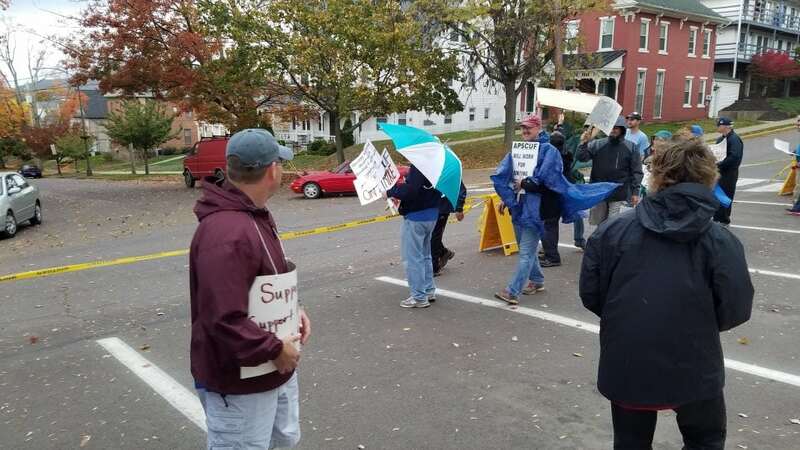 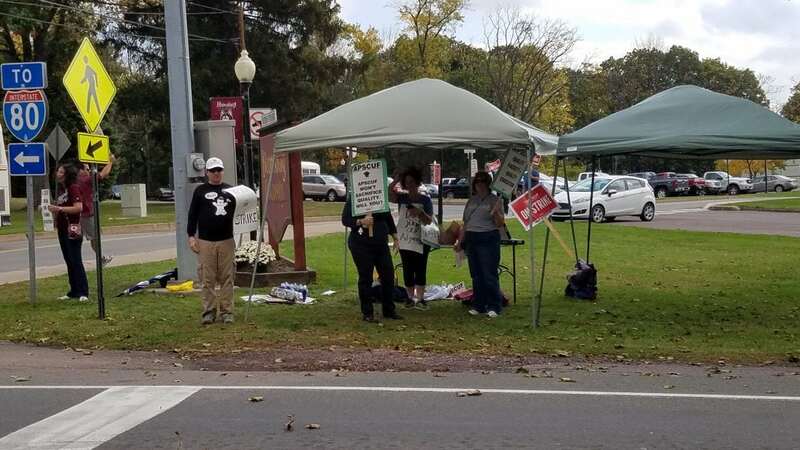 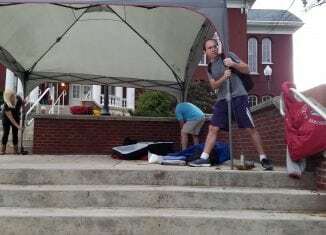 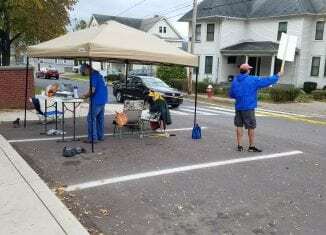 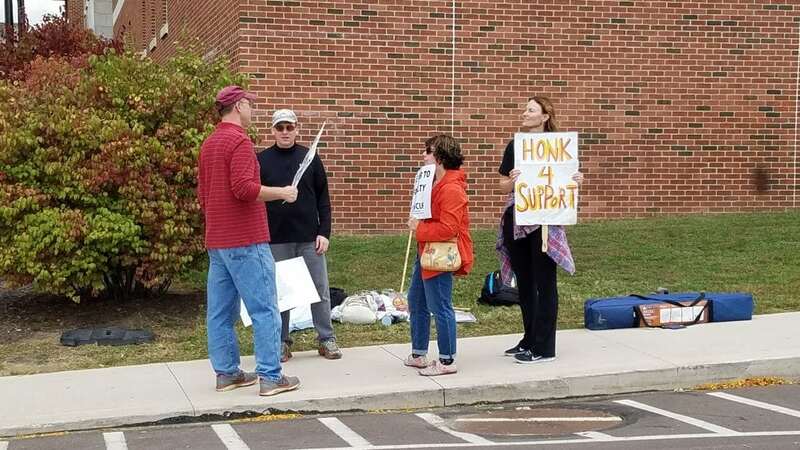 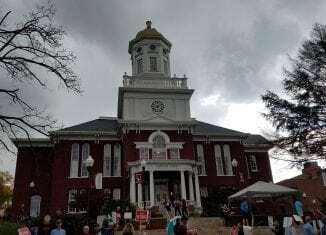 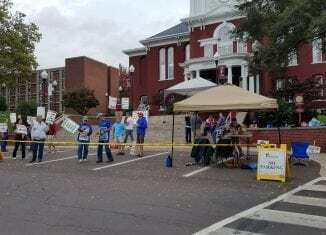 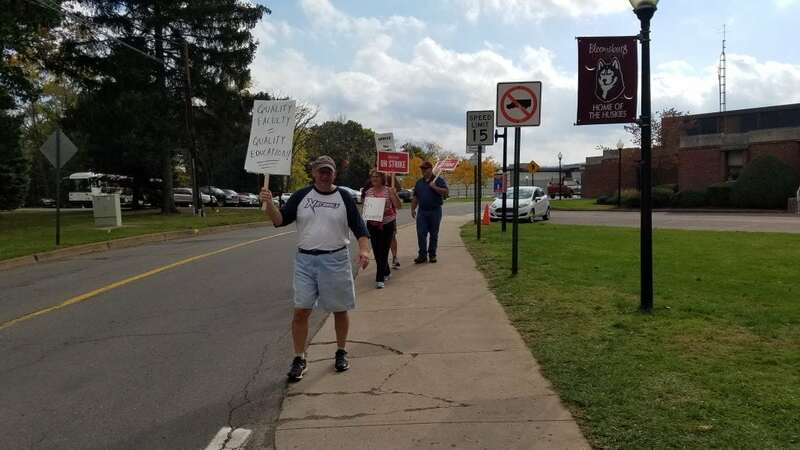 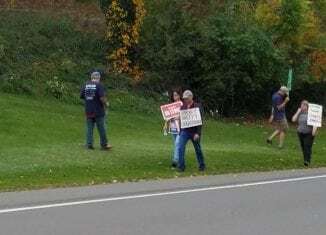 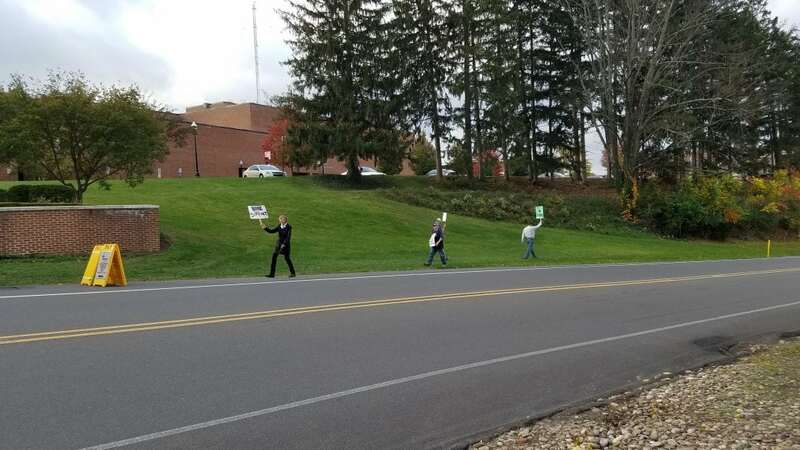 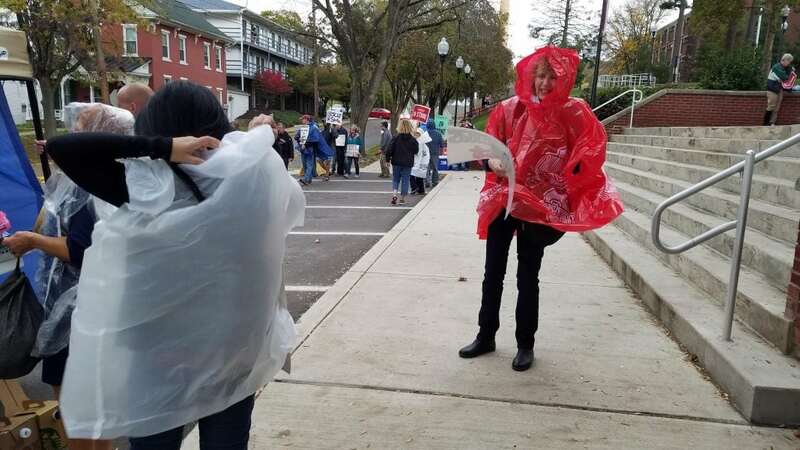 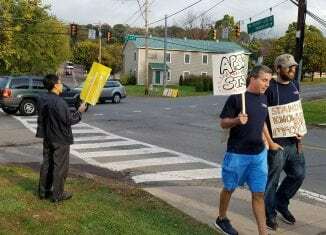 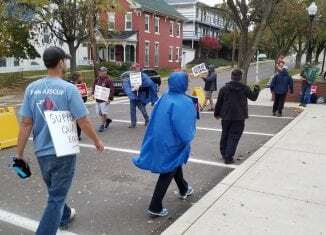 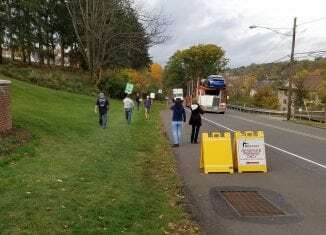 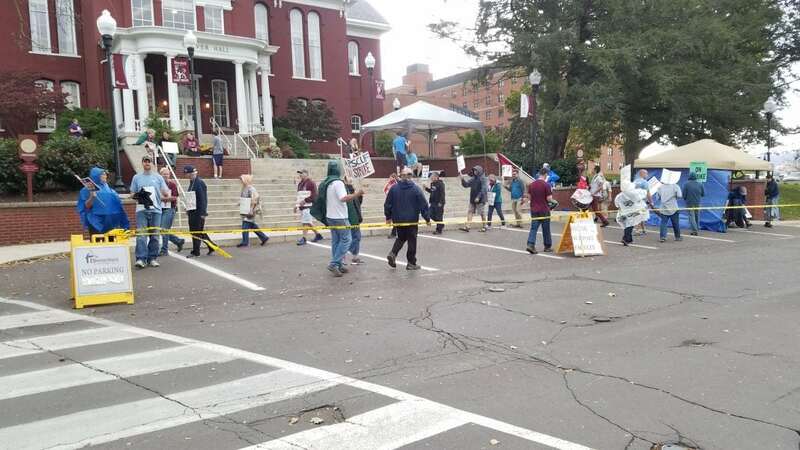 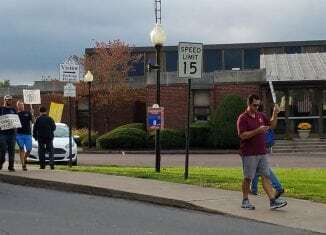 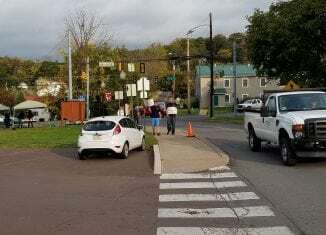 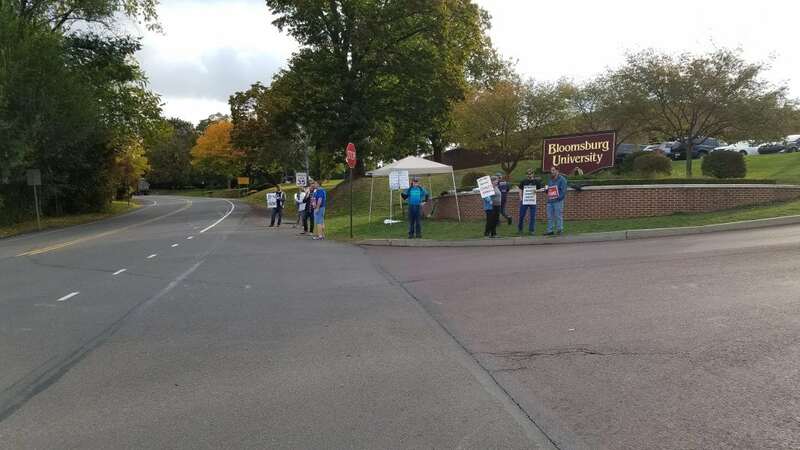 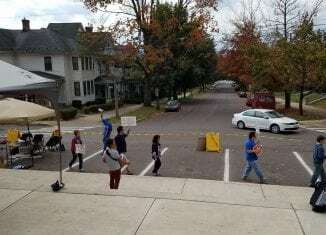 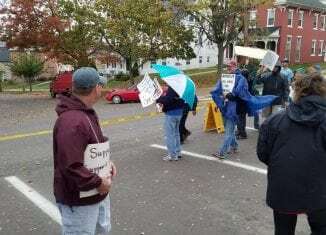 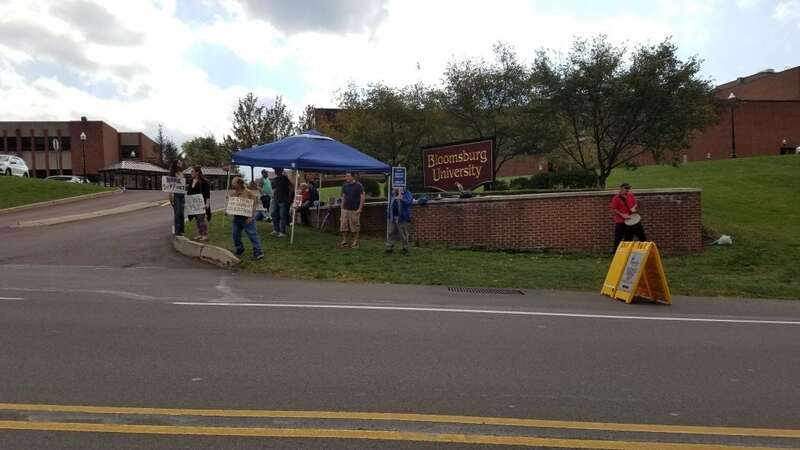 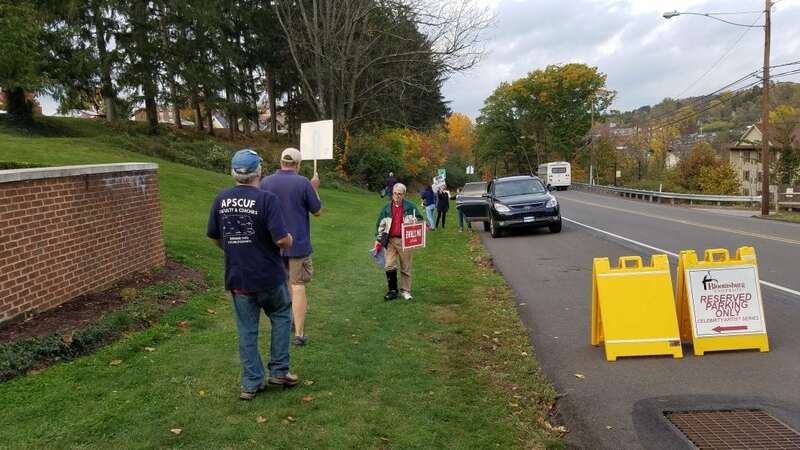 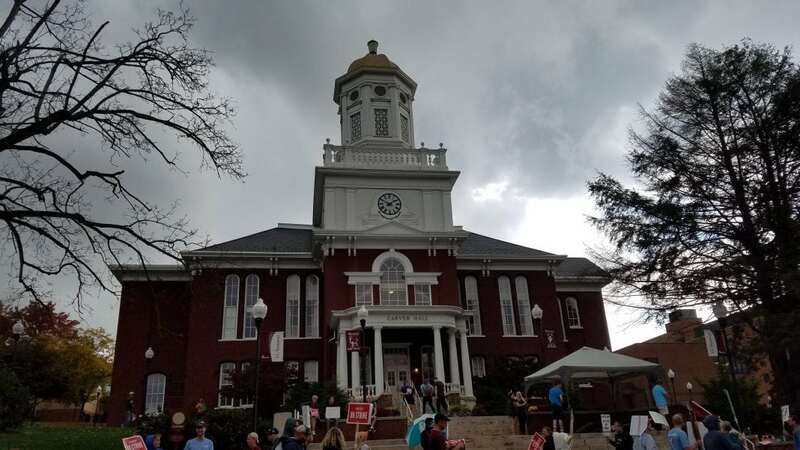 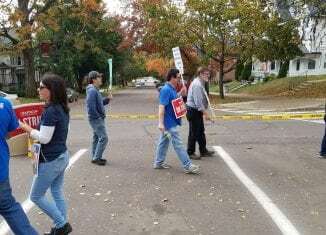 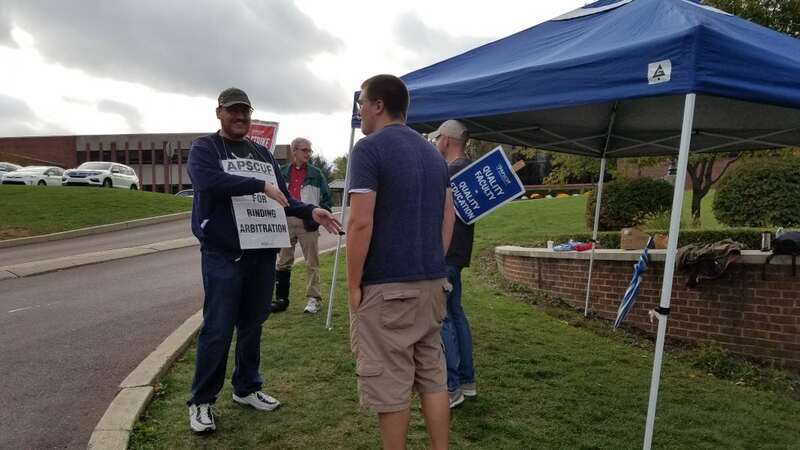 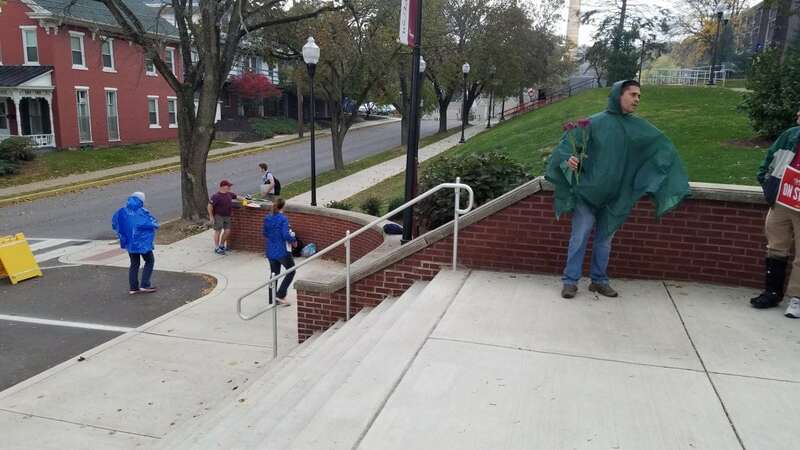 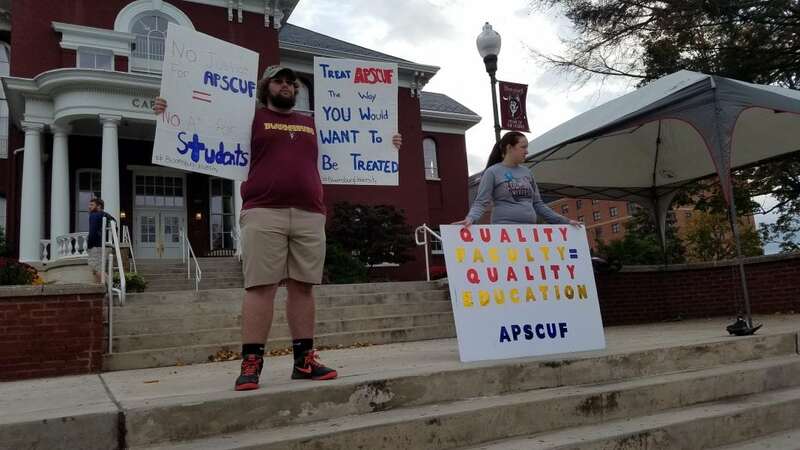 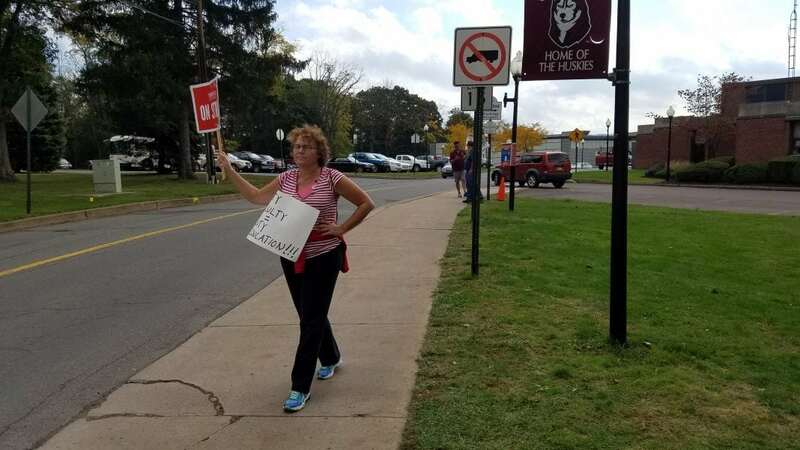 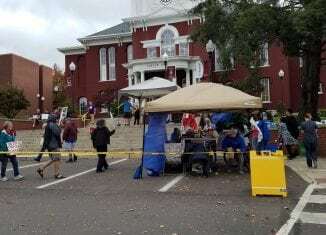 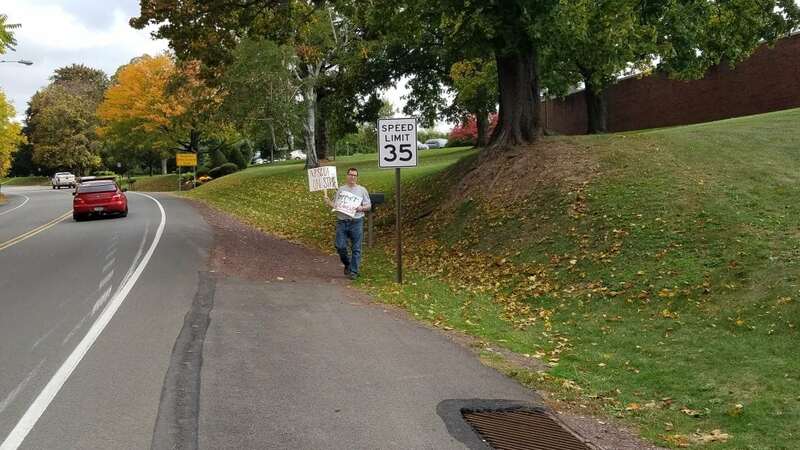 At 2 p.m., the picket line ended early because of strong winds and blowing leaves which indicated a heavy rain storm was approaching Bloomsburg; the striking faculty and students picked up their things and left Carver. 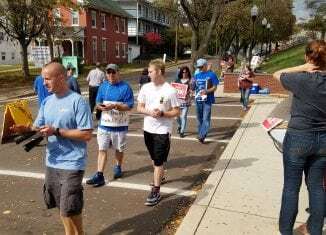 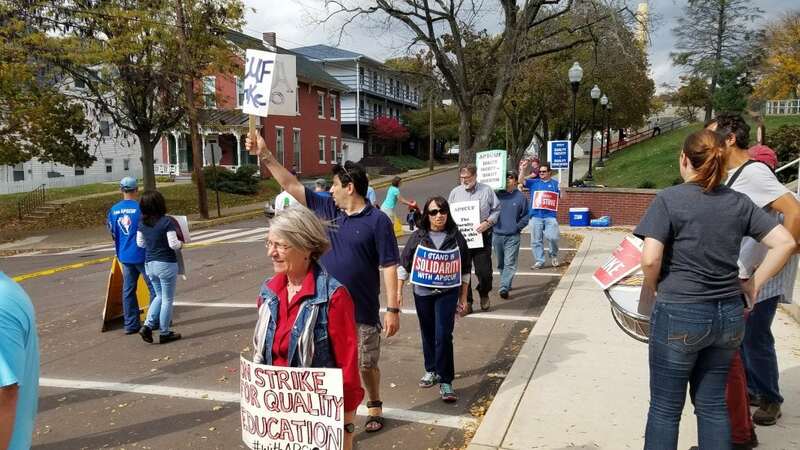 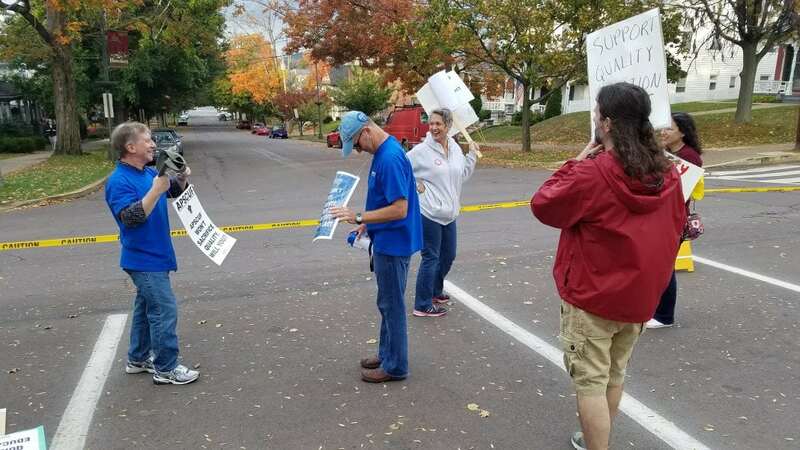 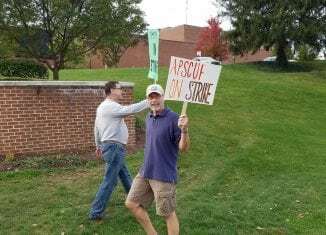 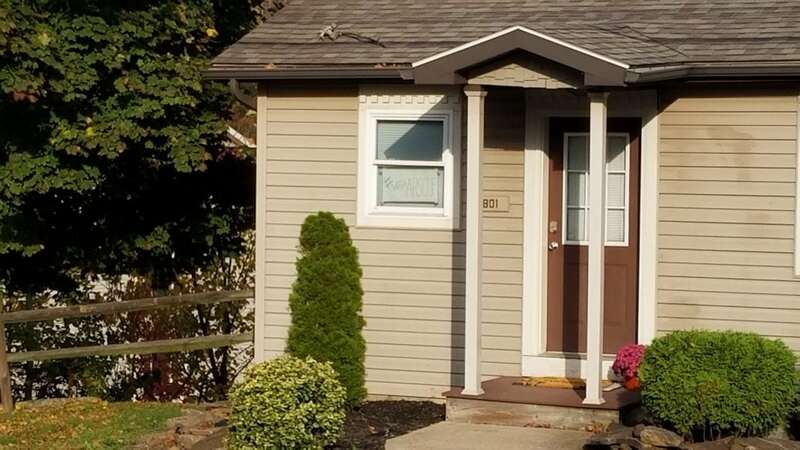 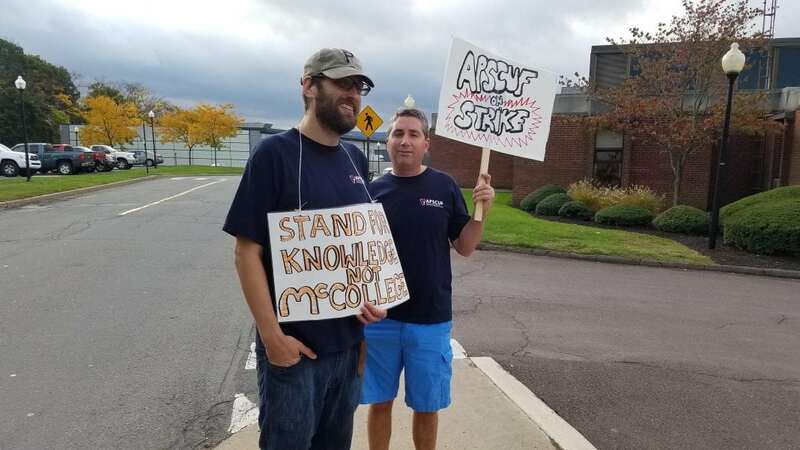 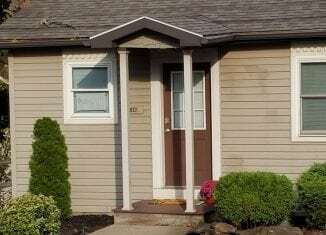 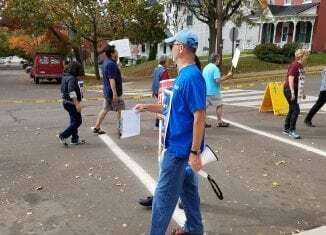 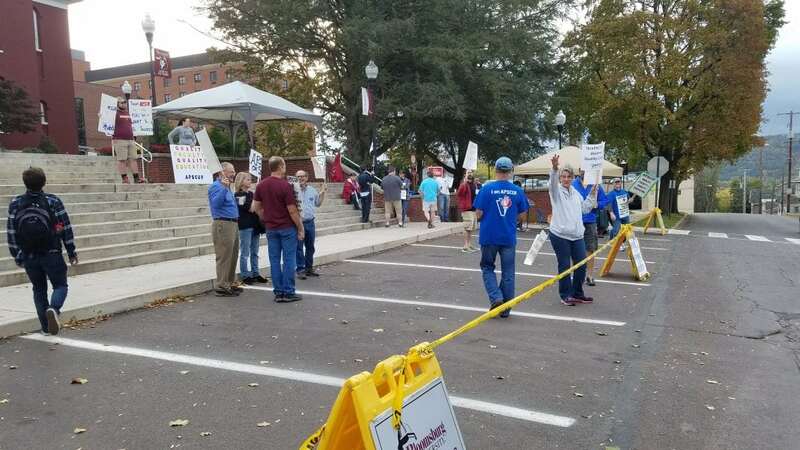 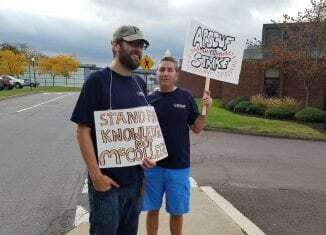 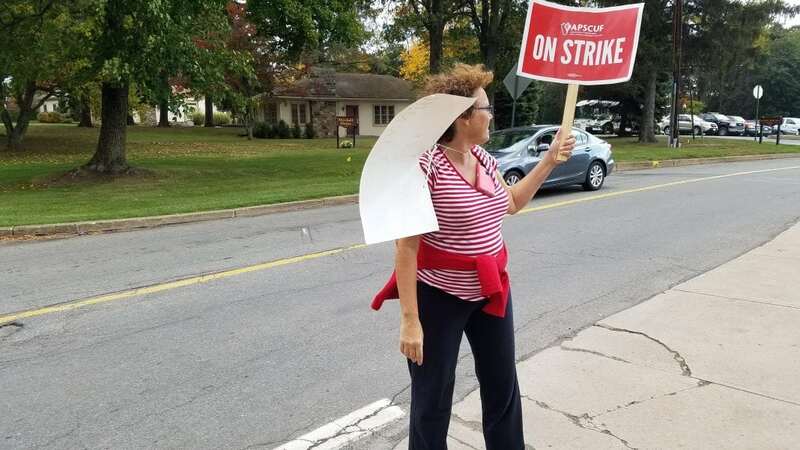 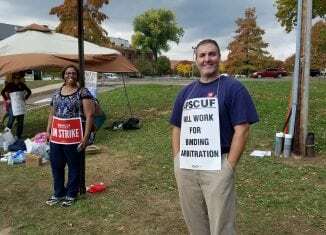 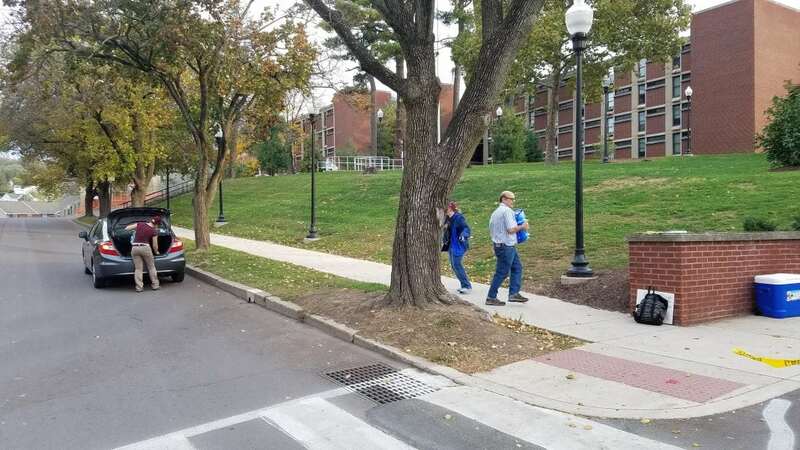 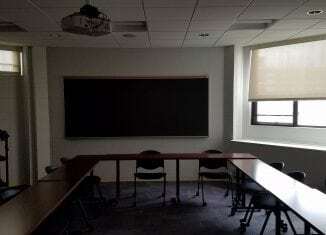 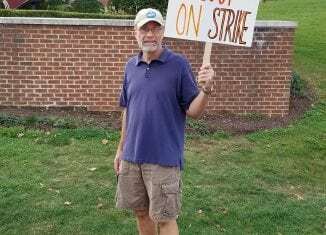 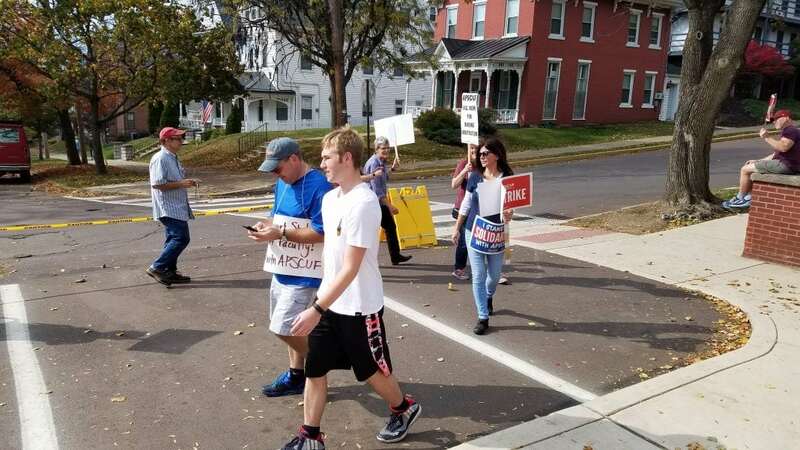 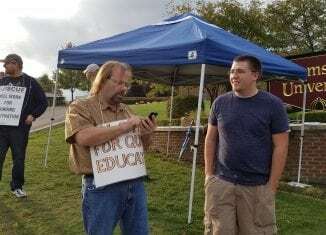 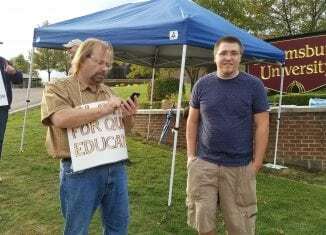 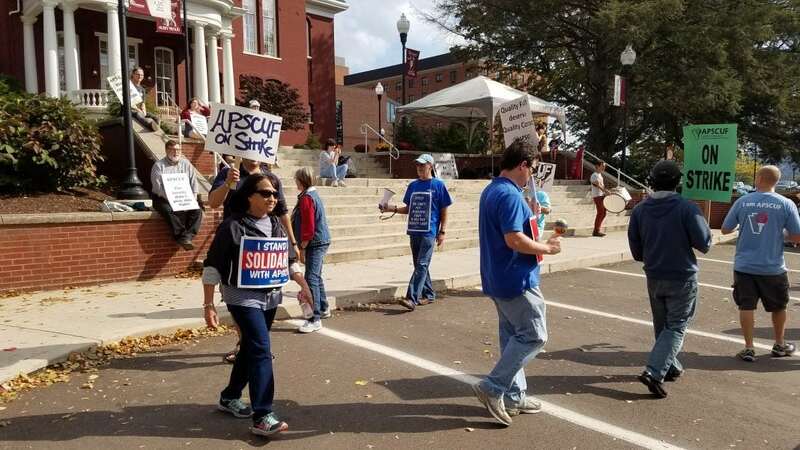 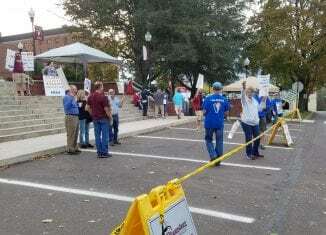 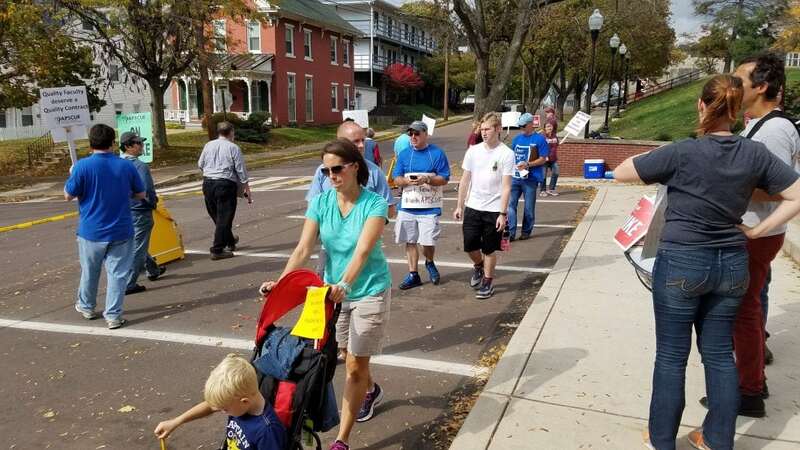 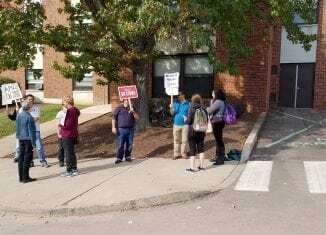 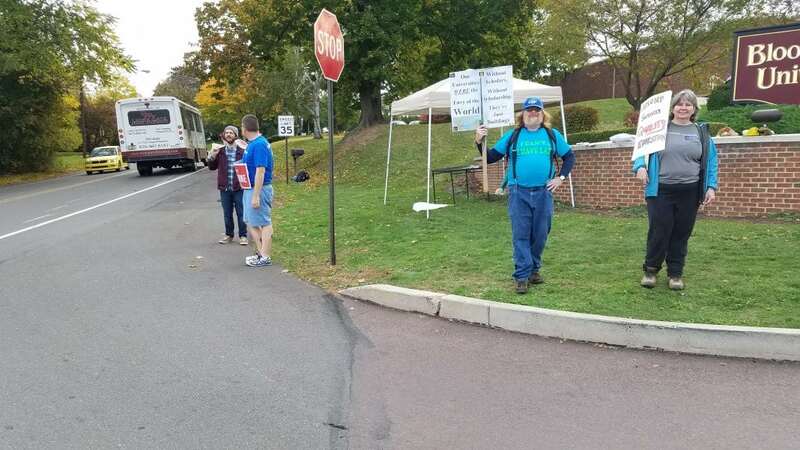 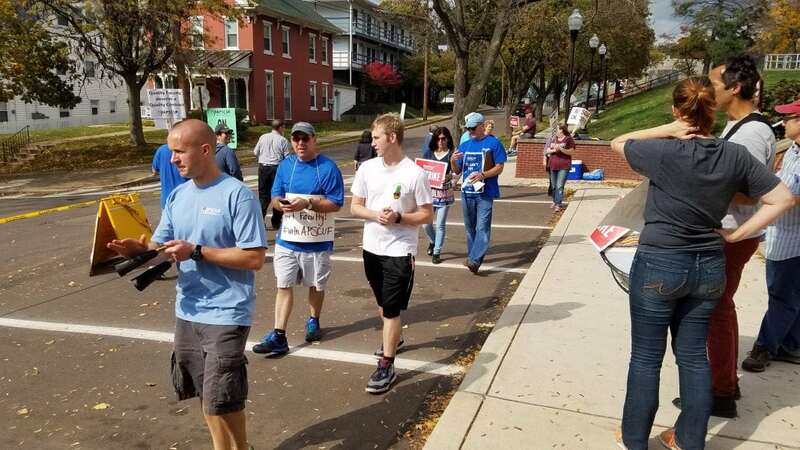 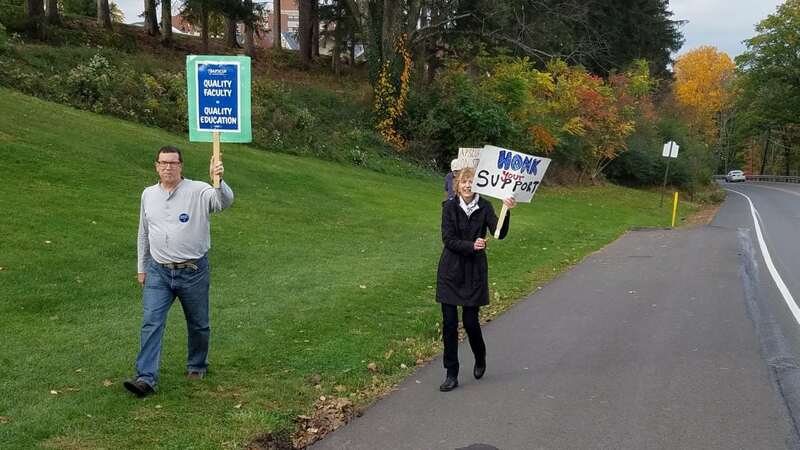 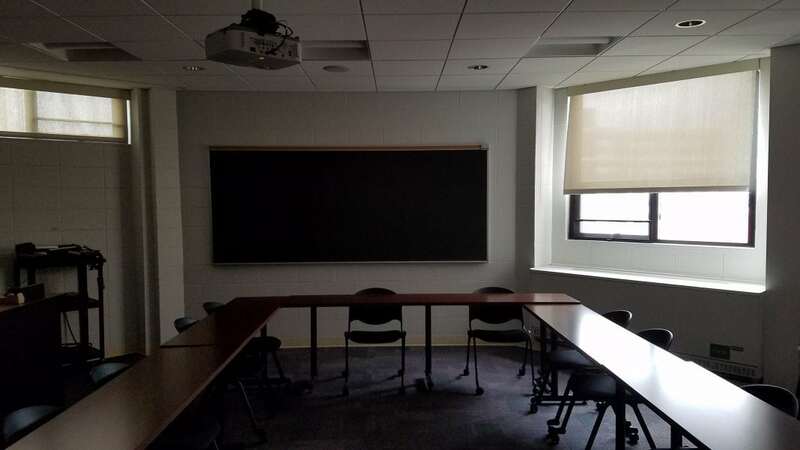 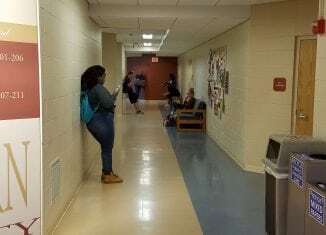 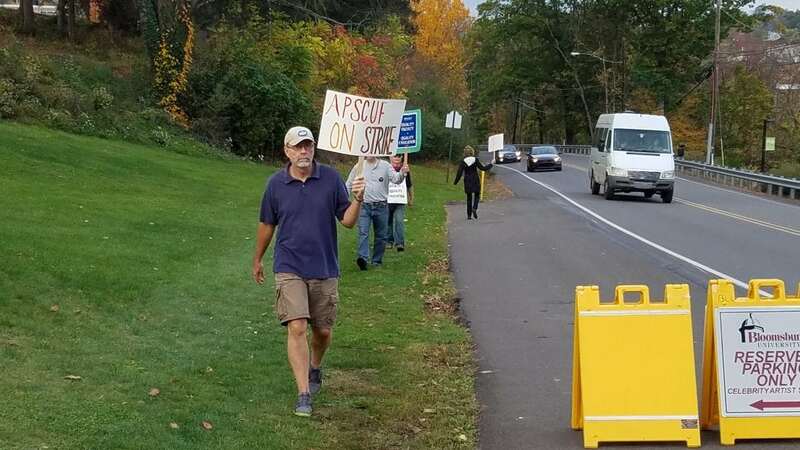 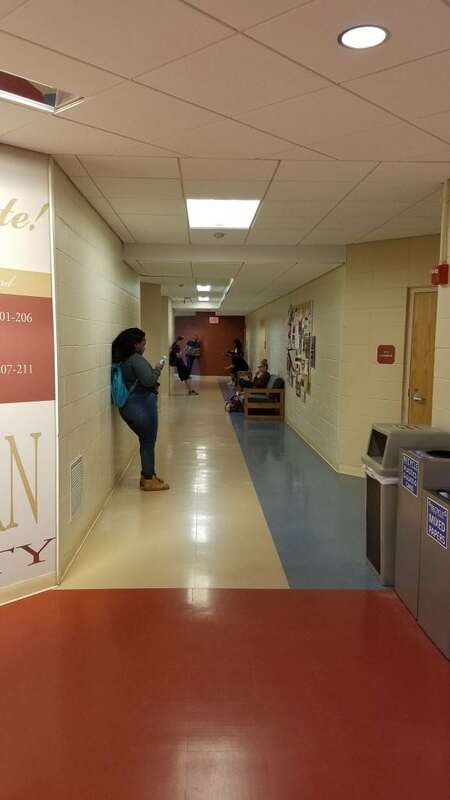 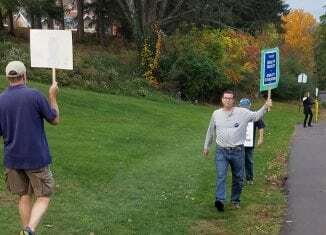 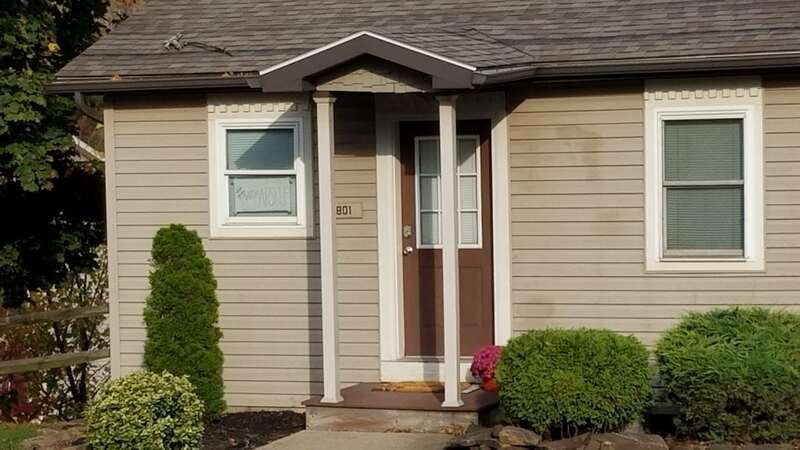 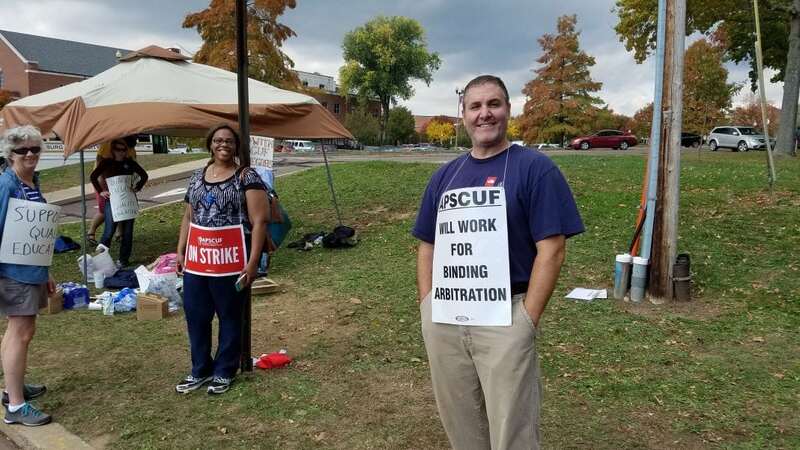 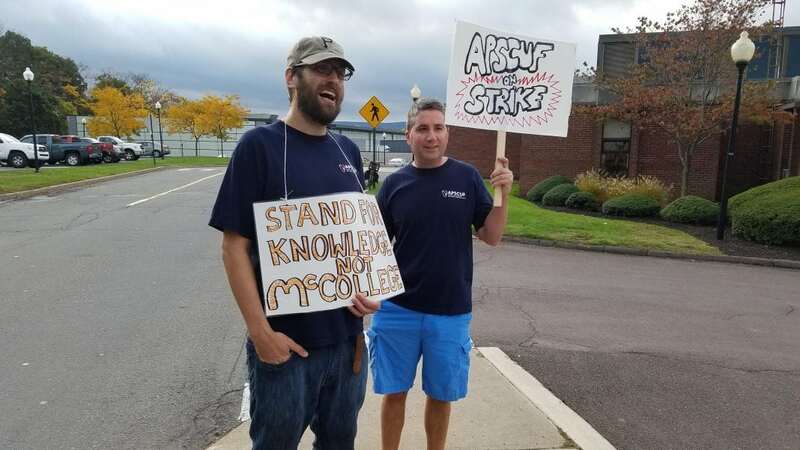 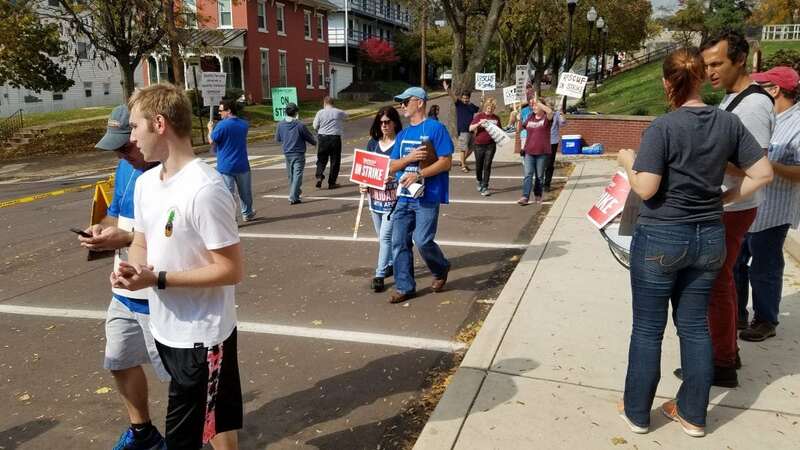 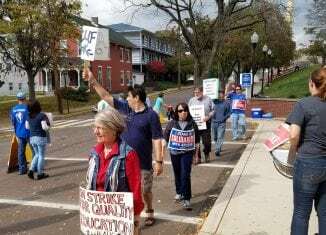 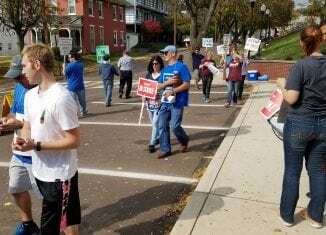 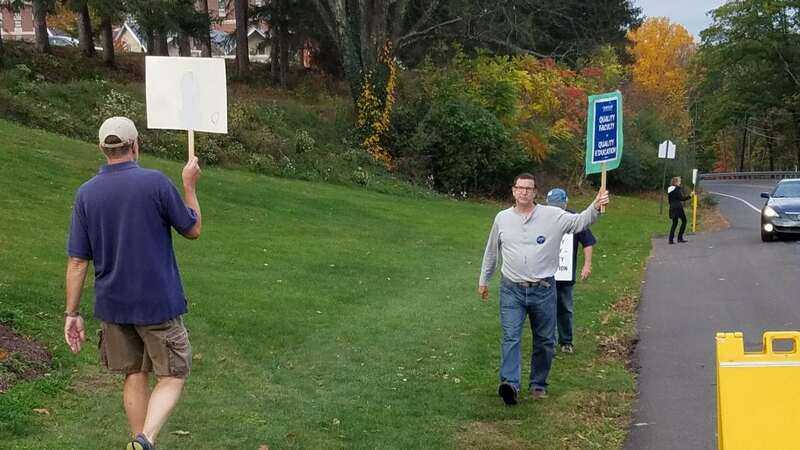 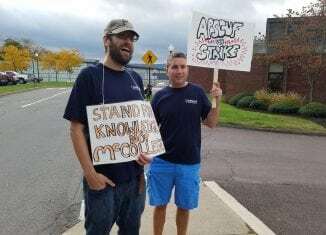 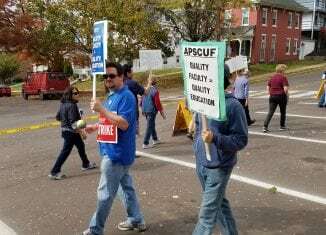 Later at 4 p.m., I had gotten the notification from my Twitter and Facebook accounts, as well as from WNEP, that the strike was over, and APSCUF and Pennsylvania’s State System of Higher Education (PASSHE) reached a deal of a new contract. 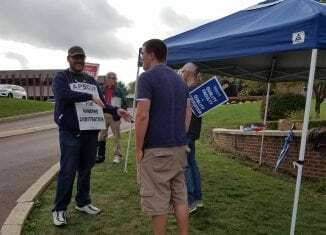 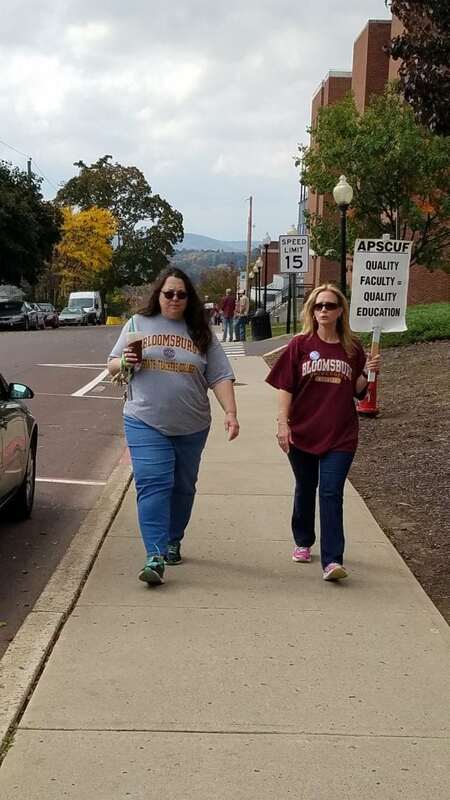 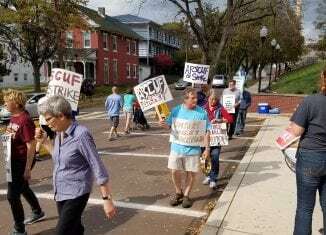 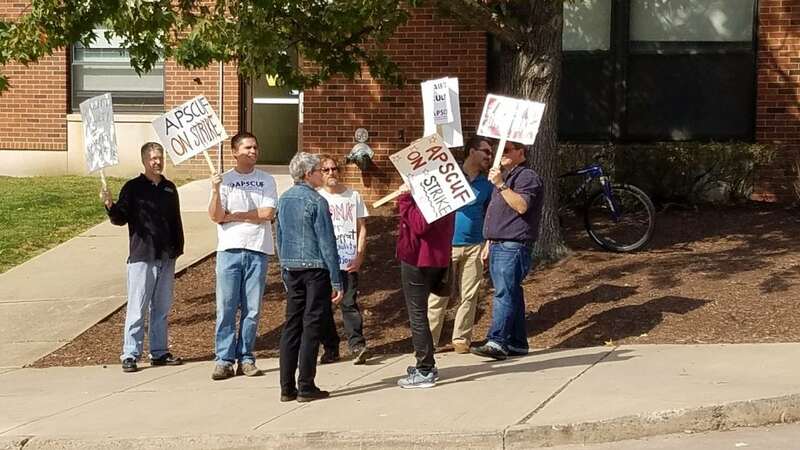 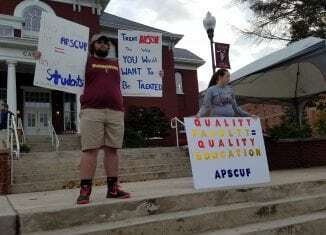 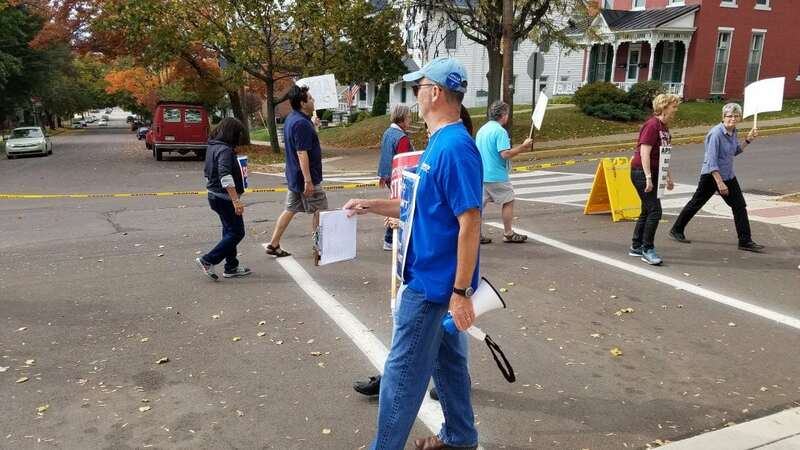 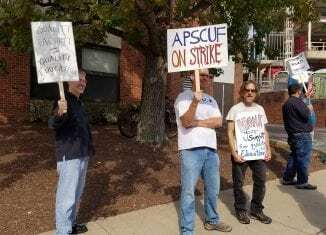 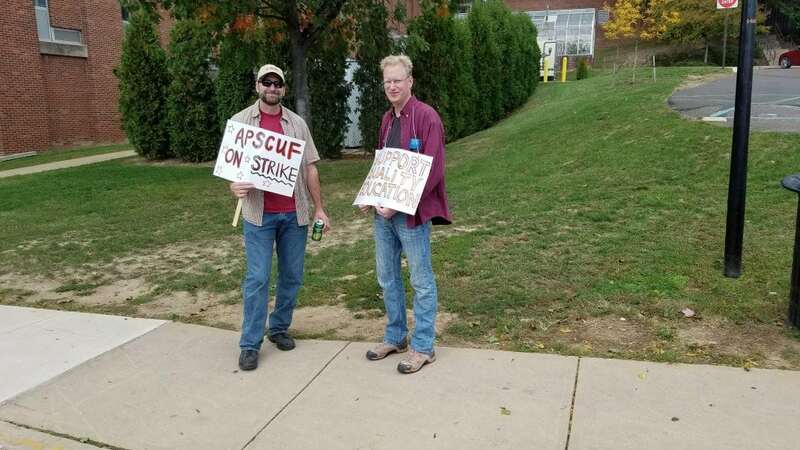 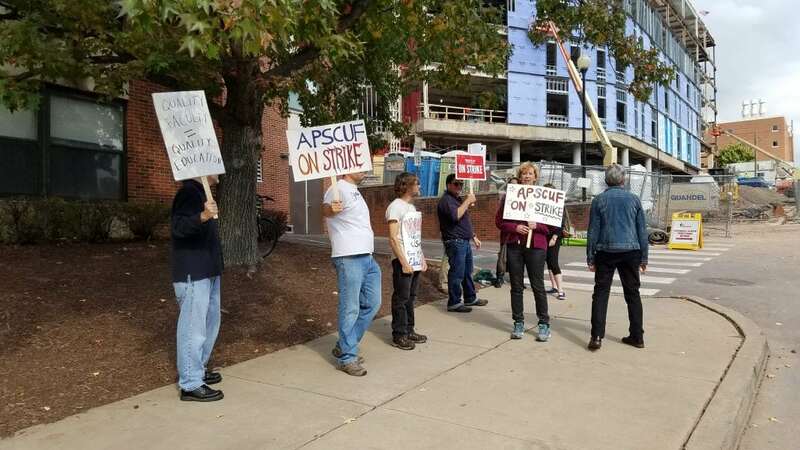 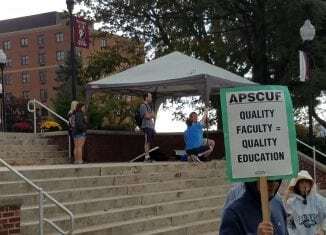 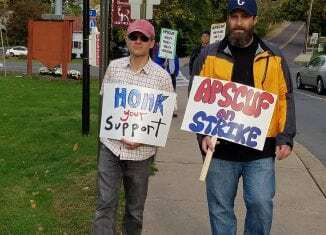 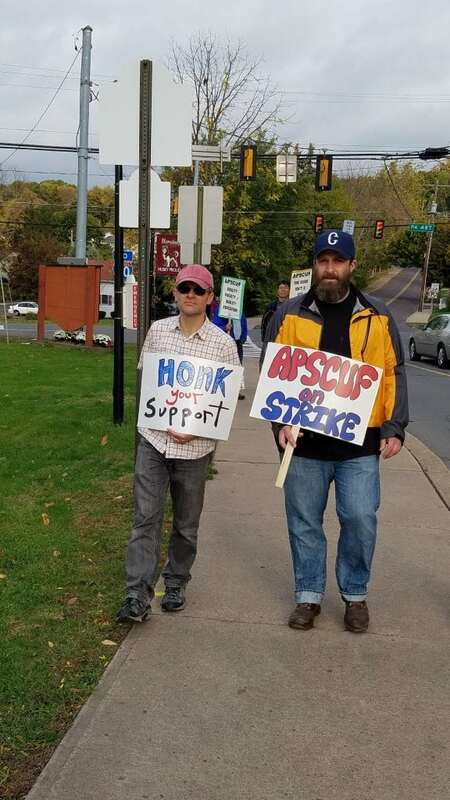 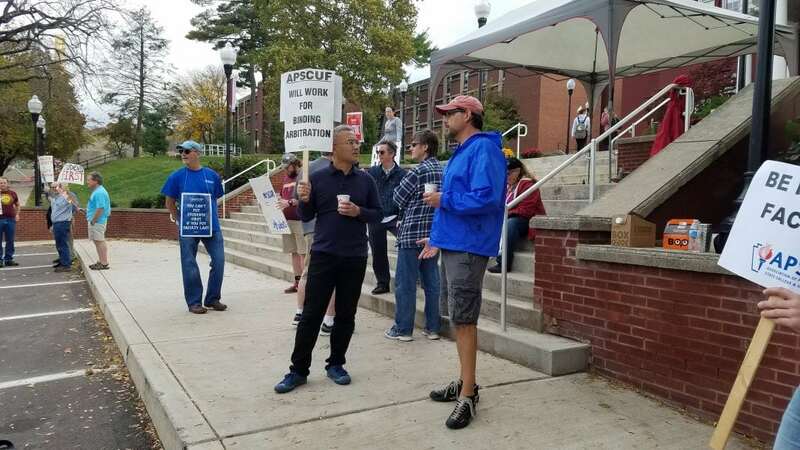 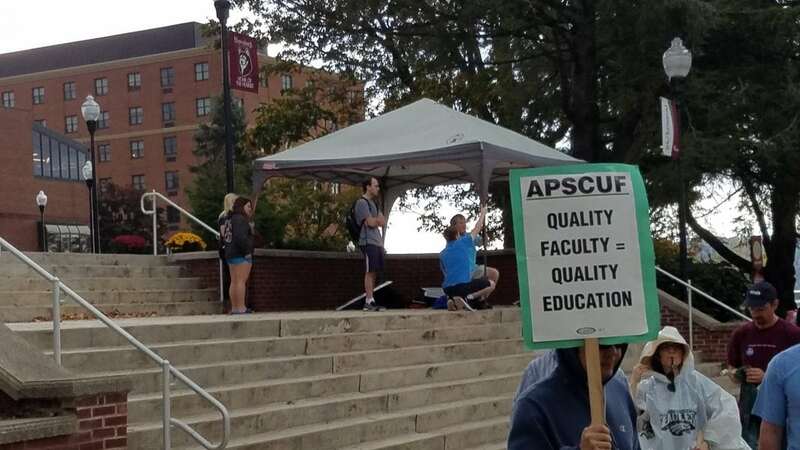 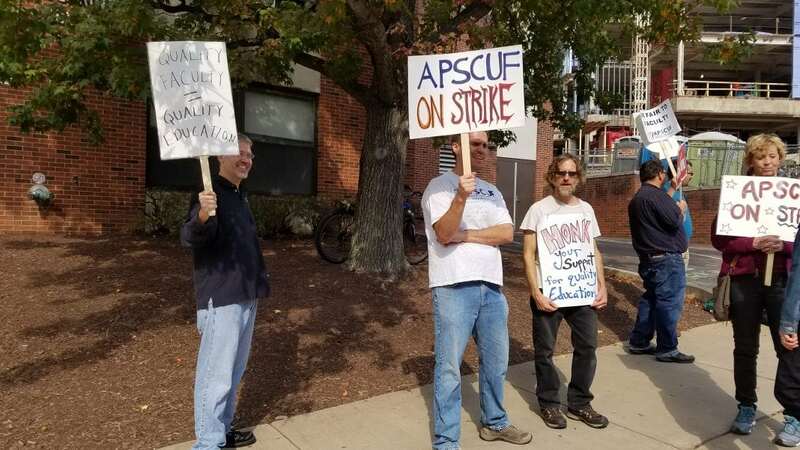 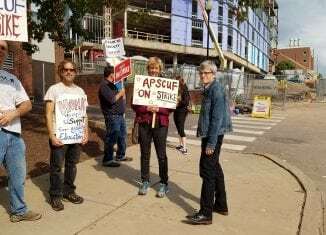 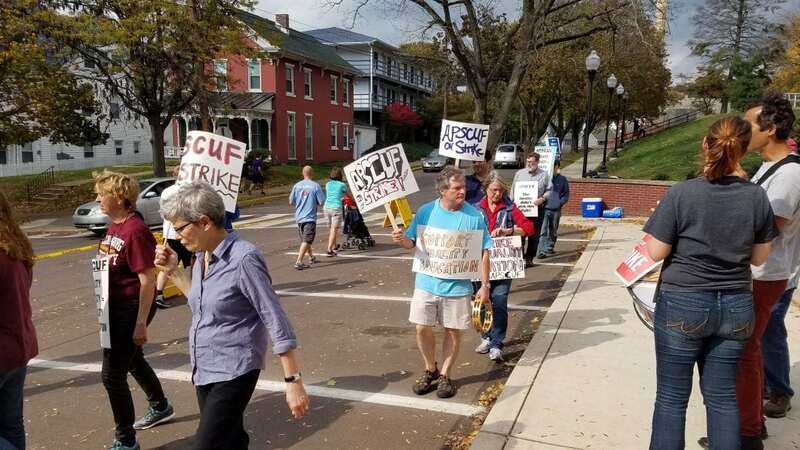 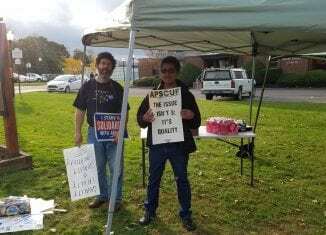 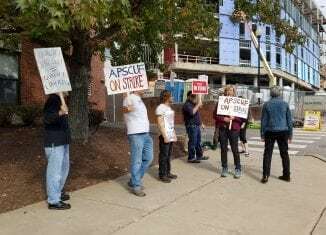 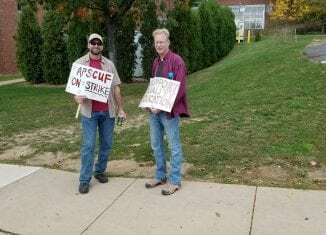 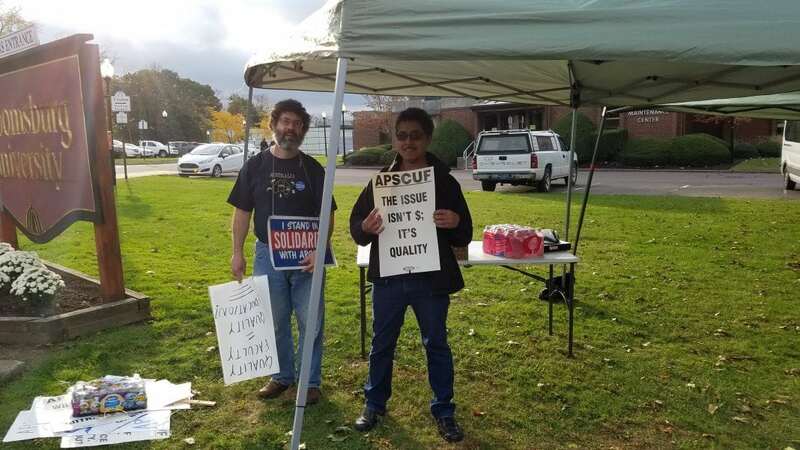 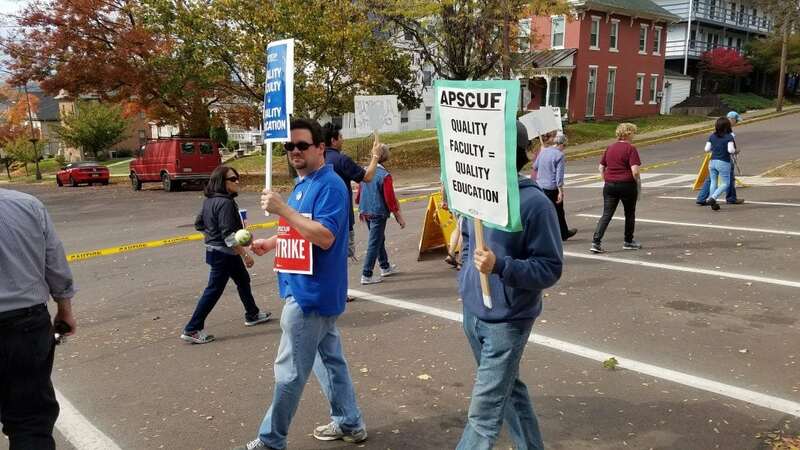 The conclusion of the strike ended with APSCUF and PASSHE making a tentative deal for a new three year contract that will last until June 20, 2018. 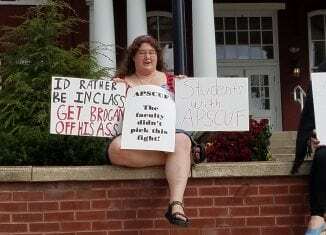 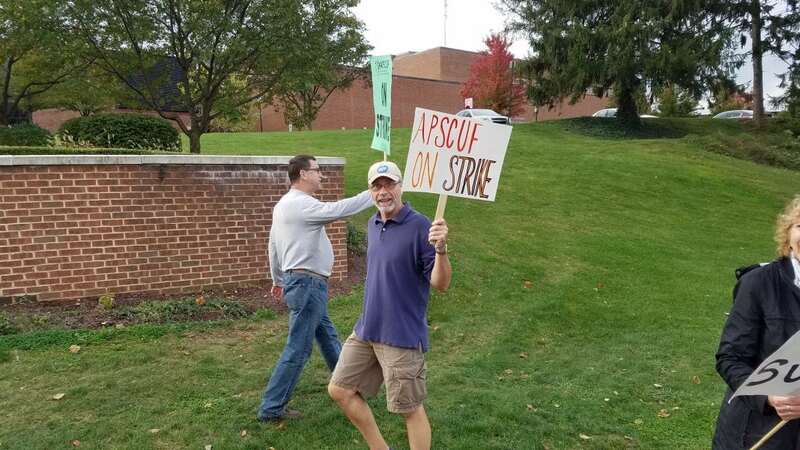 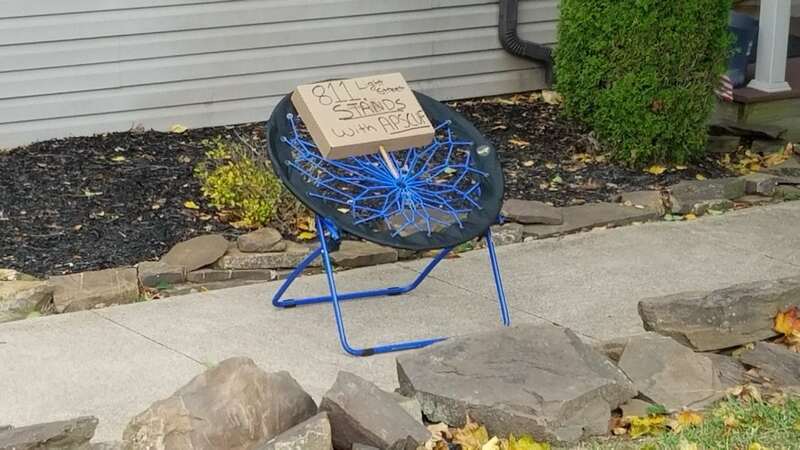 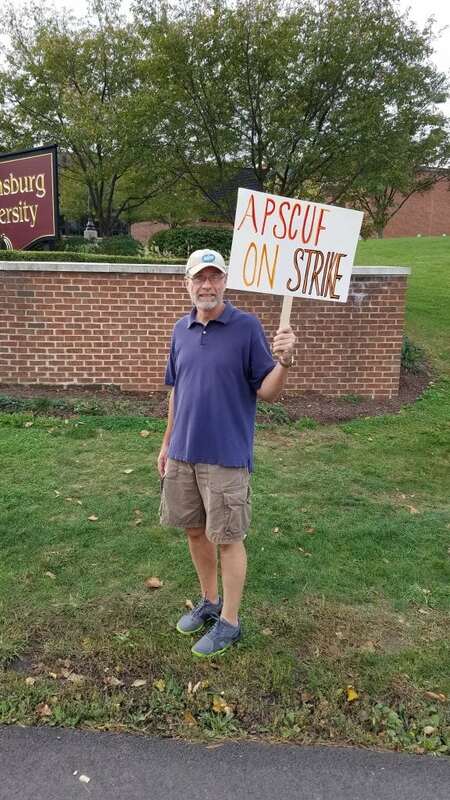 One thing I like to say about the APSCUF strike is “this one is for the books.” Now, it is time to get back on the saddle of the dread or enjoyment of assigned readings for class, paper writing, and listening to the lectures at Bloomsburg University and the 13 Pennsylvania state college and universities. 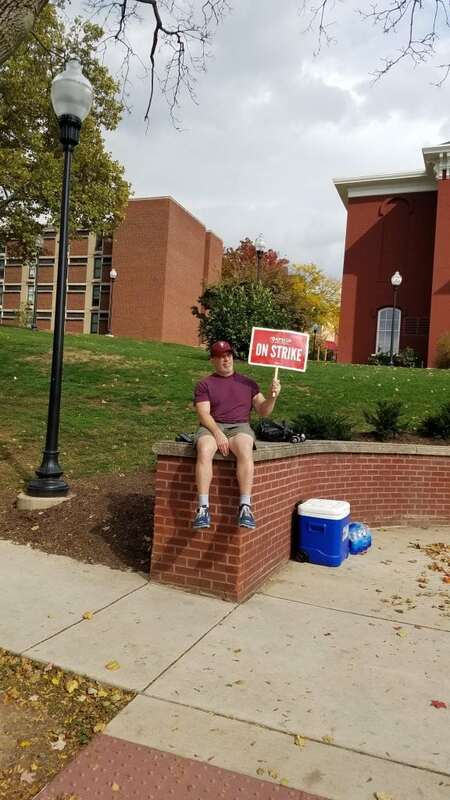 Enjoy the long weekend while you can.